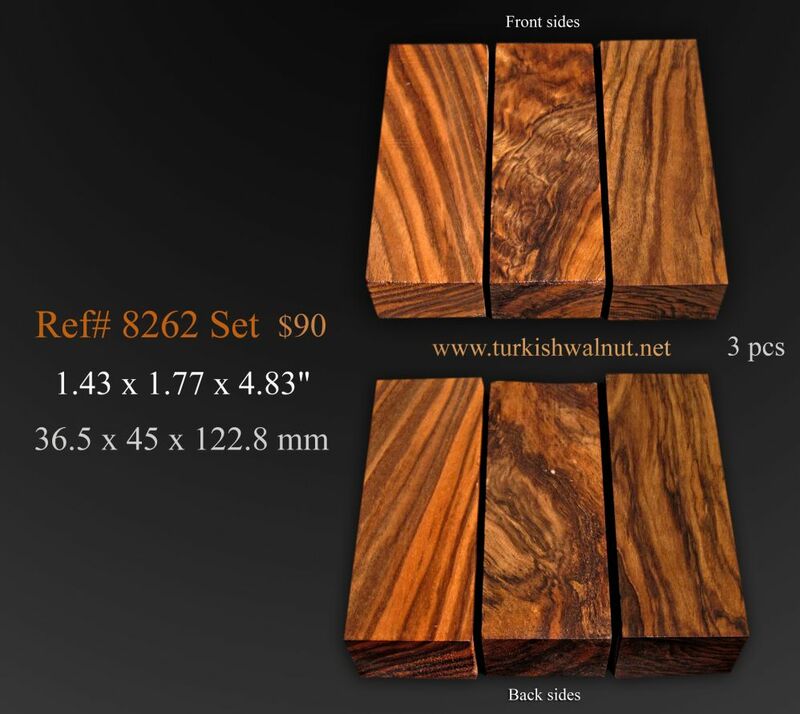 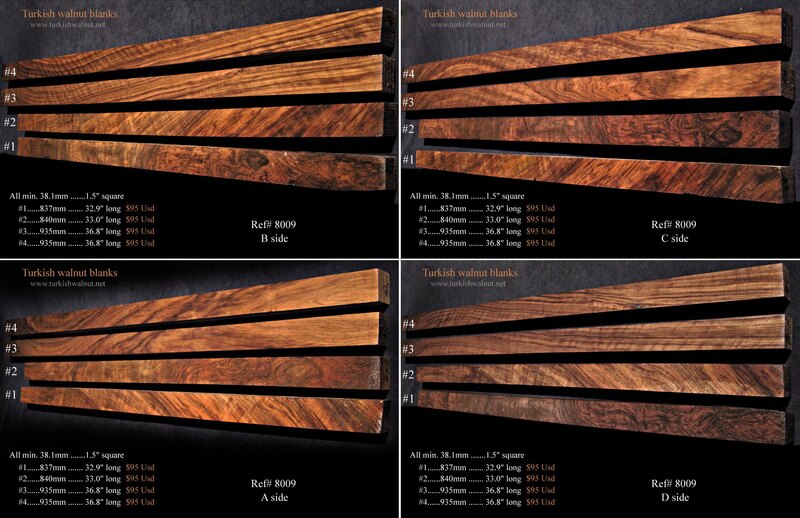 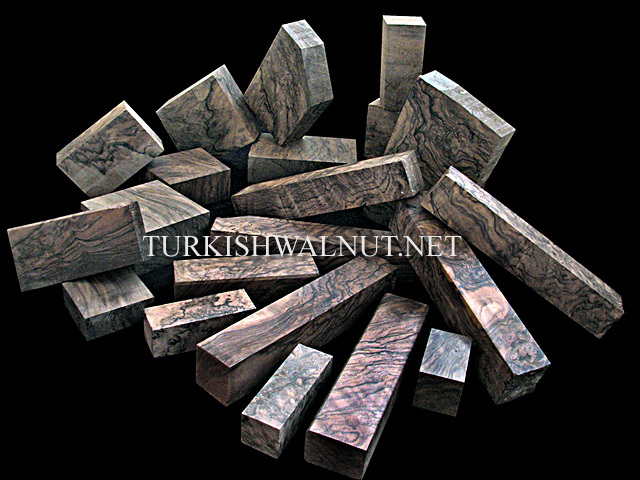 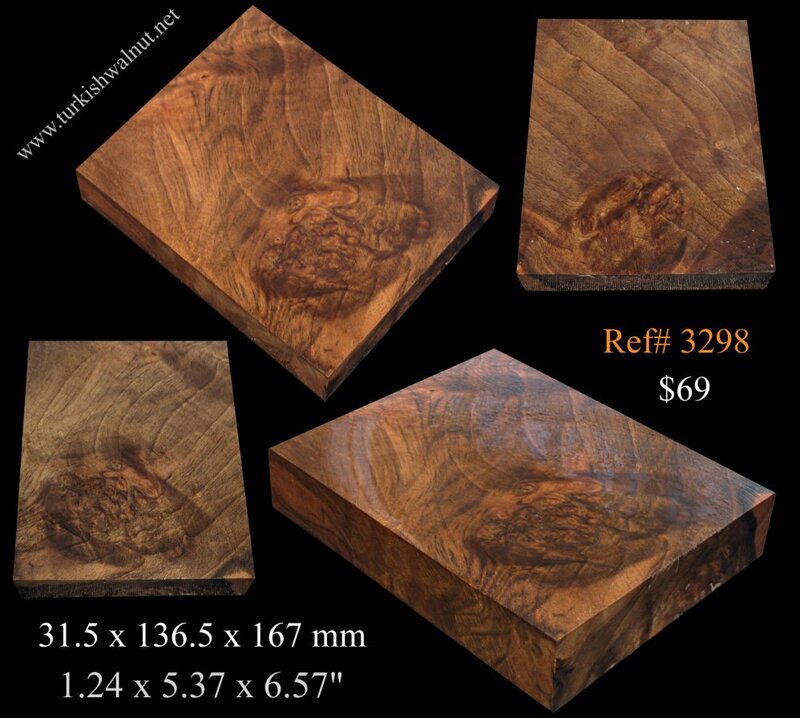 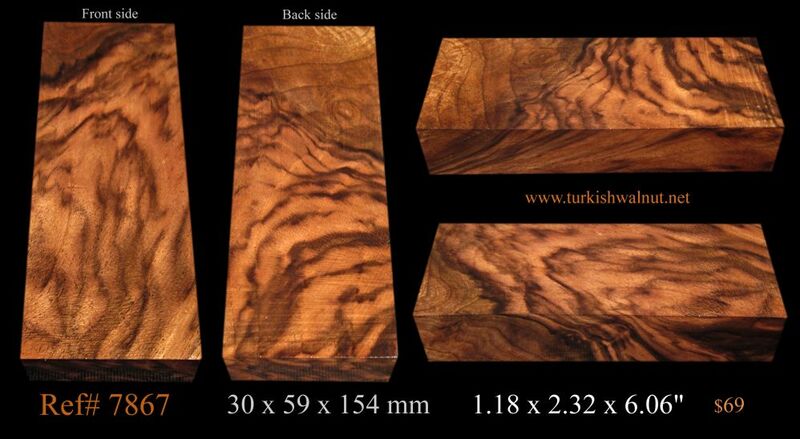 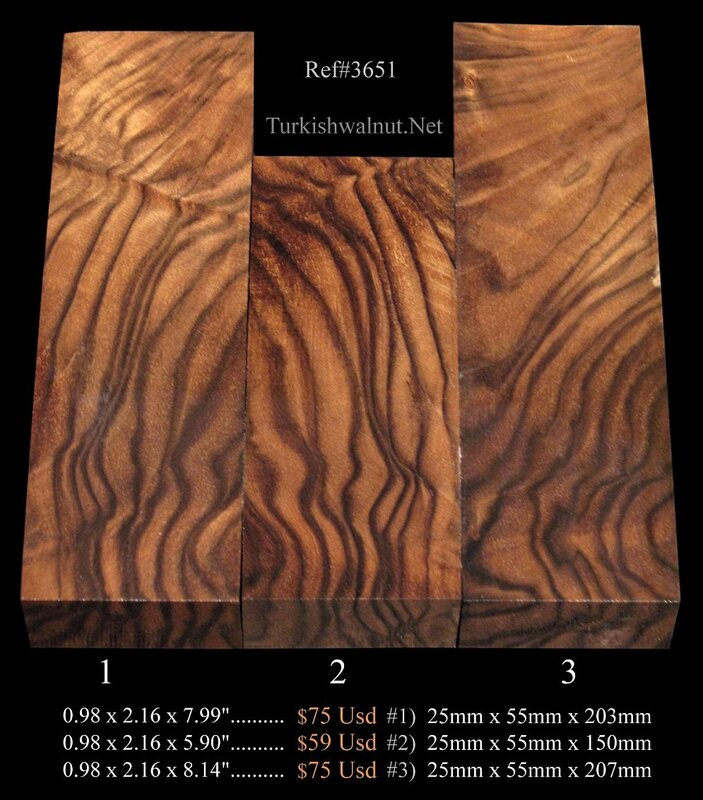 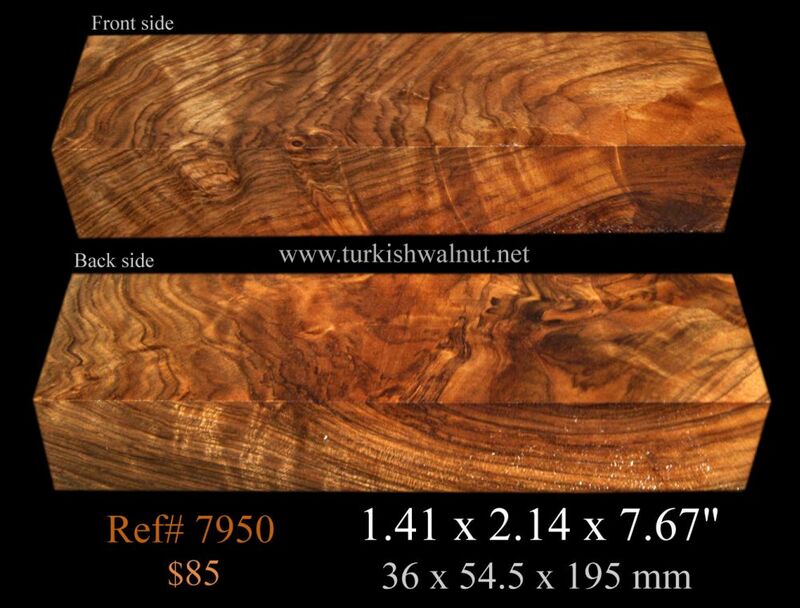 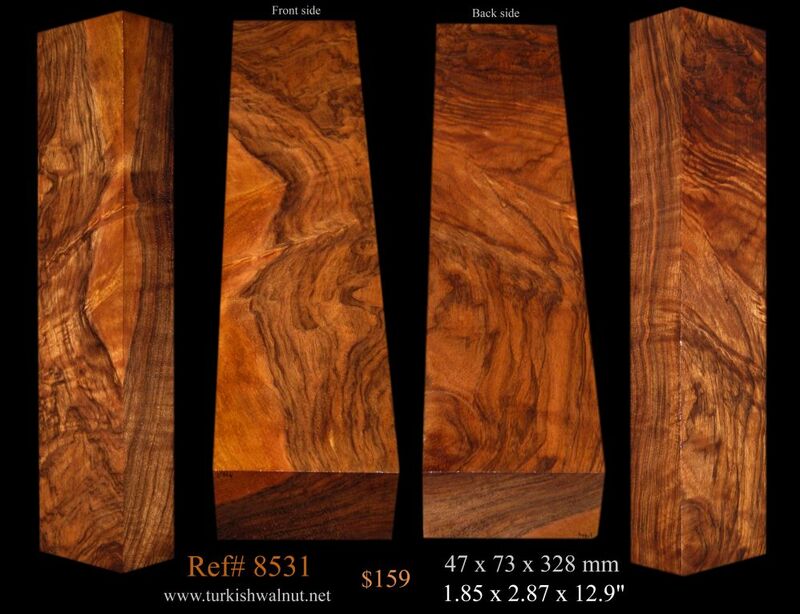 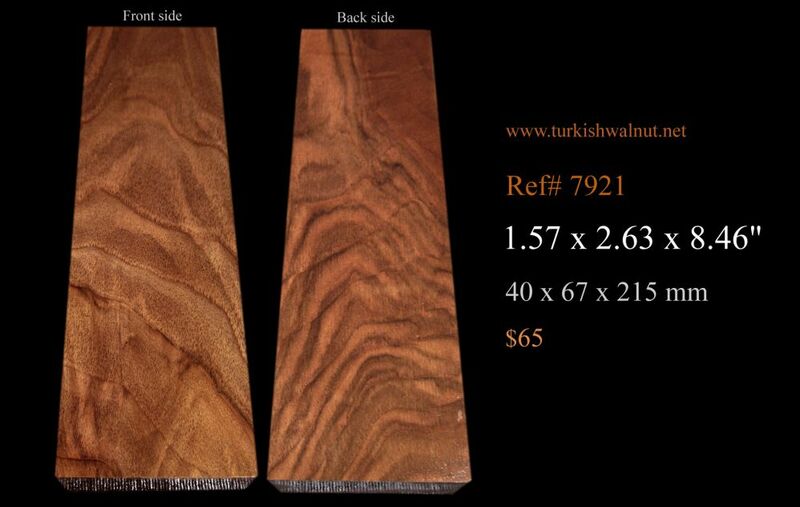 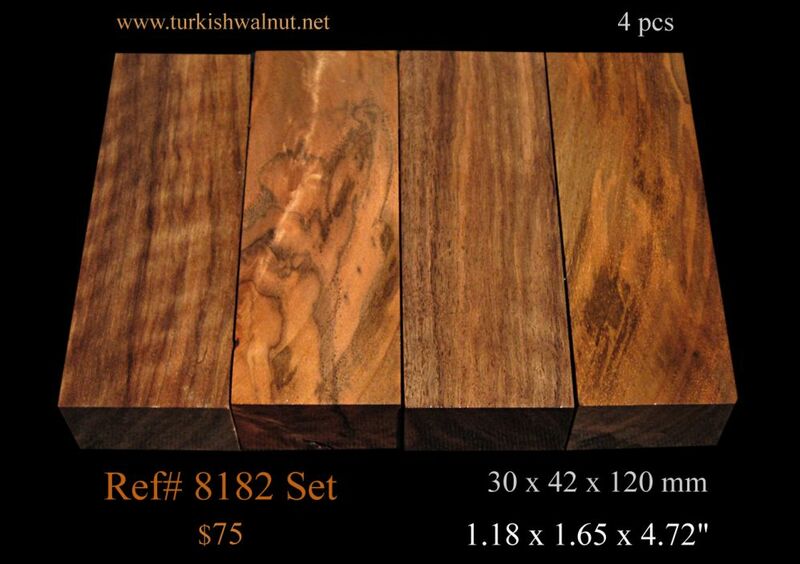 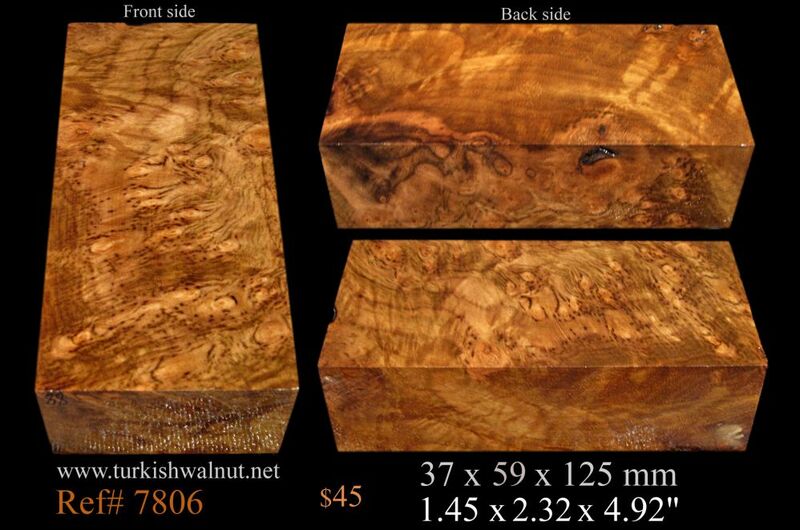 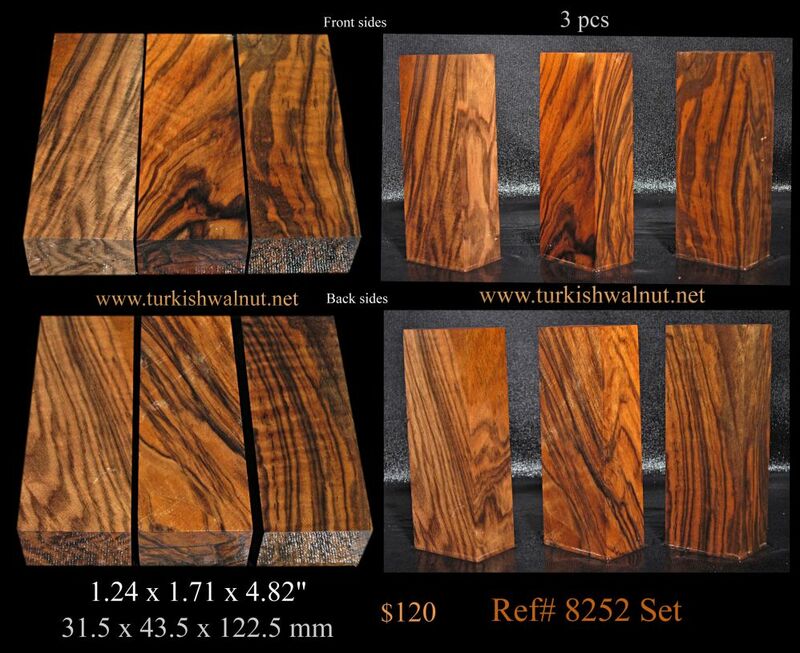 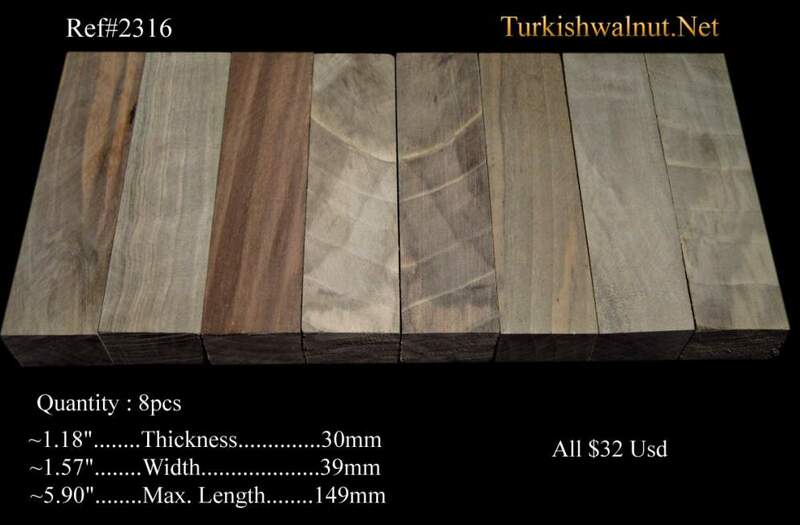 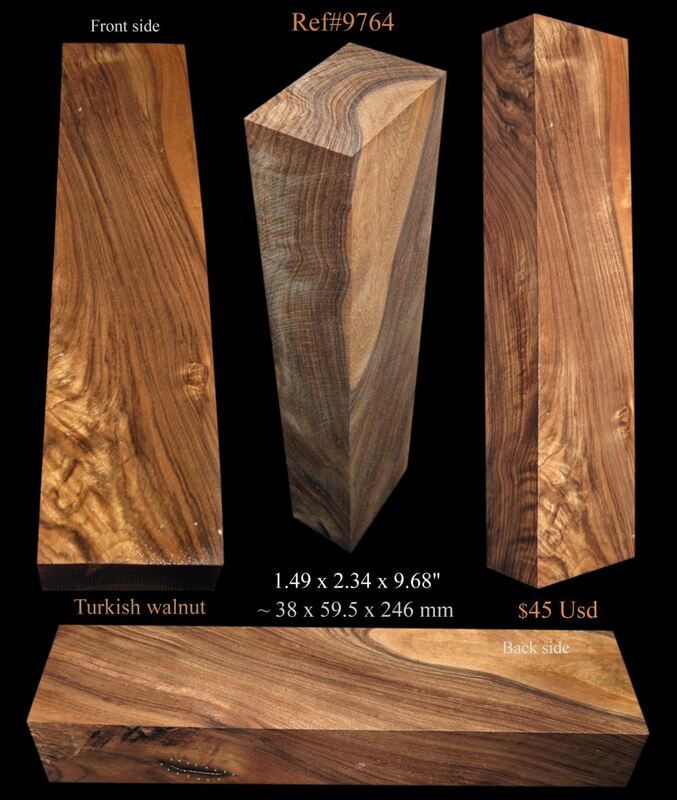 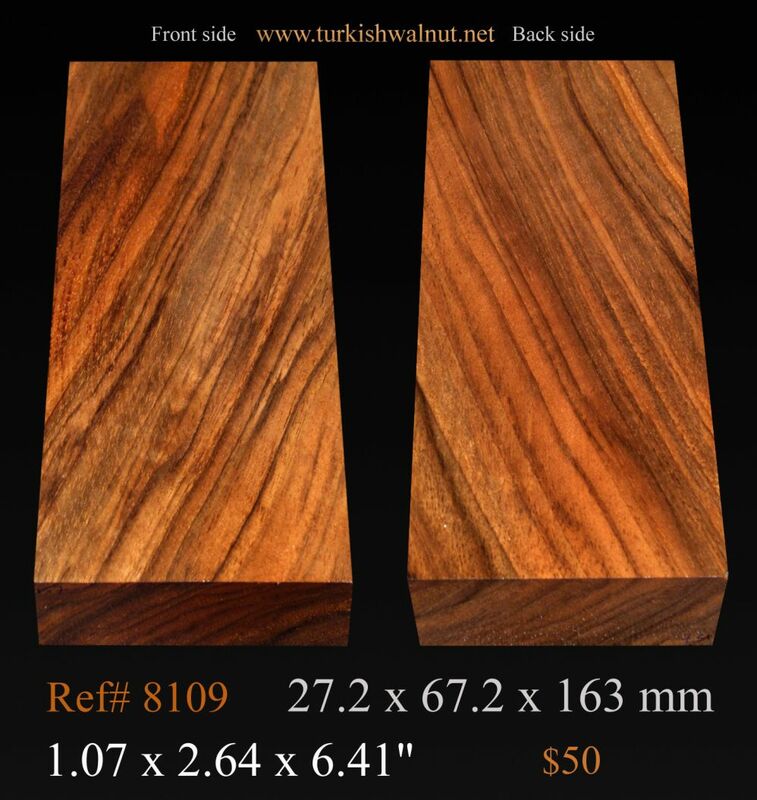 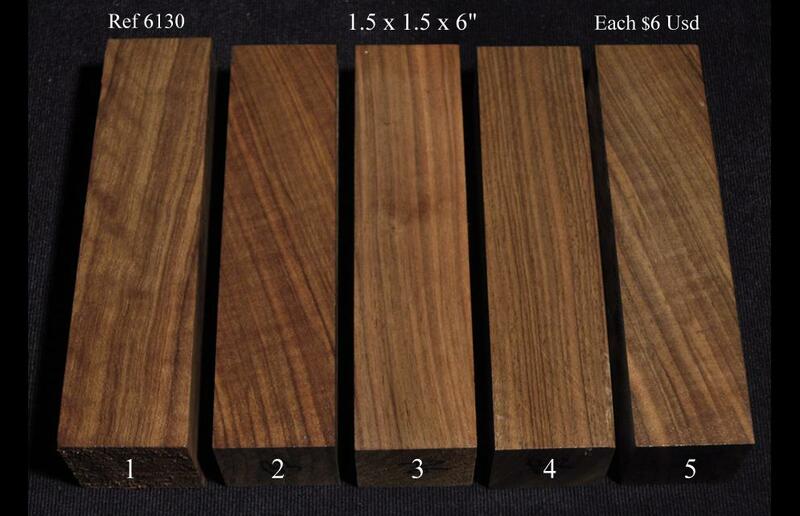 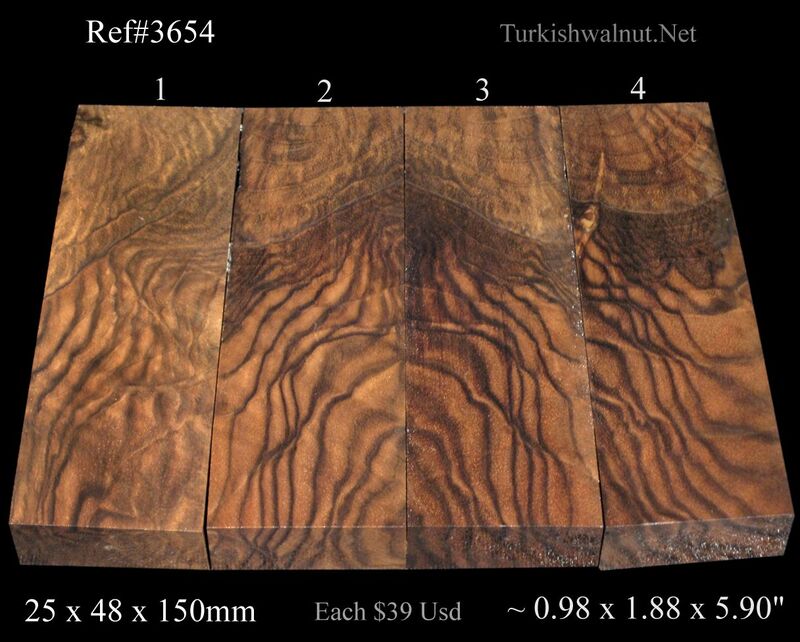 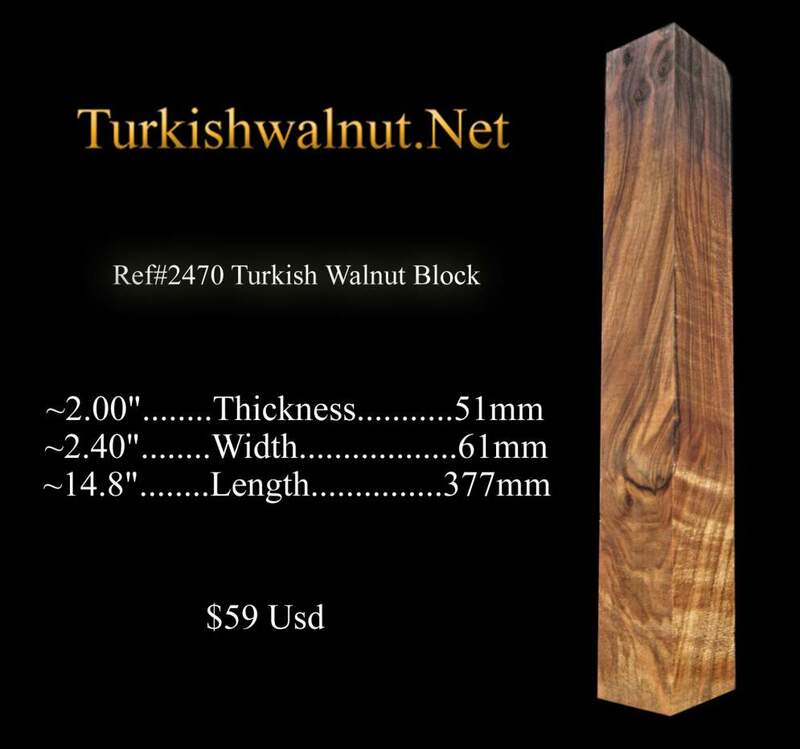 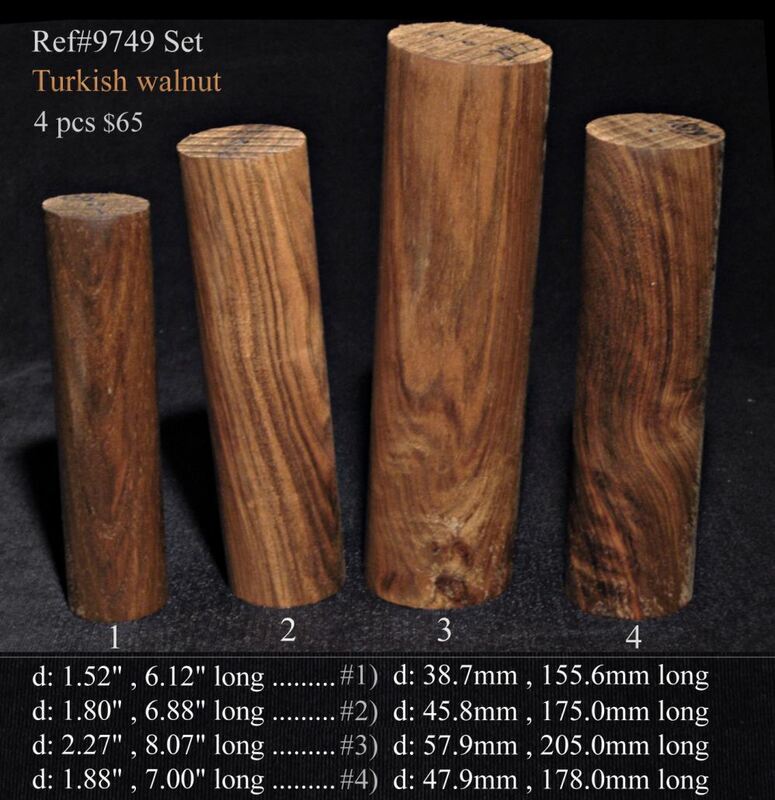 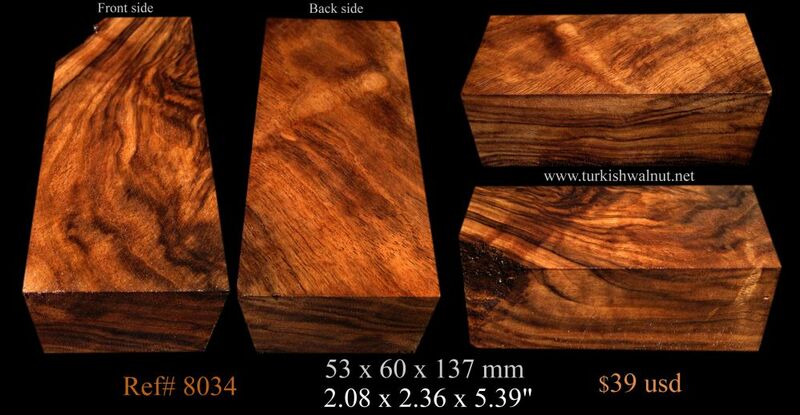 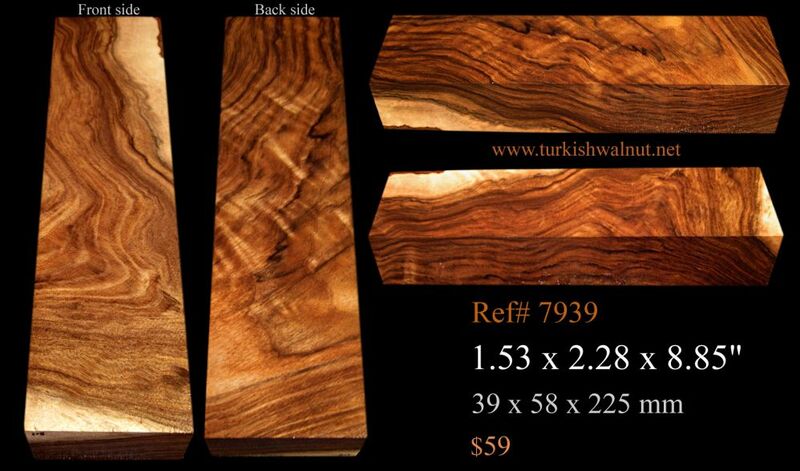 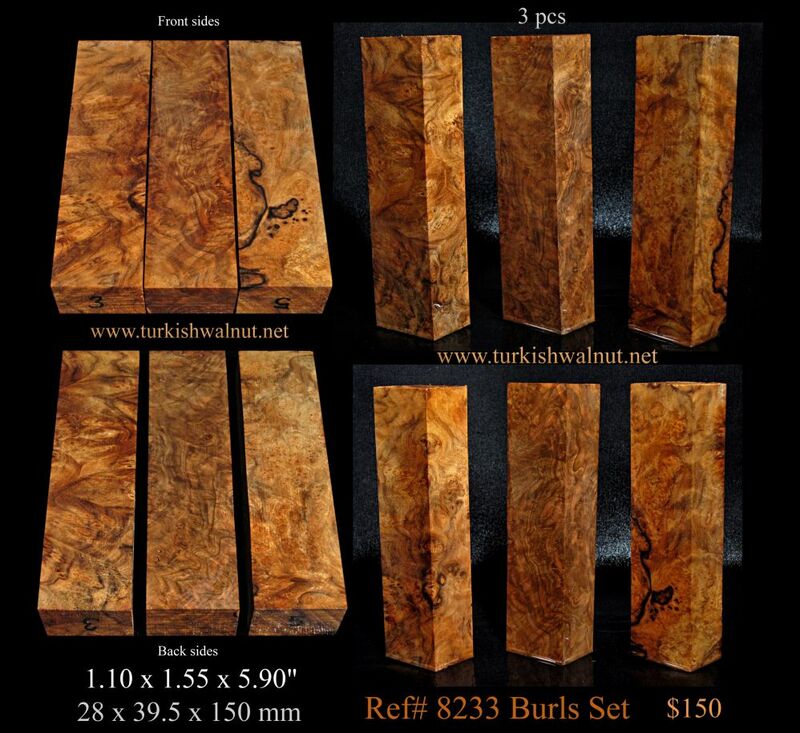 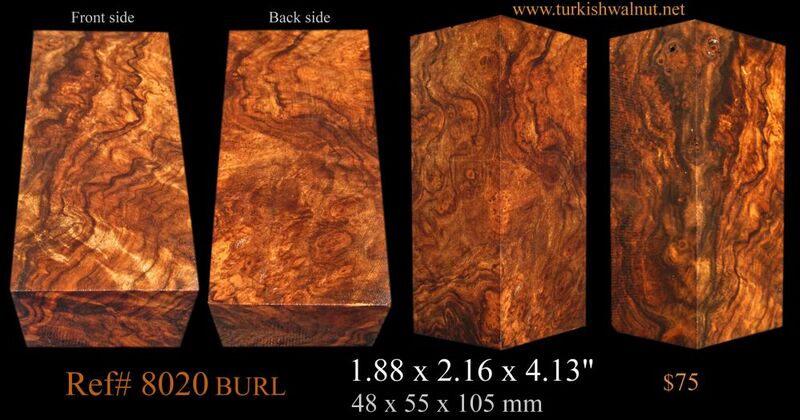 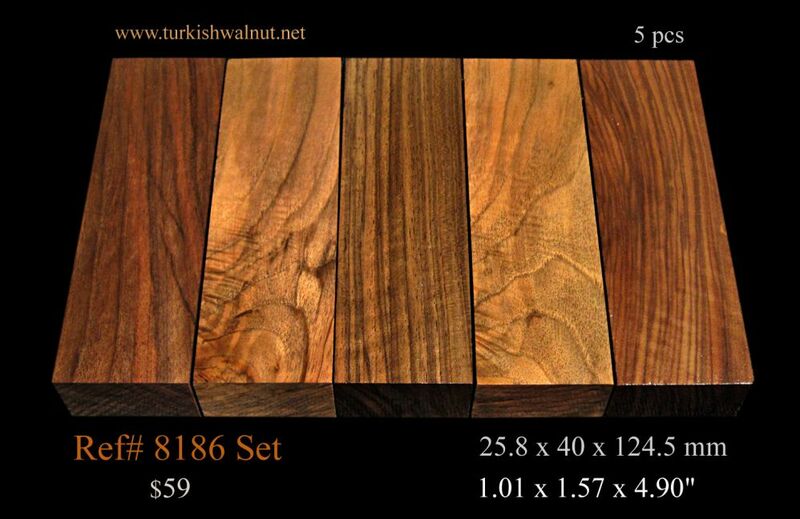 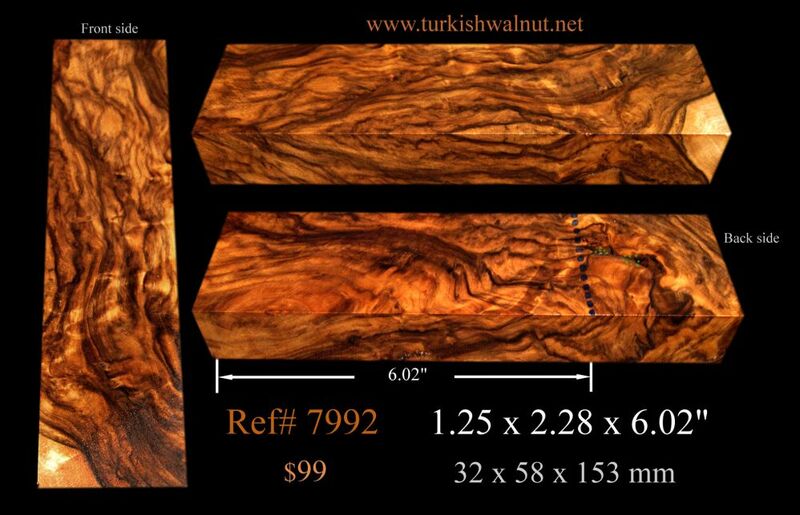 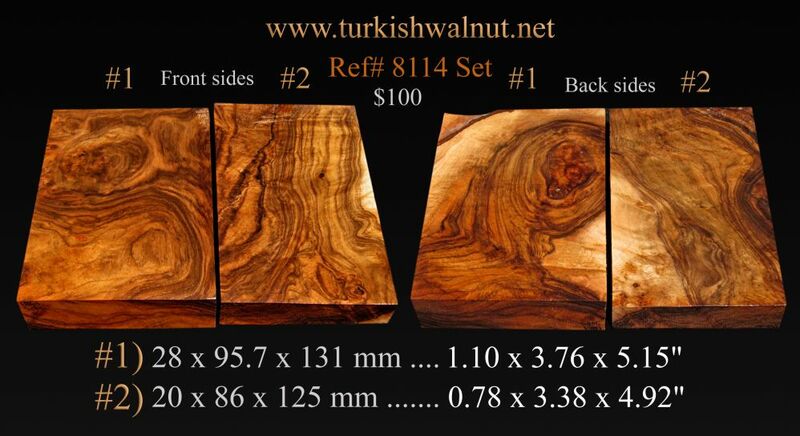 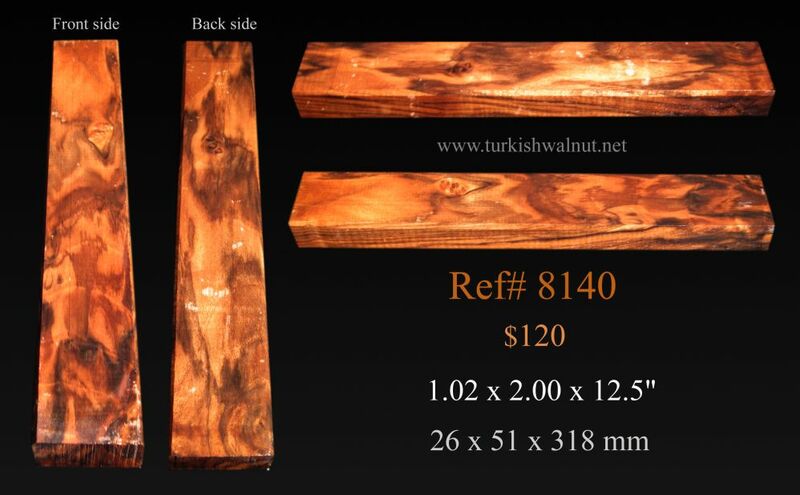 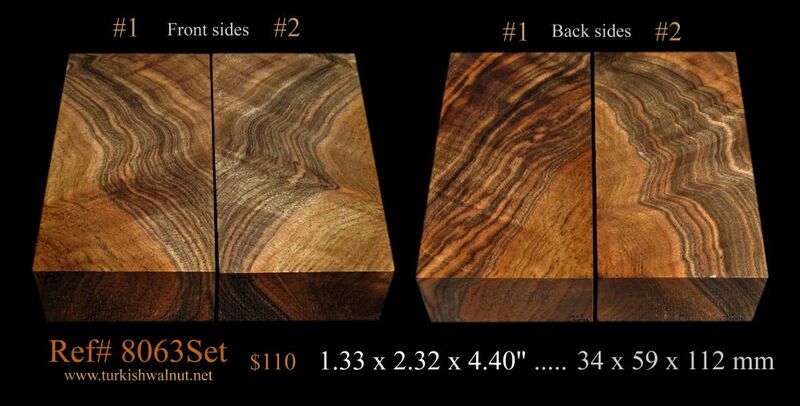 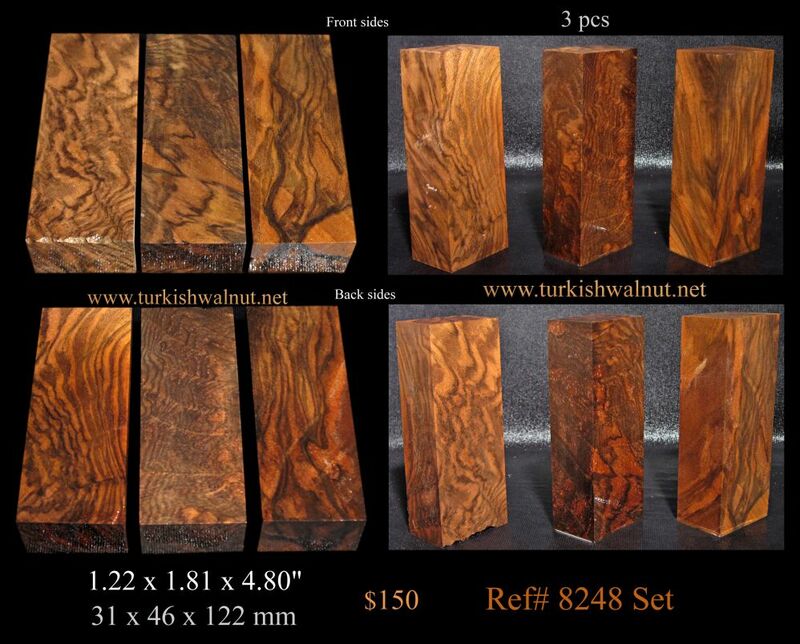 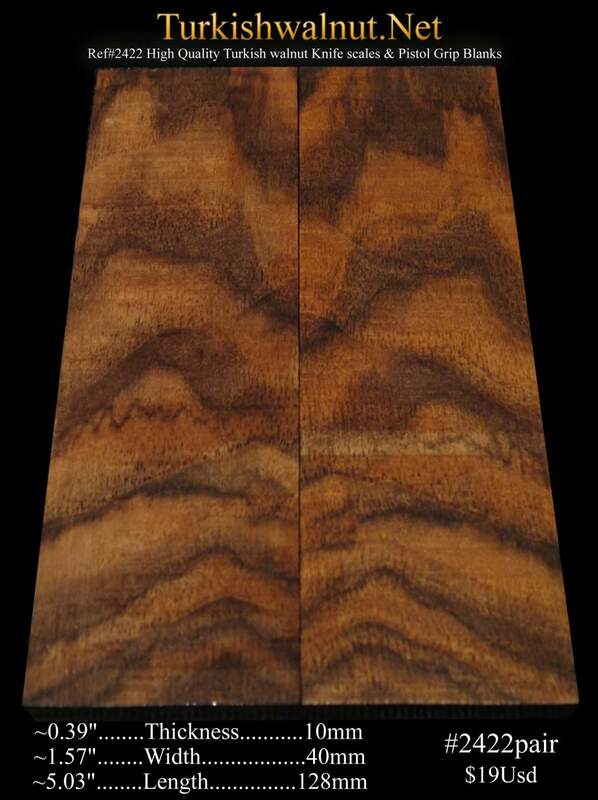 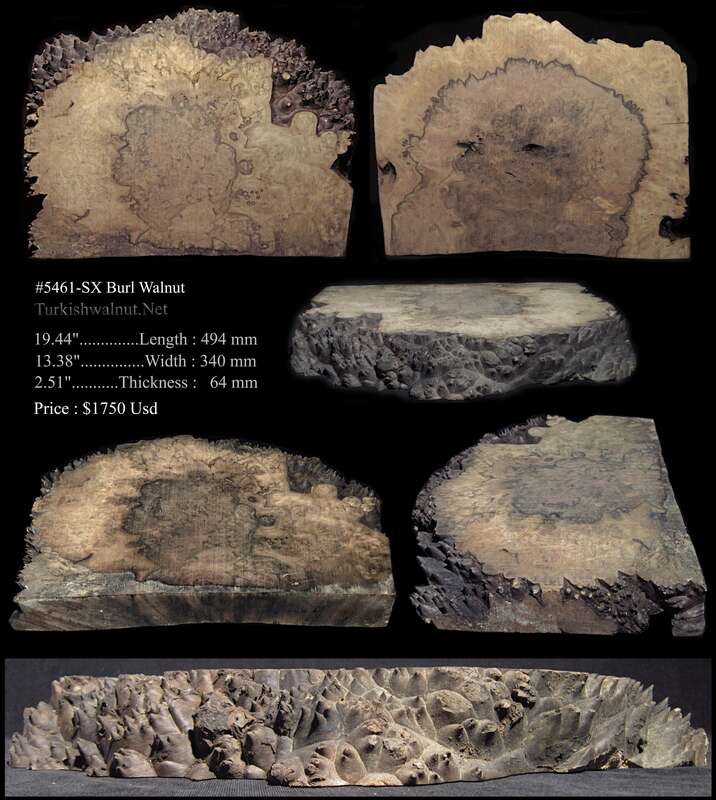 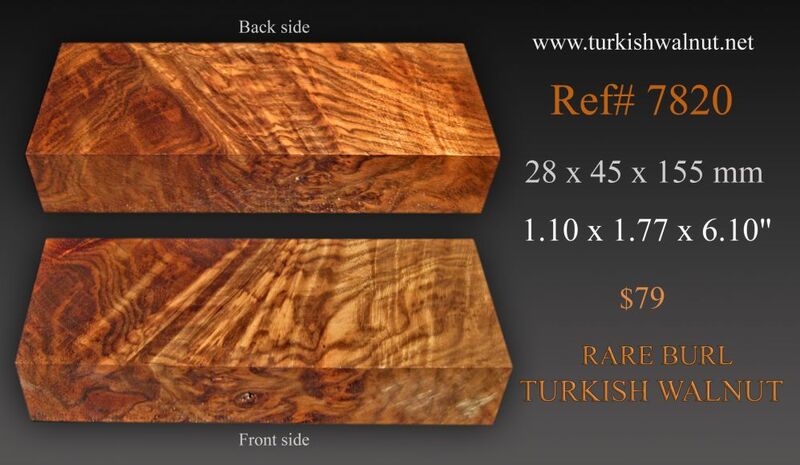 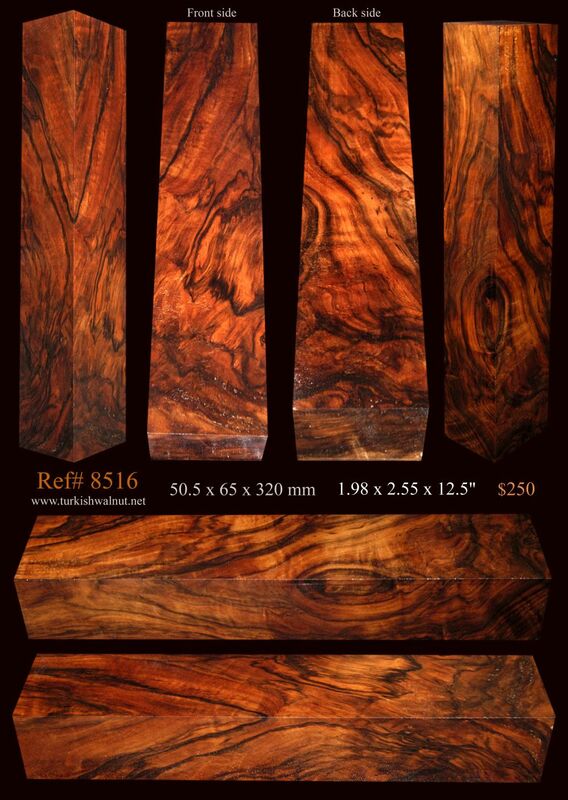 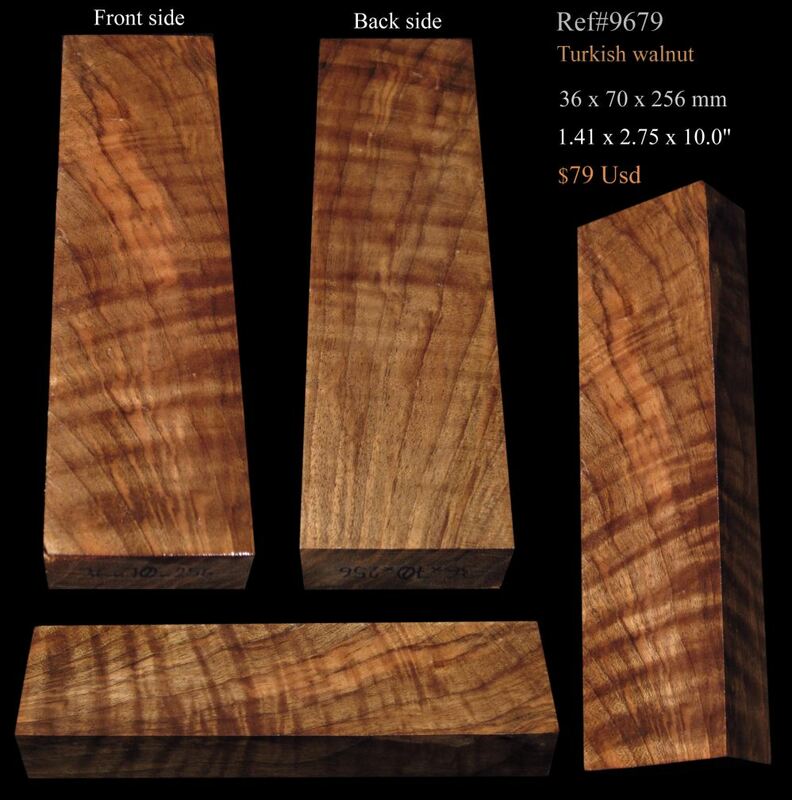 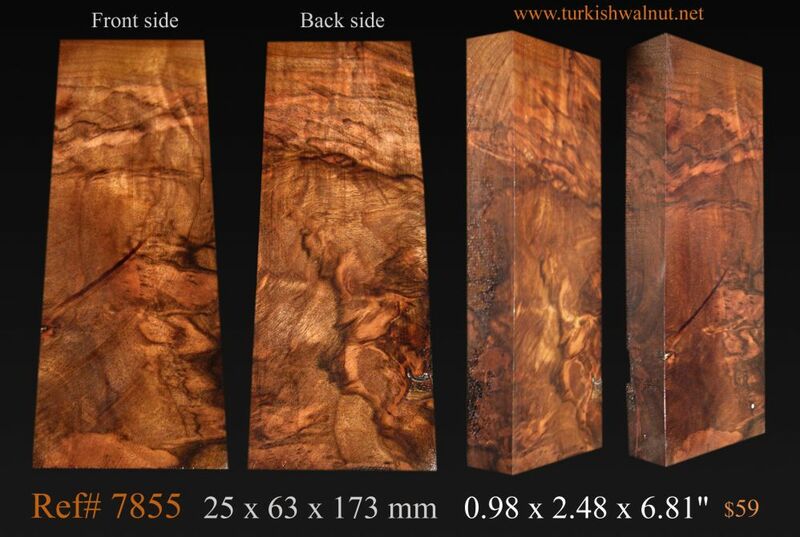 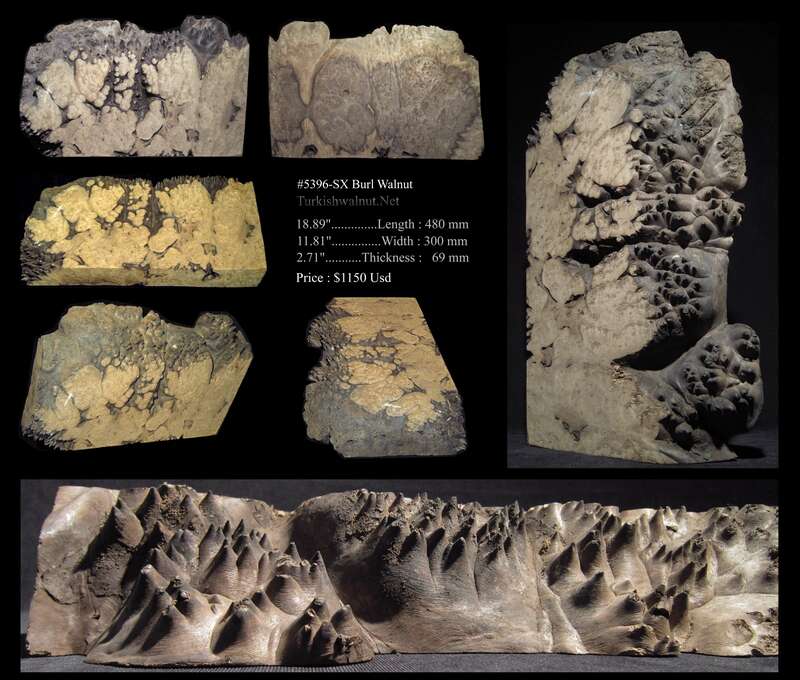 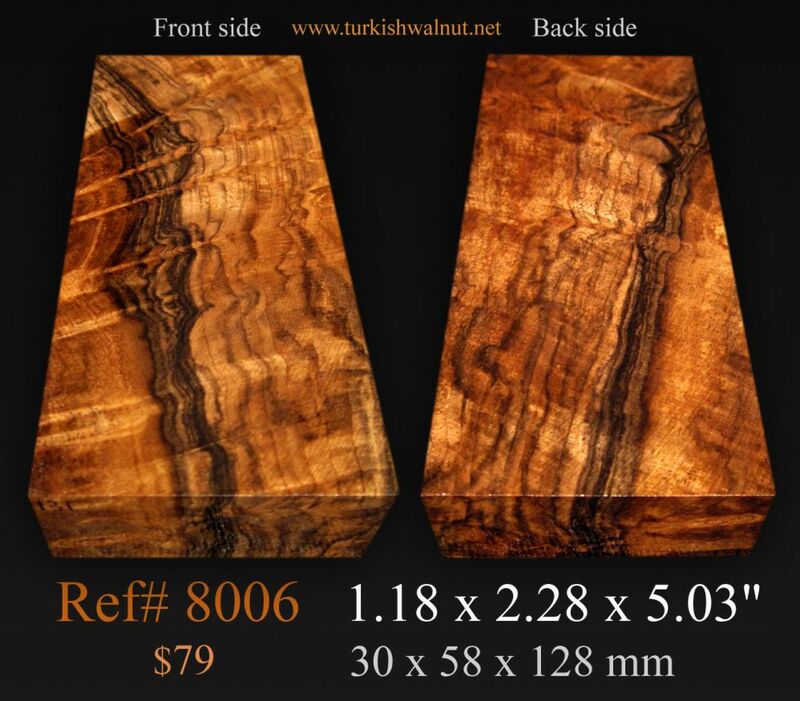 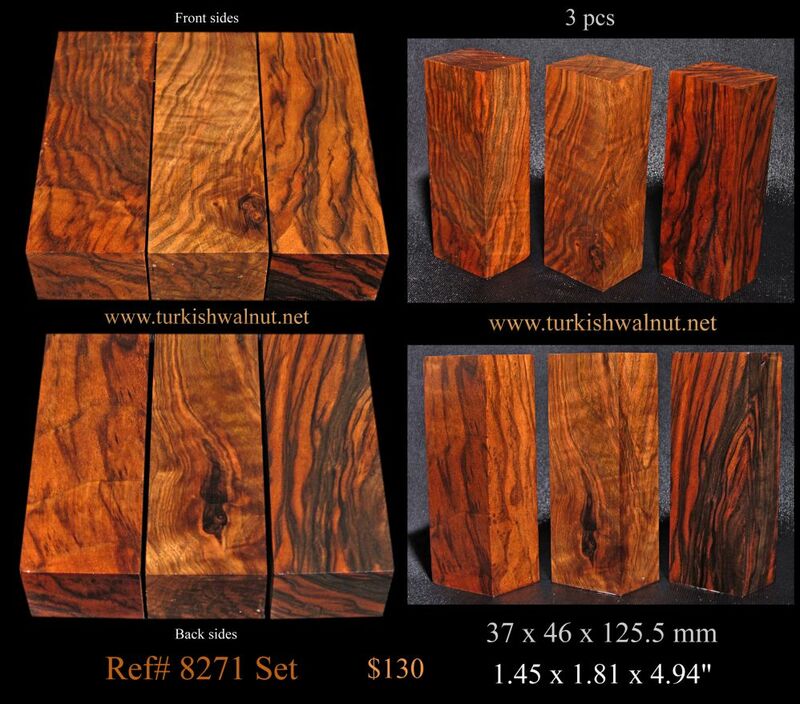 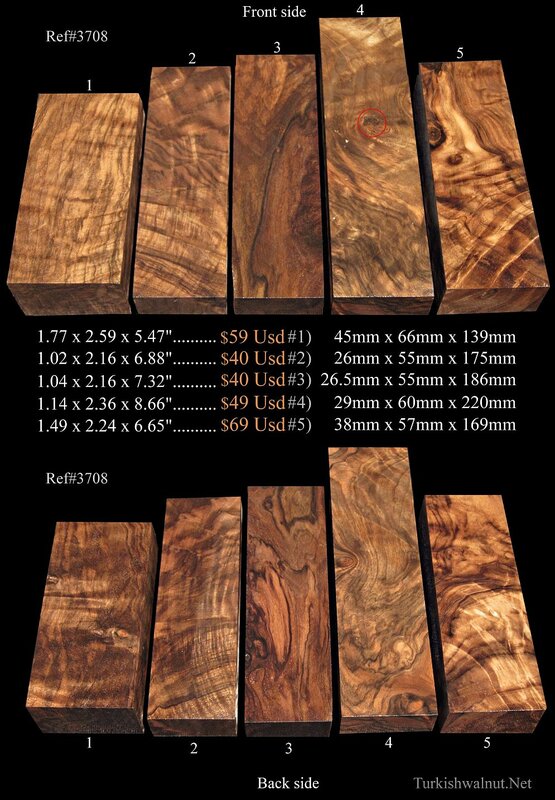 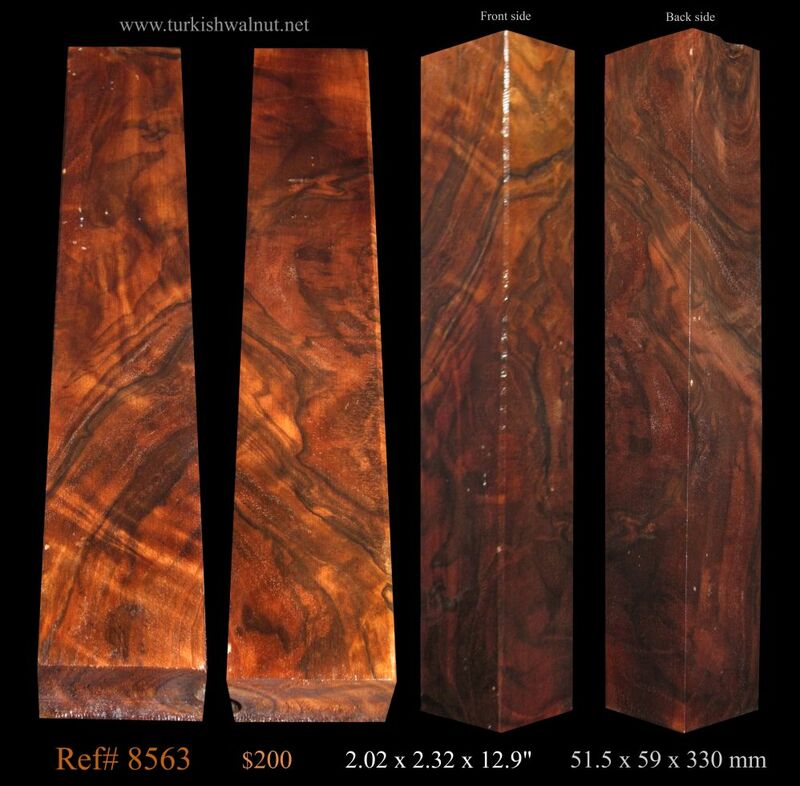 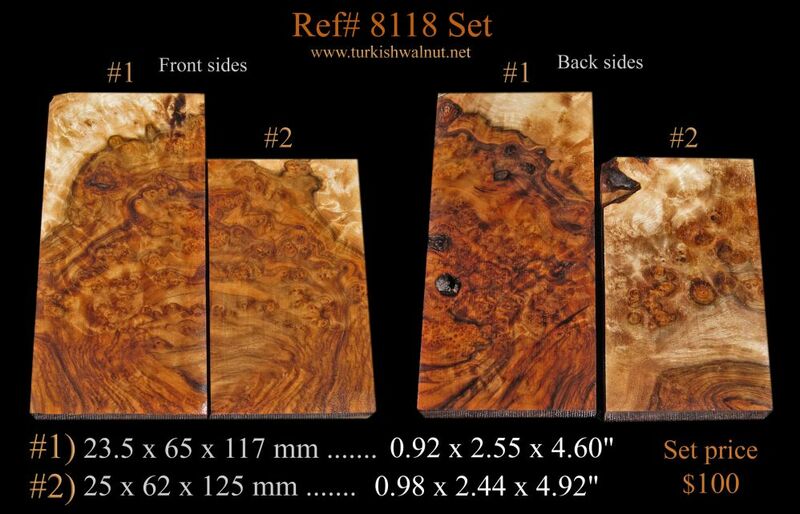 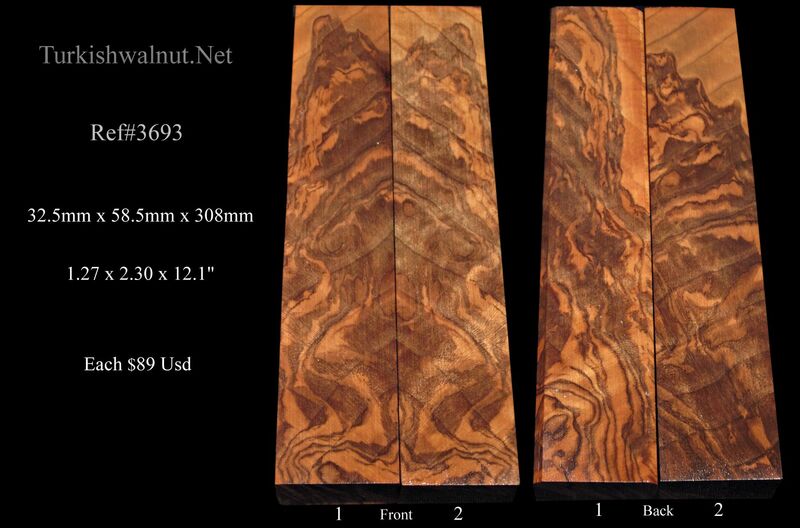 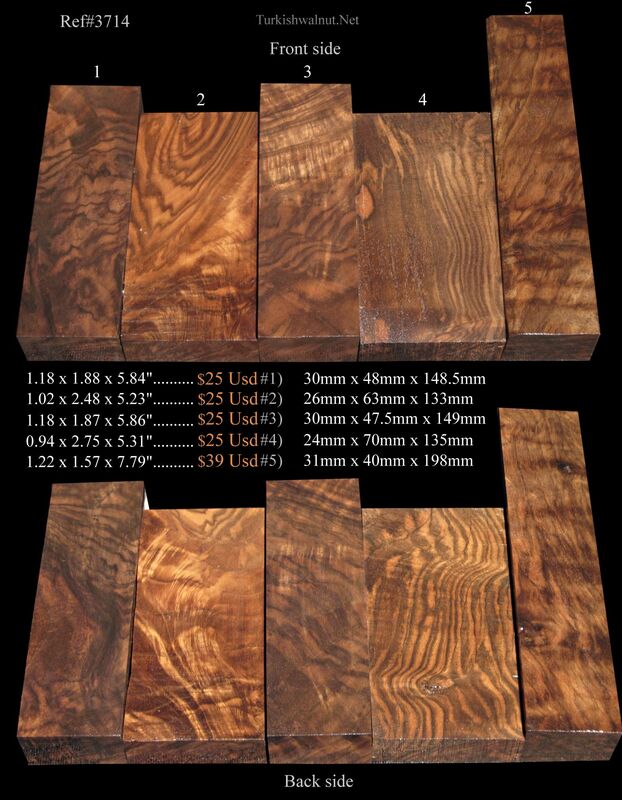 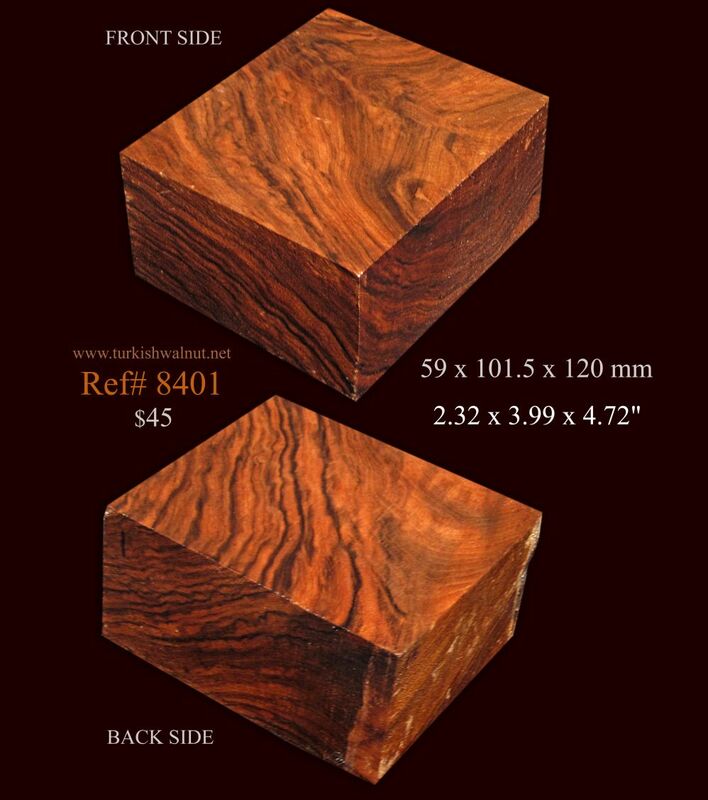 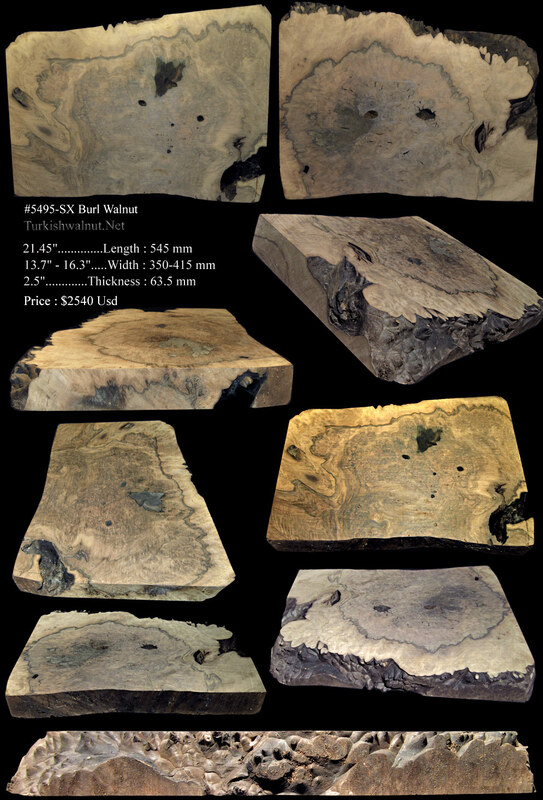 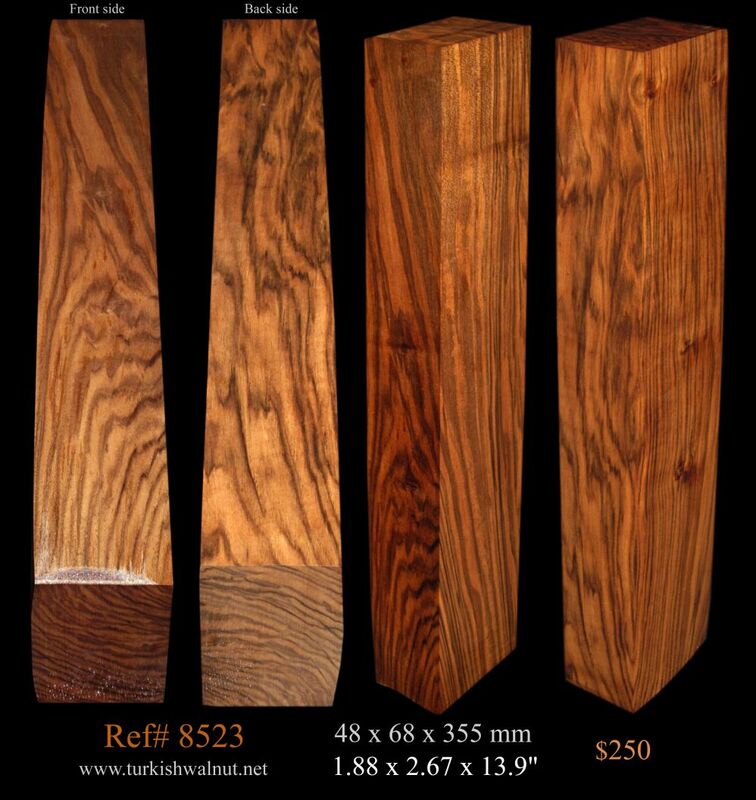 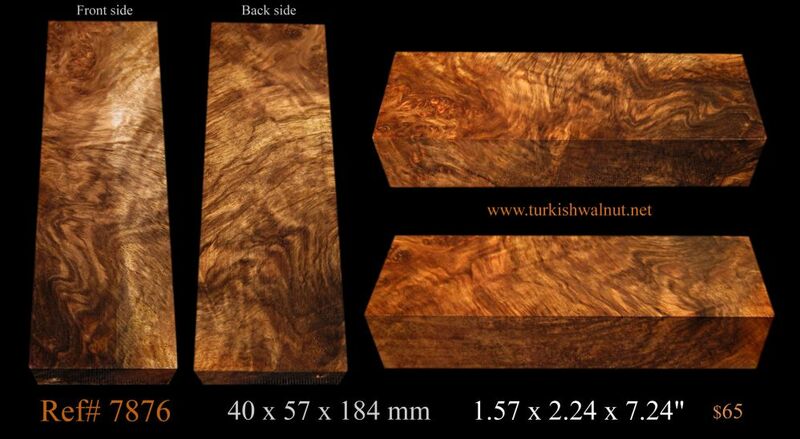 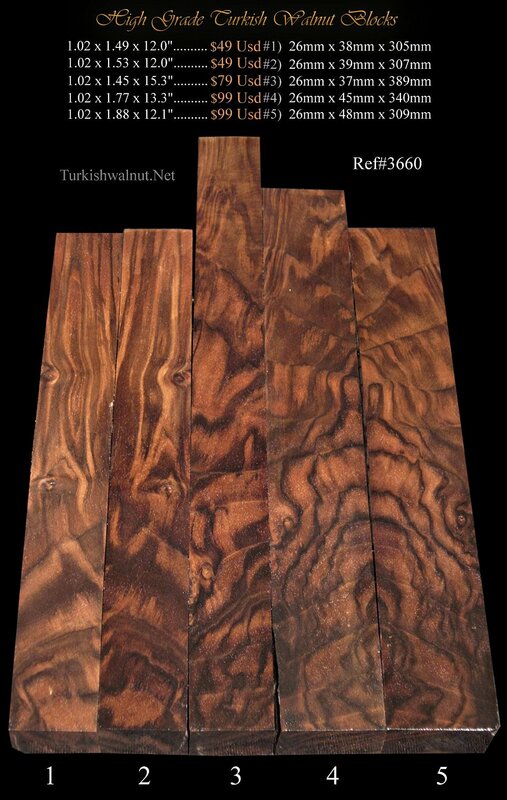 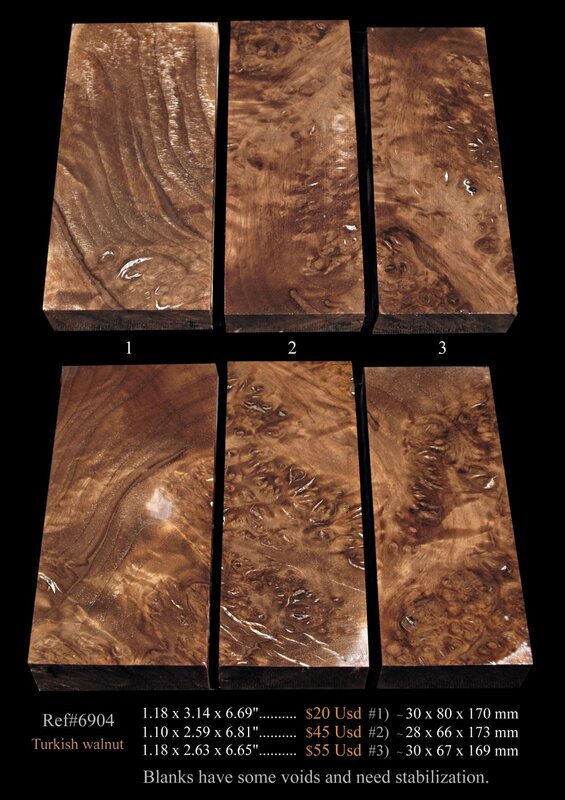 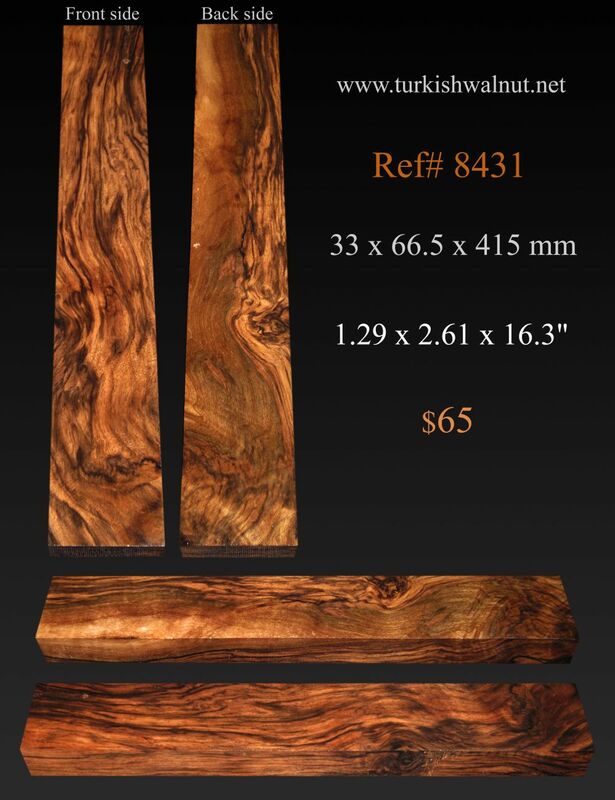 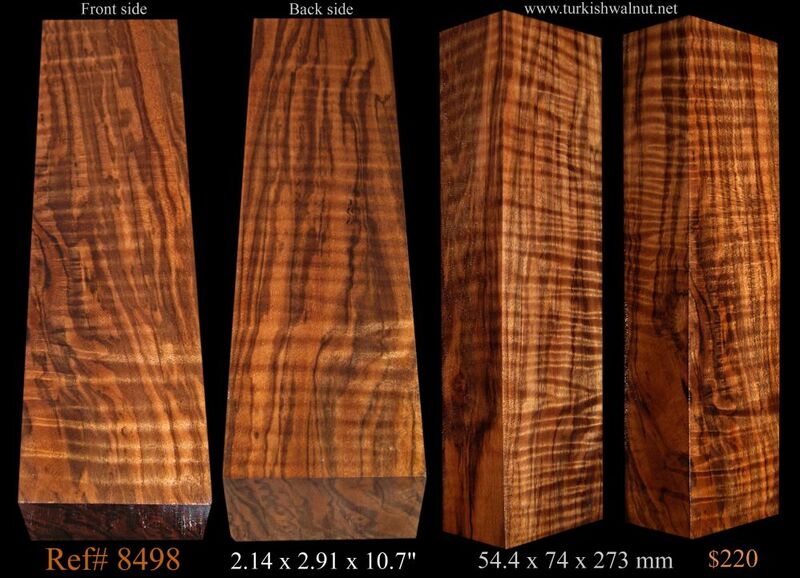 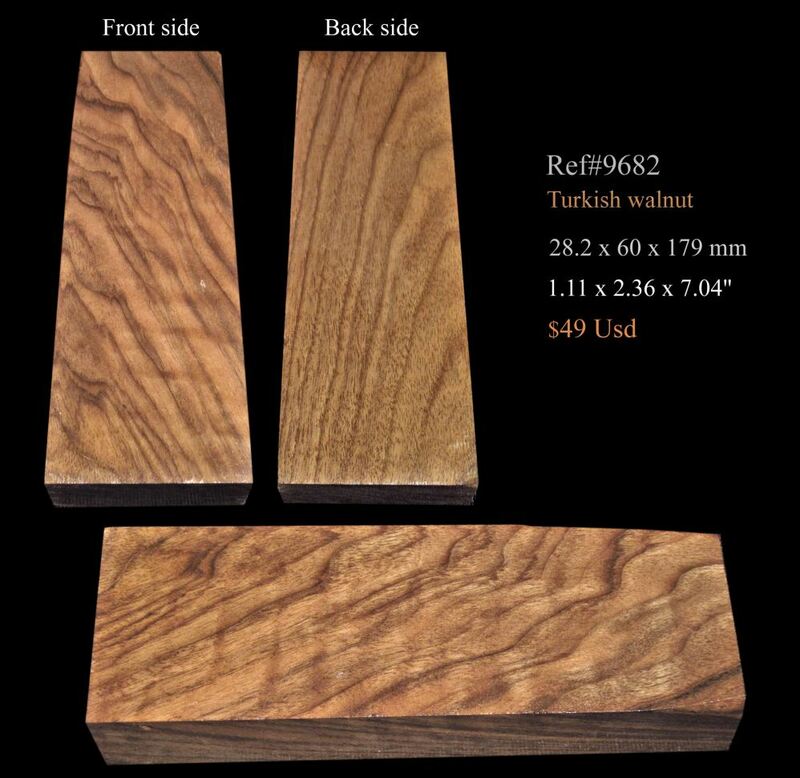 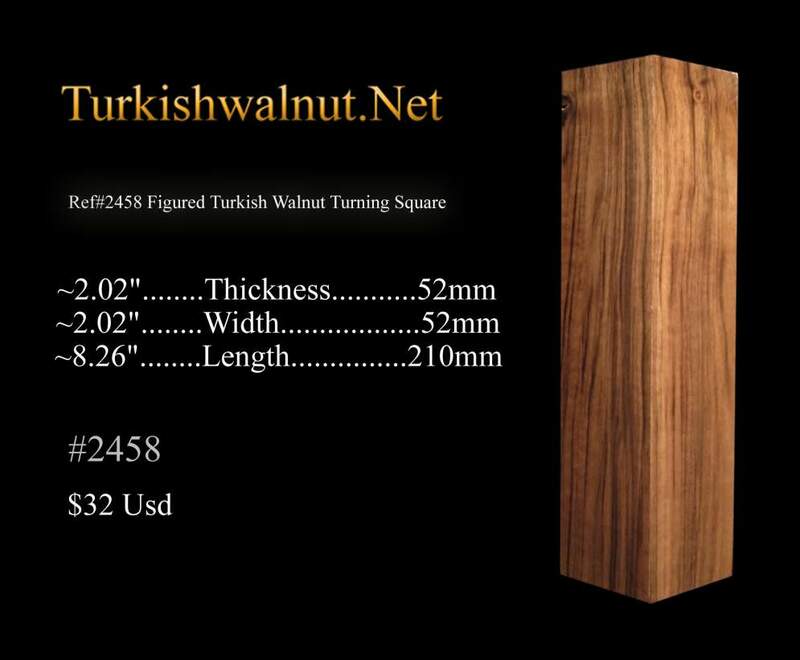 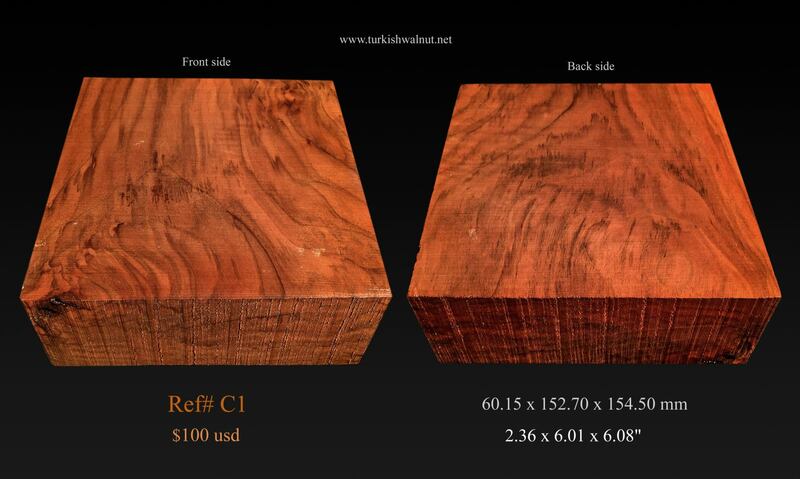 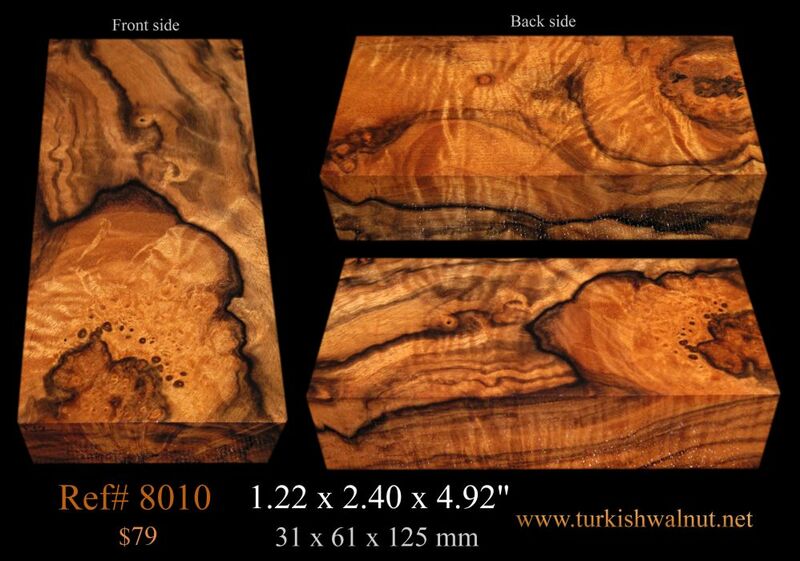 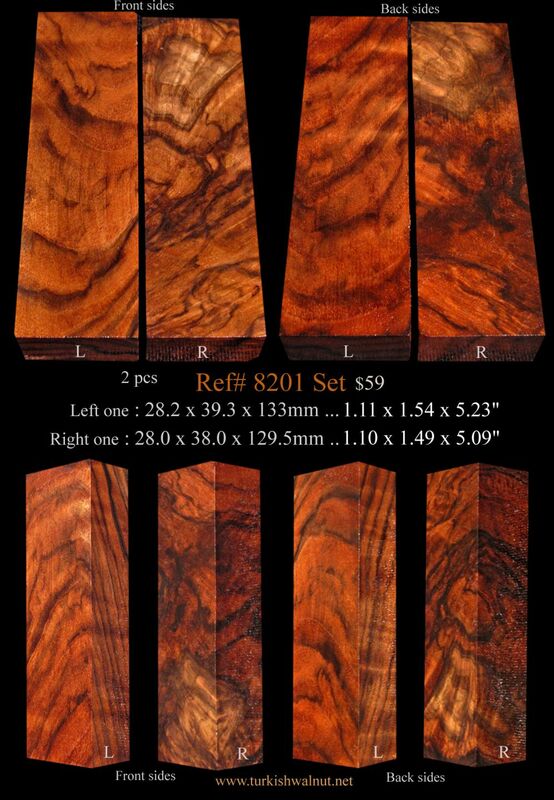 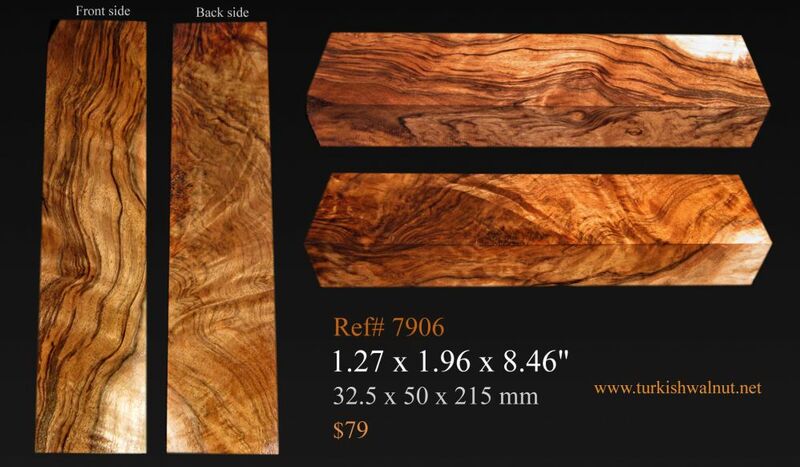 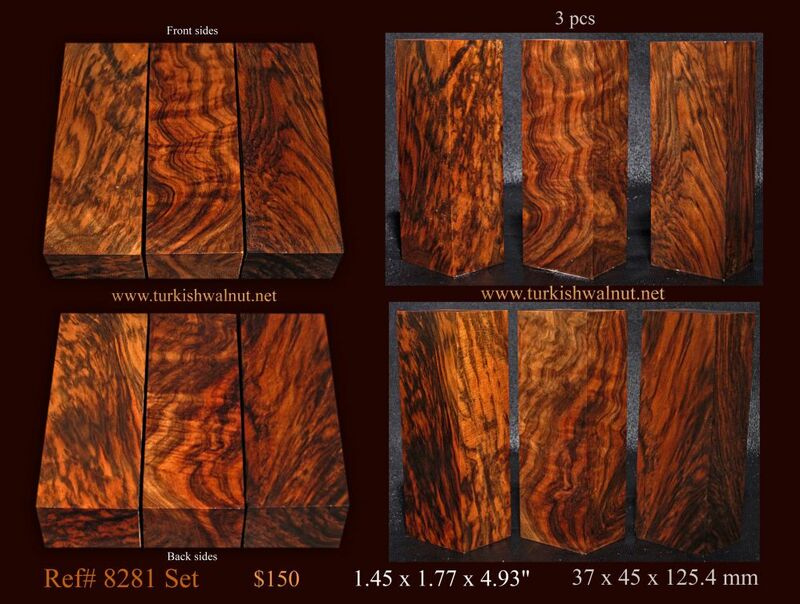 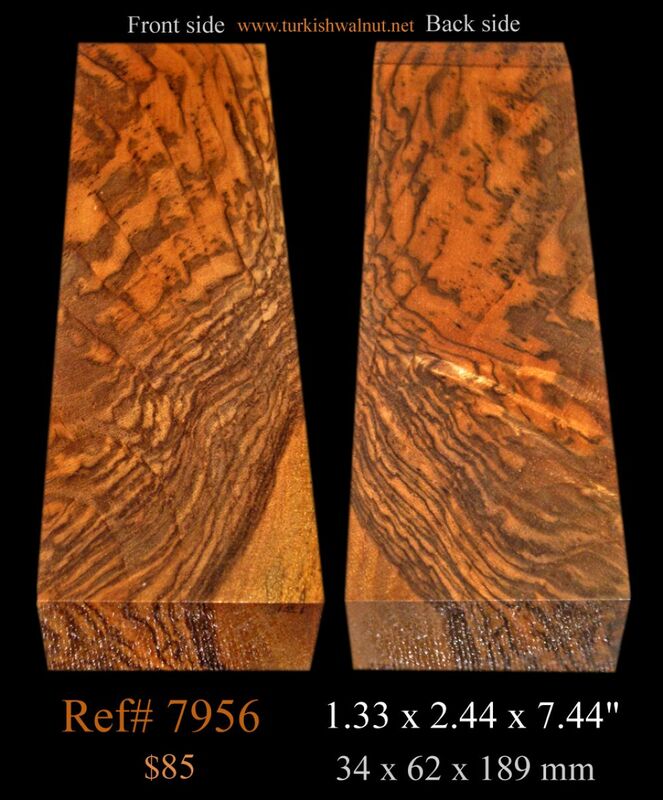 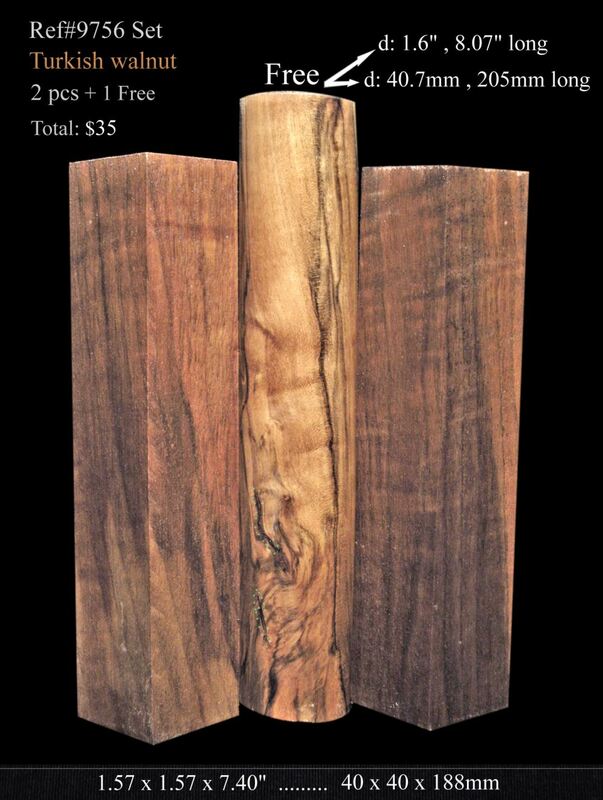 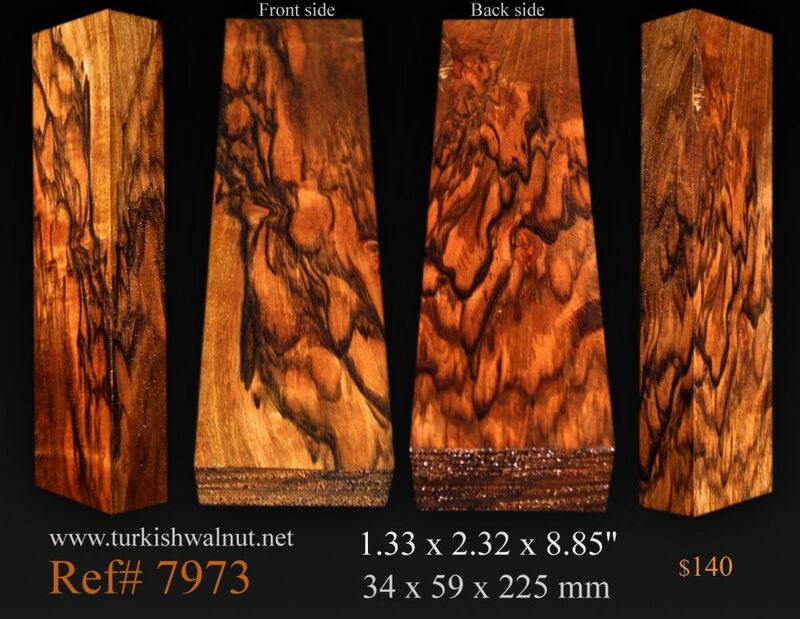 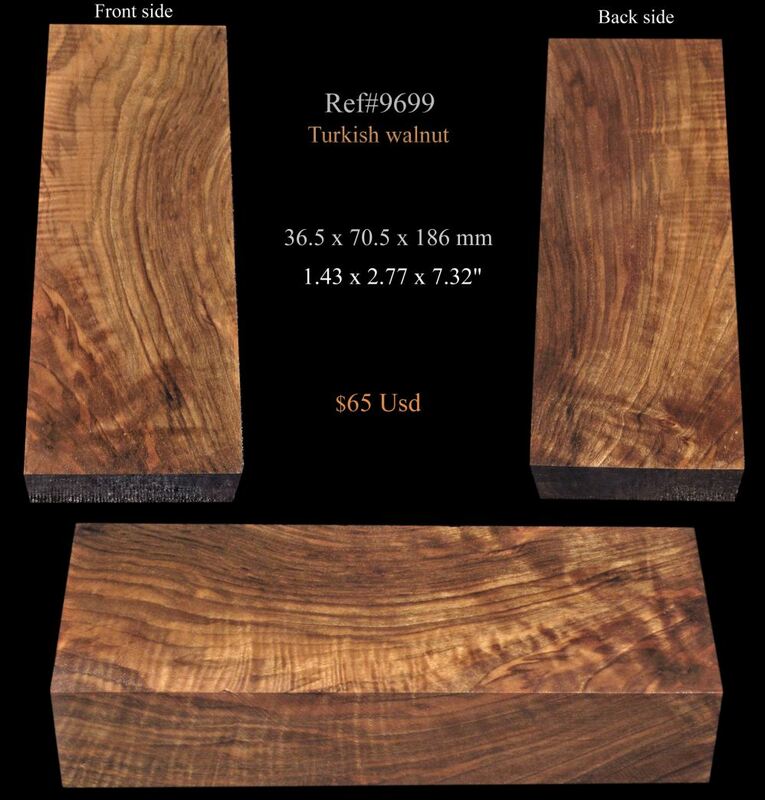 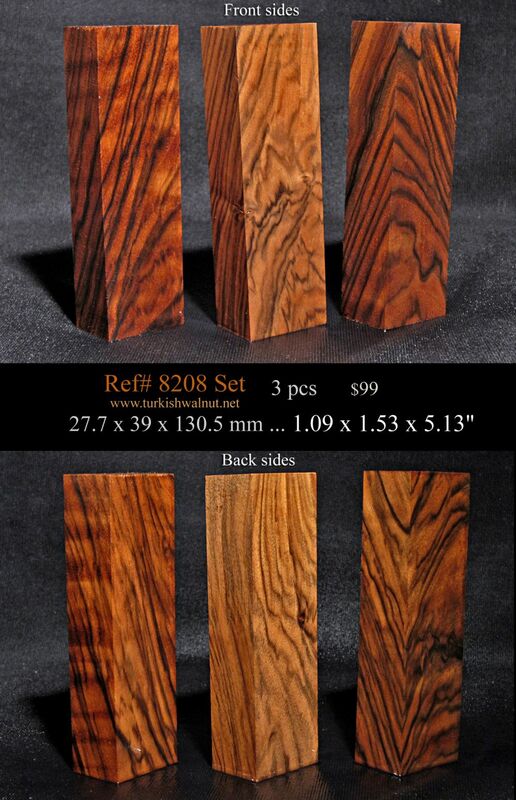 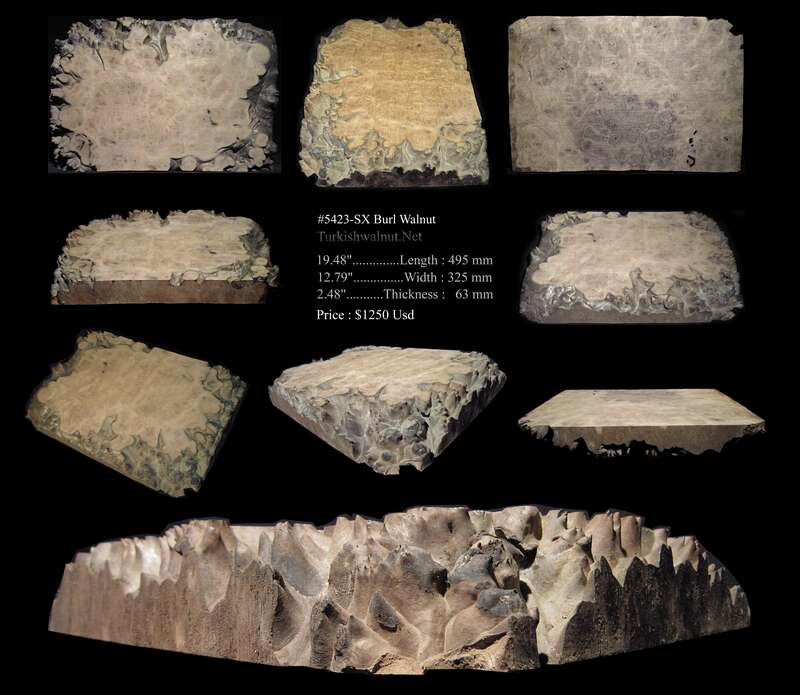 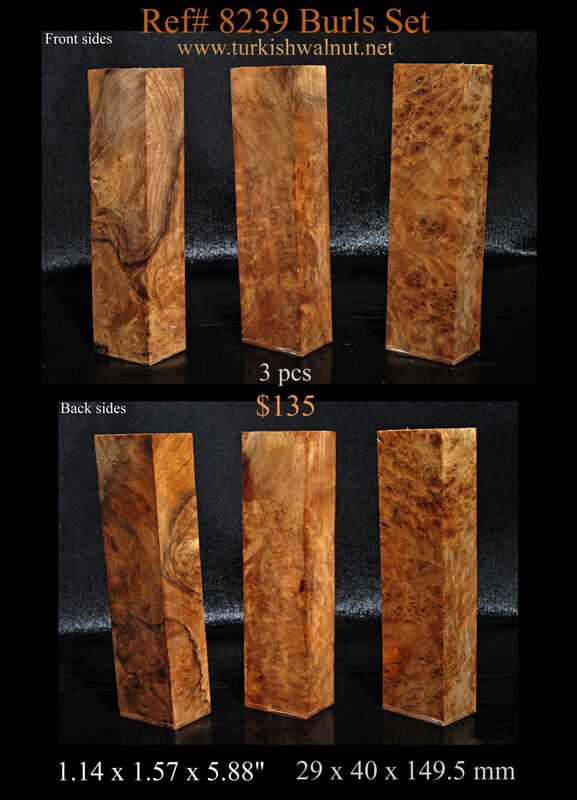 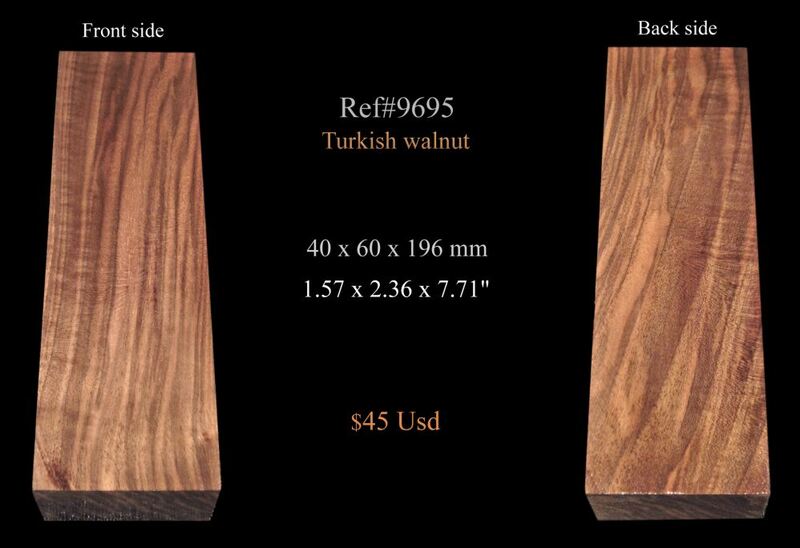 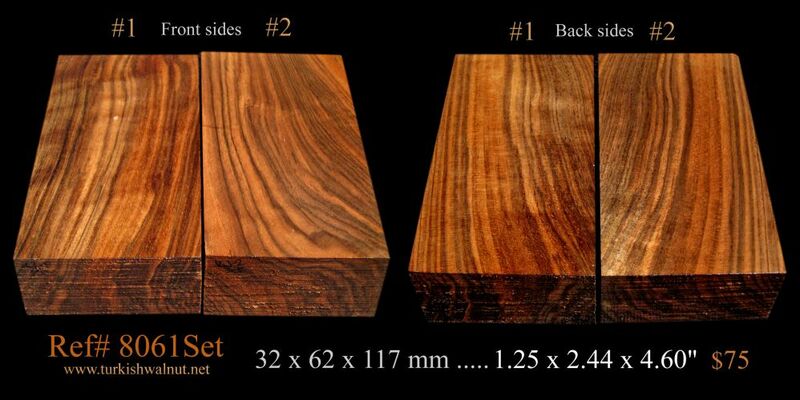 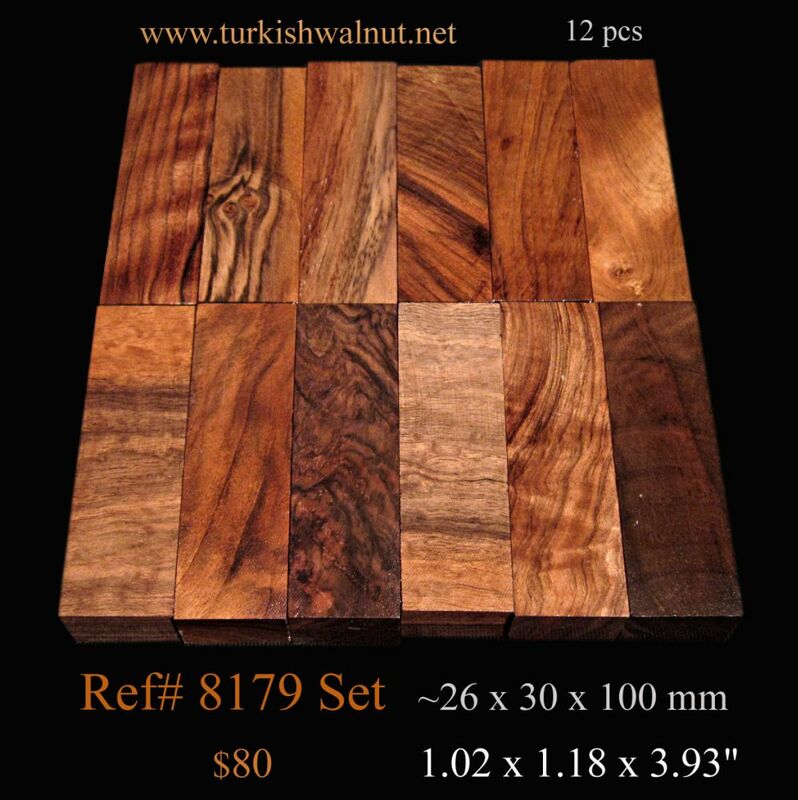 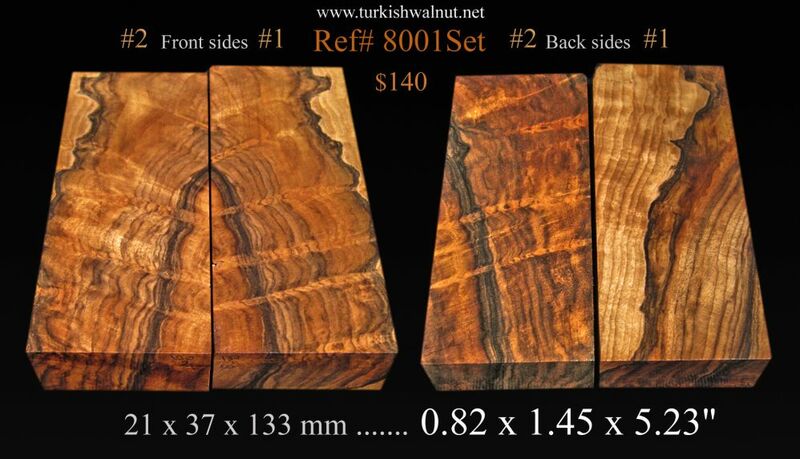 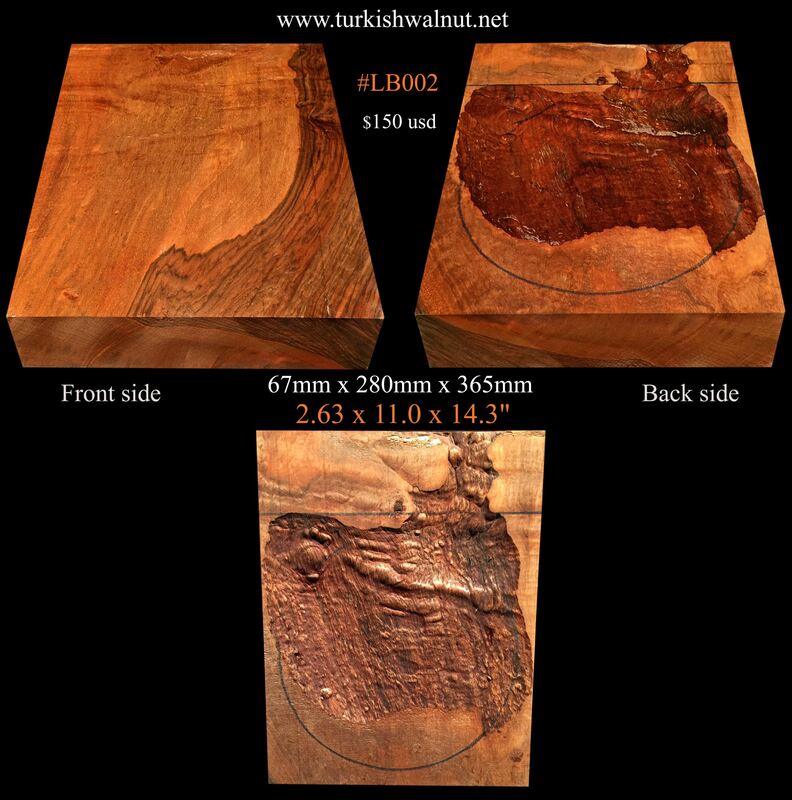 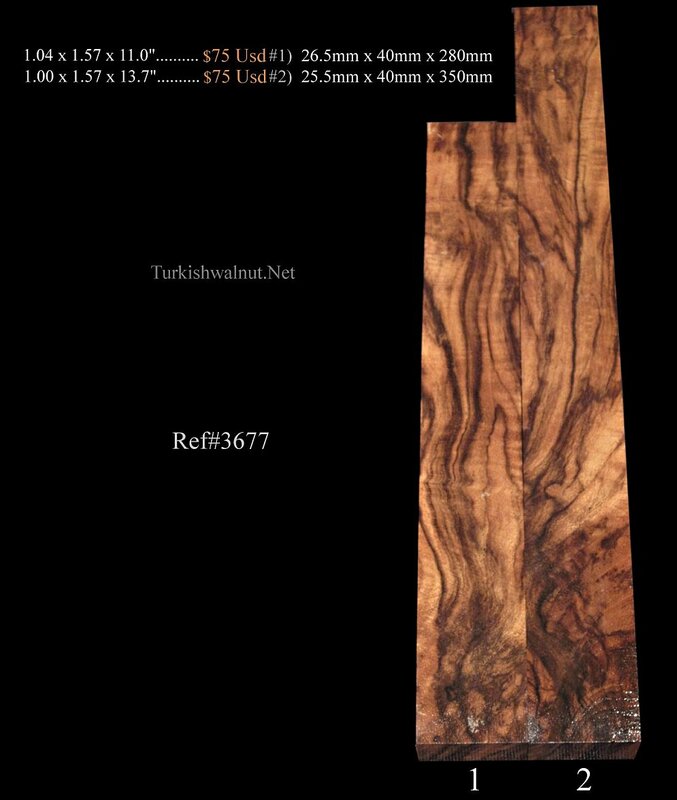 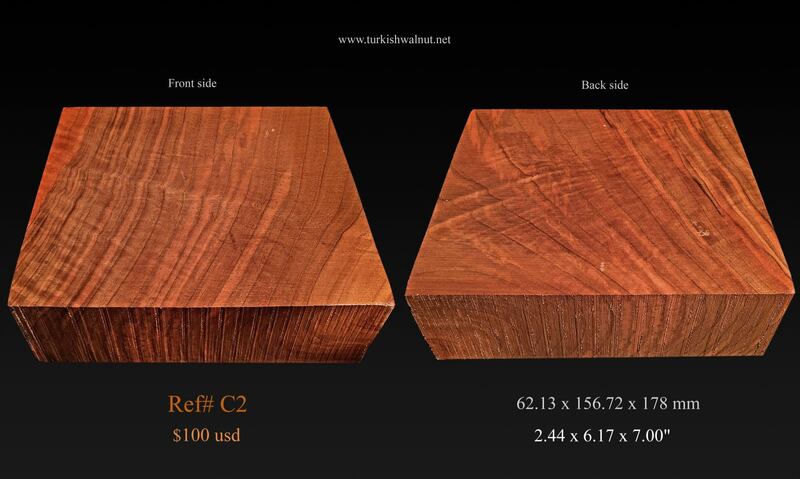 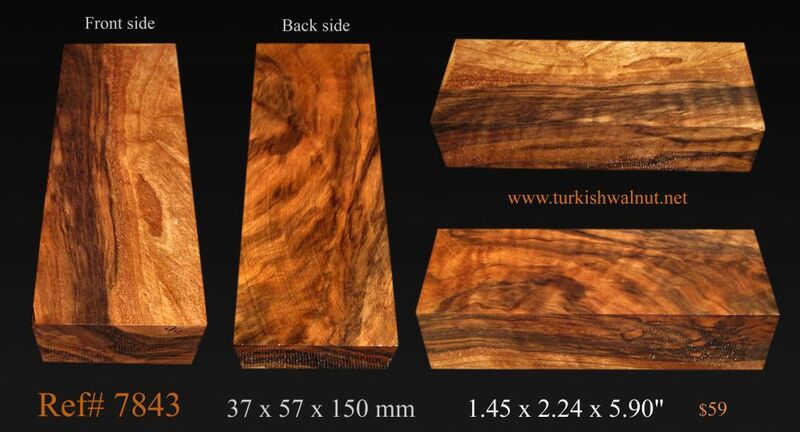 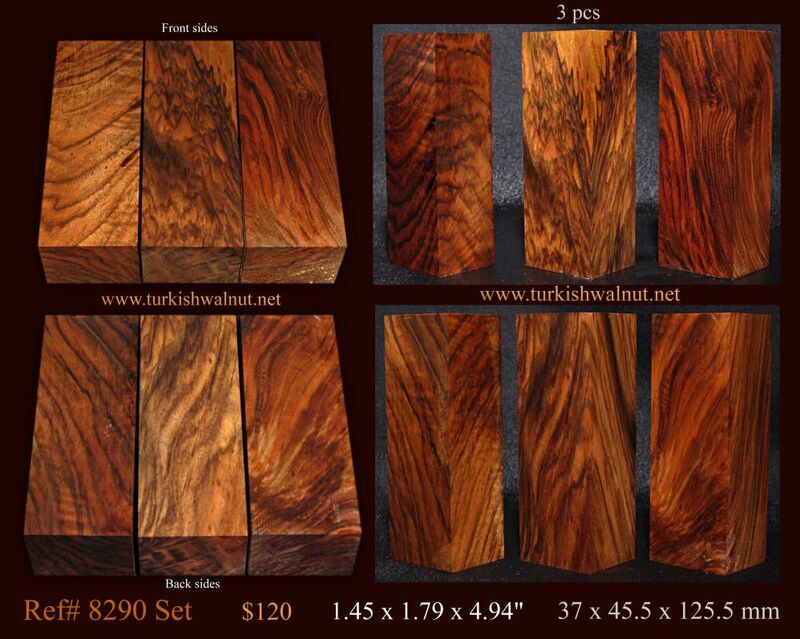 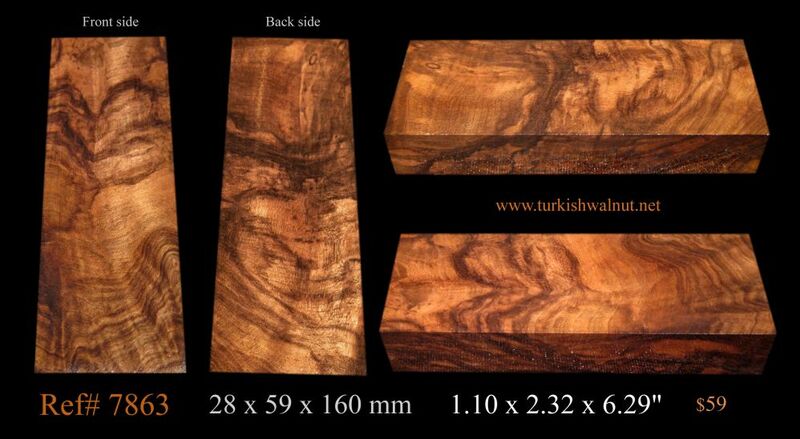 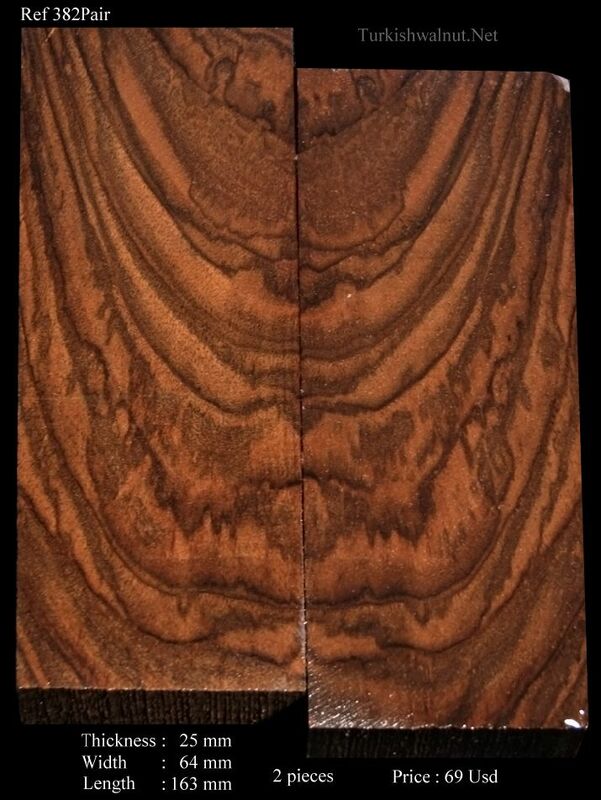 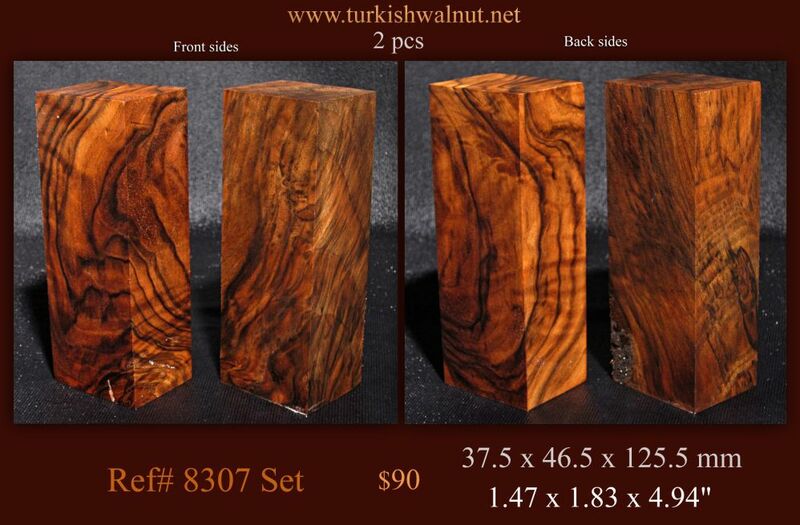 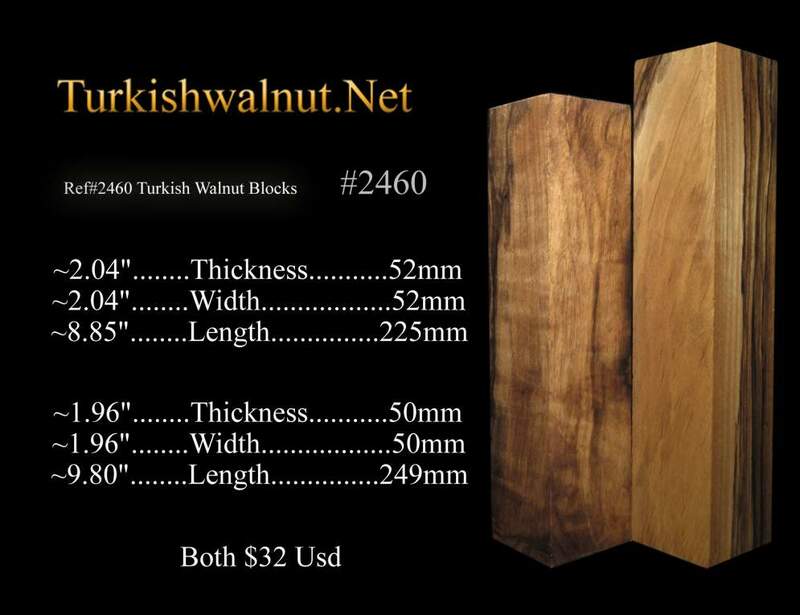 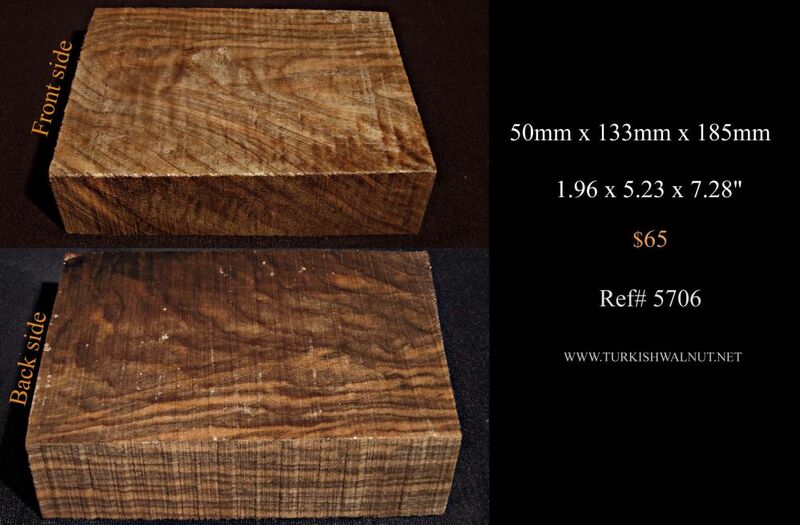 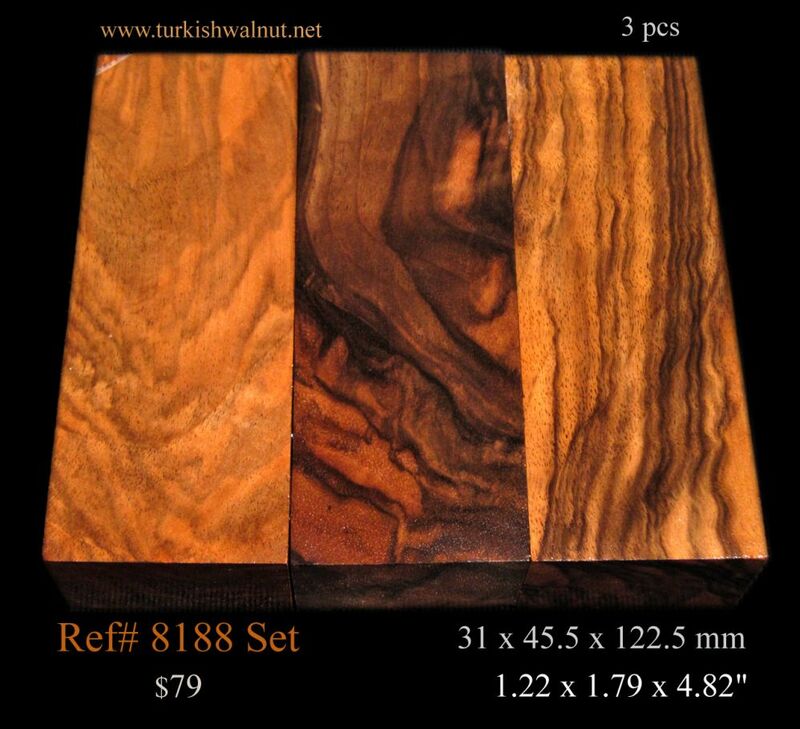 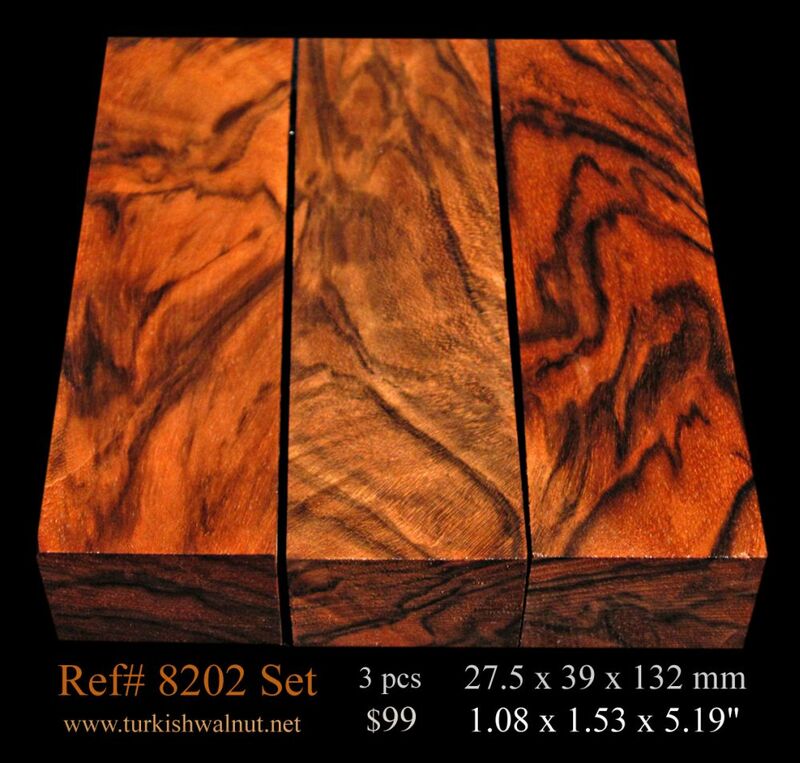 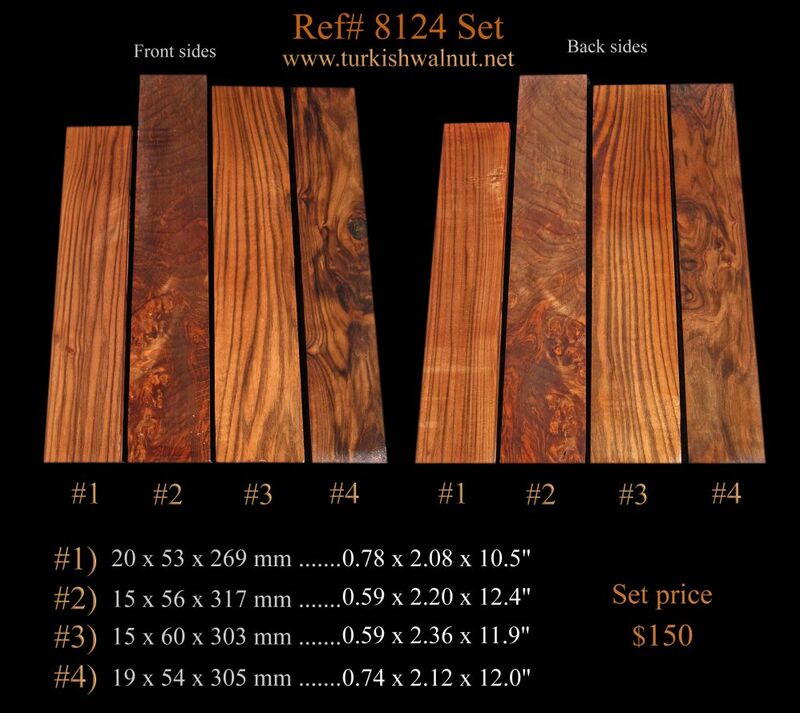 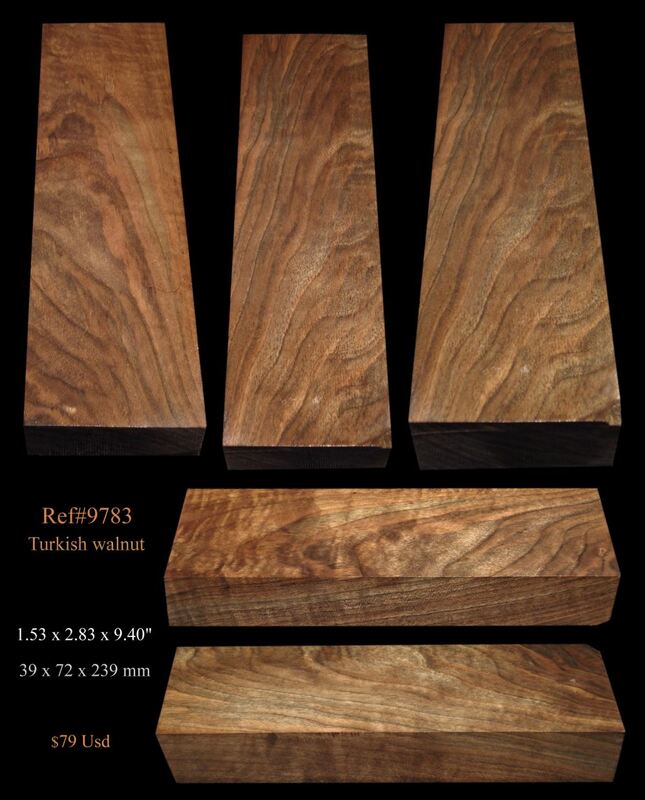 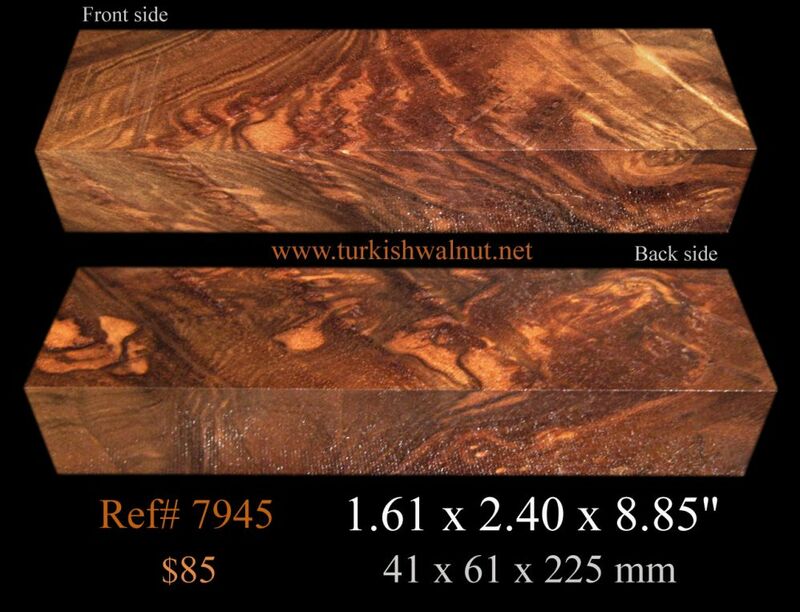 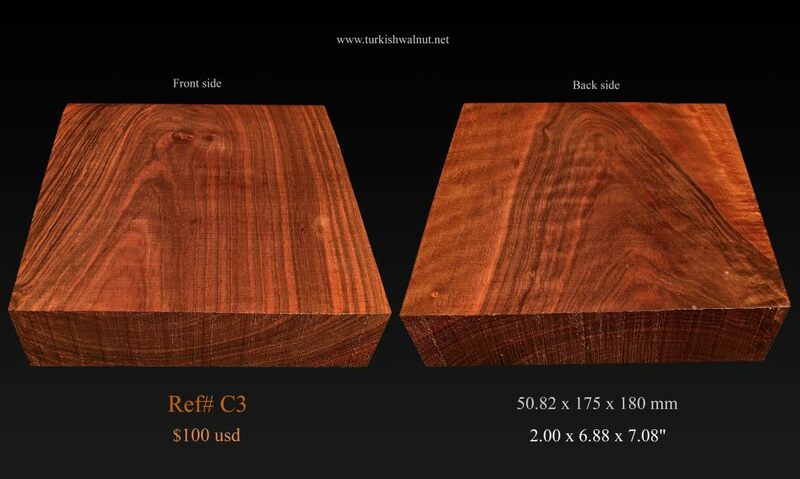 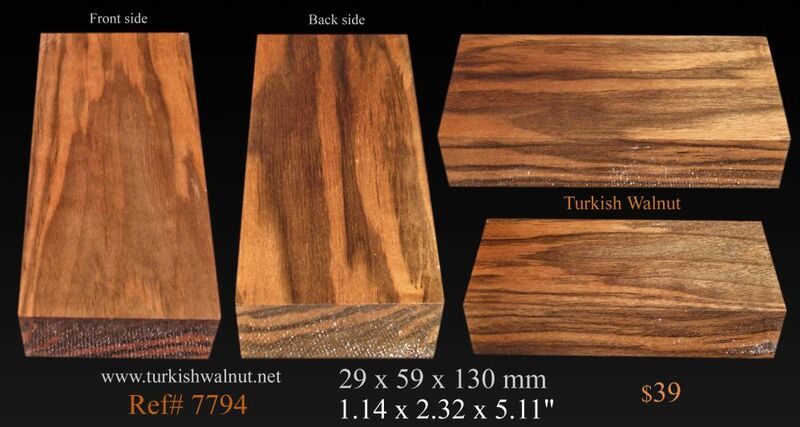 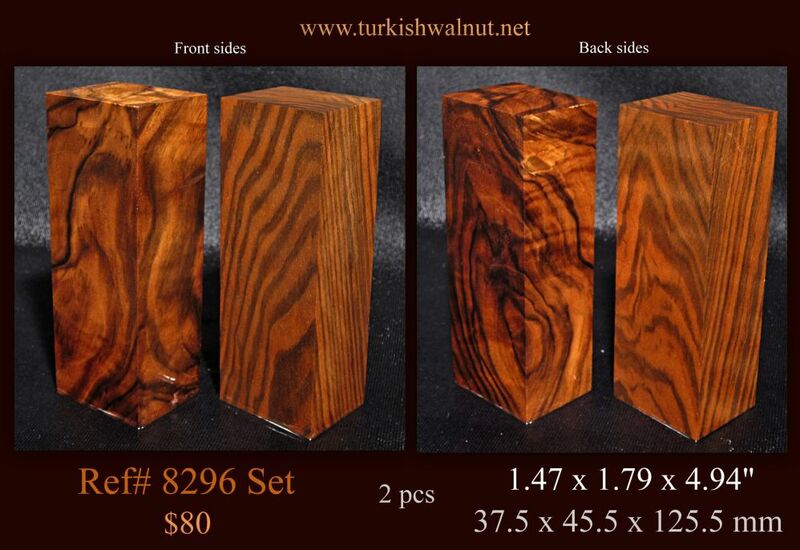 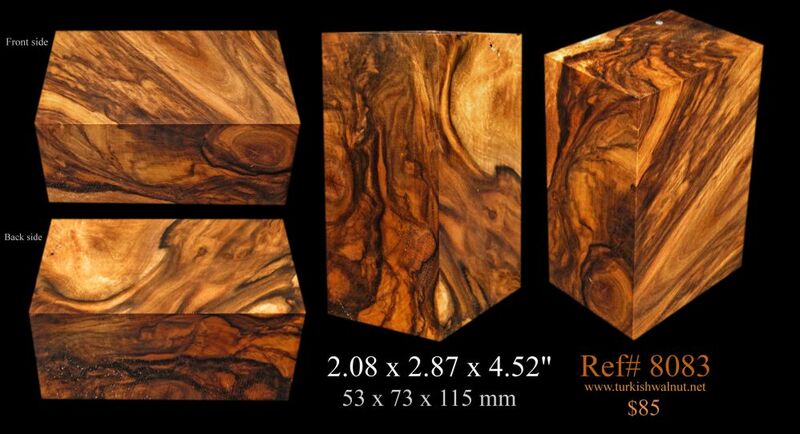 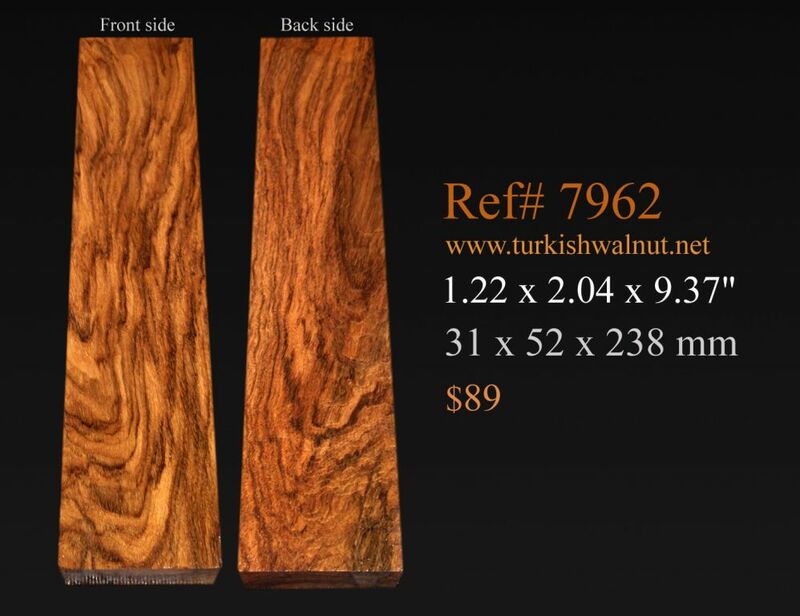 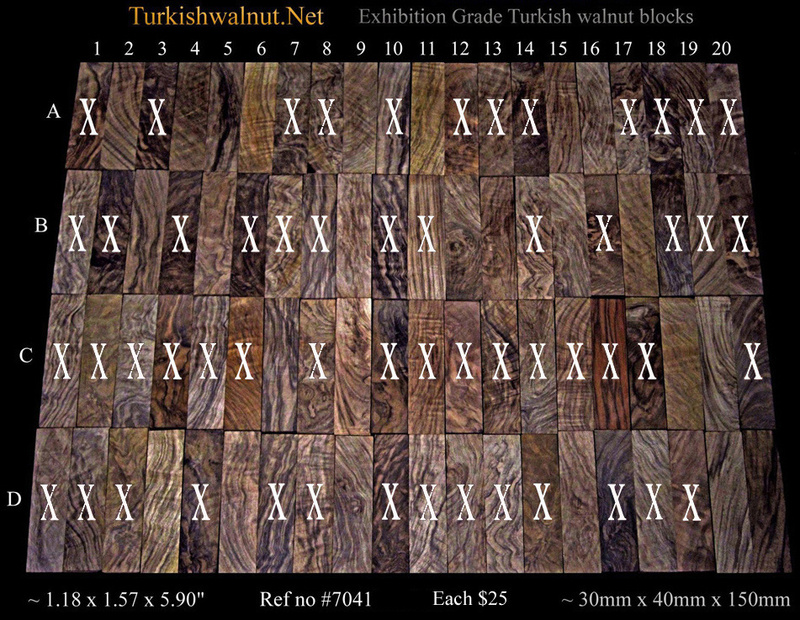 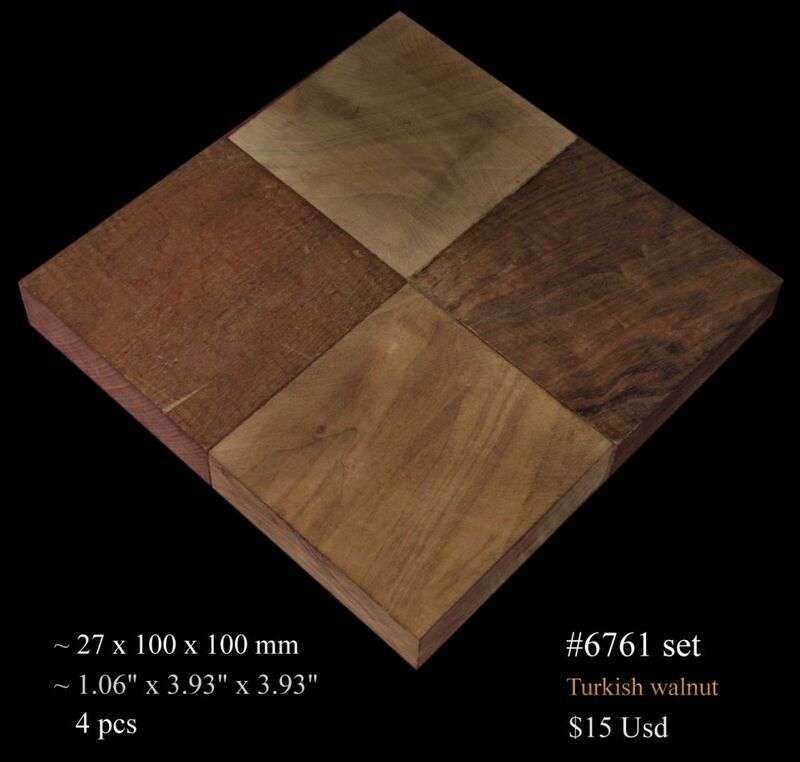 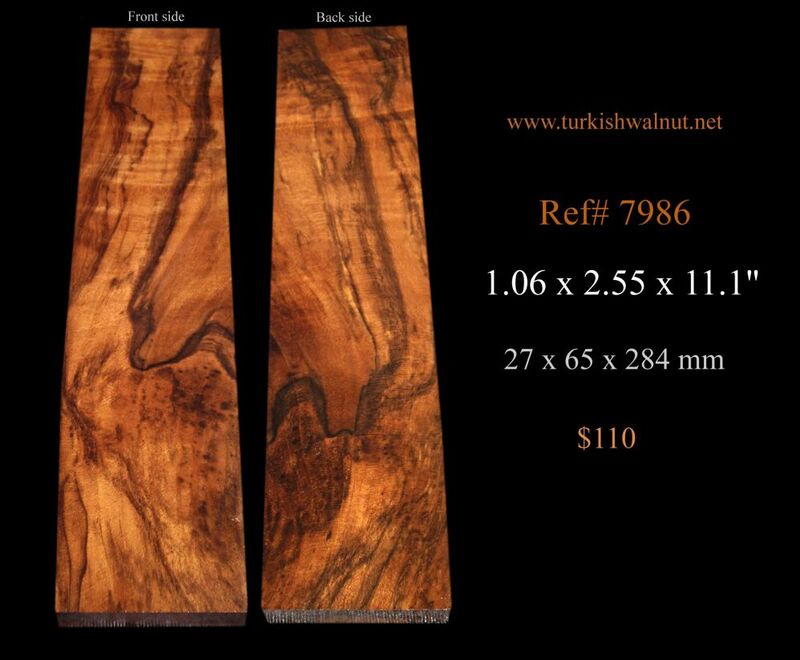 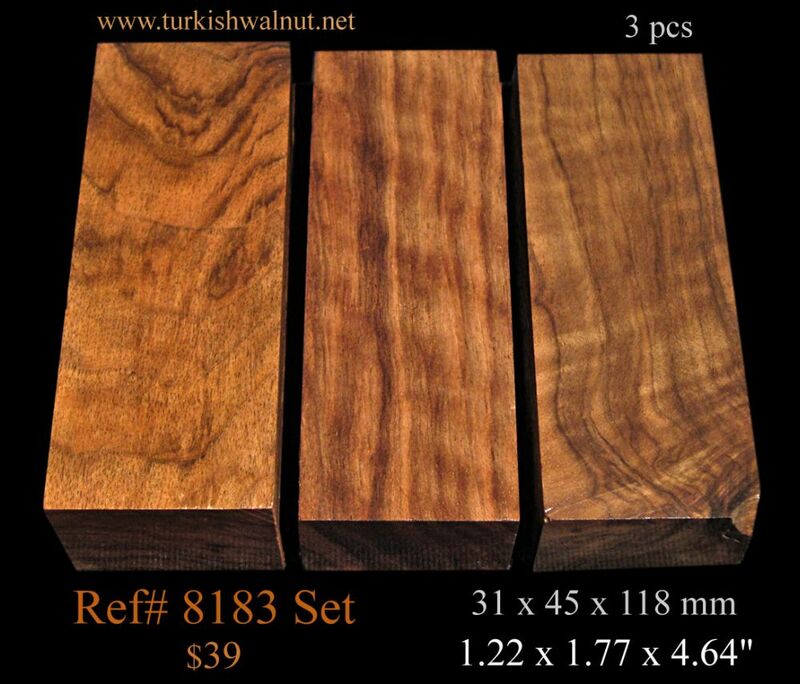 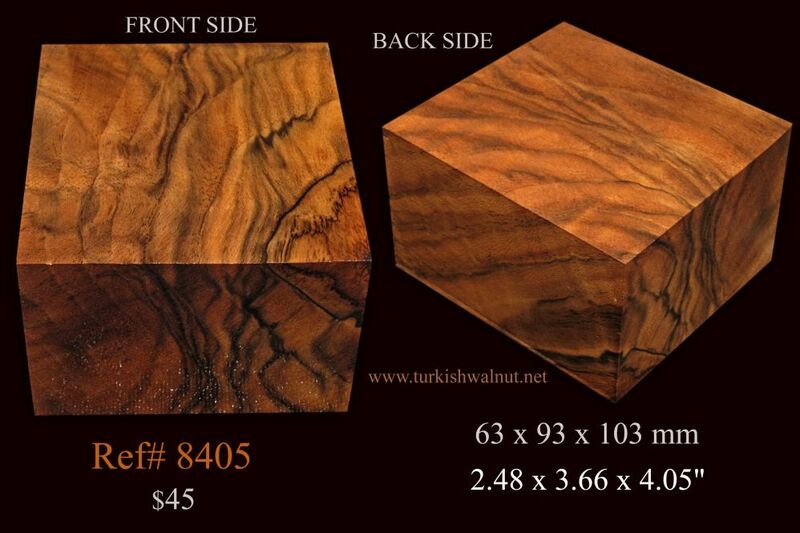 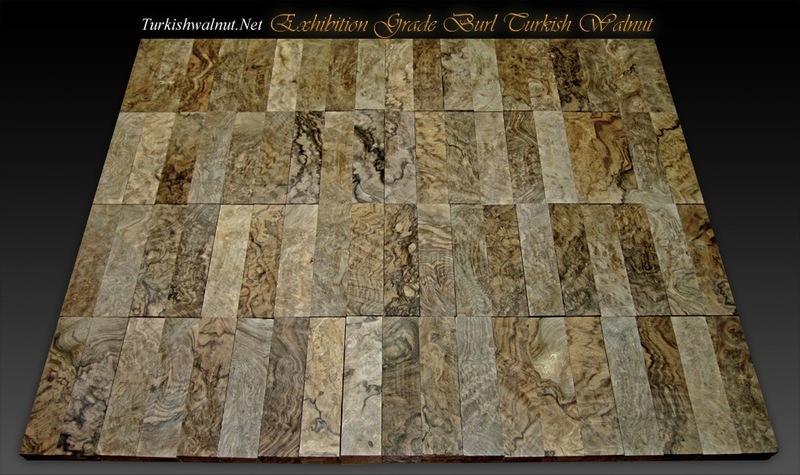 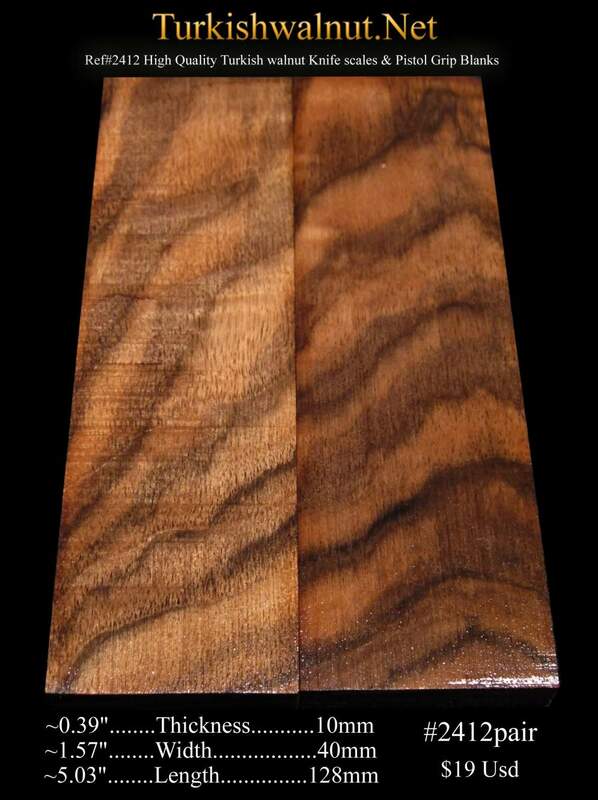 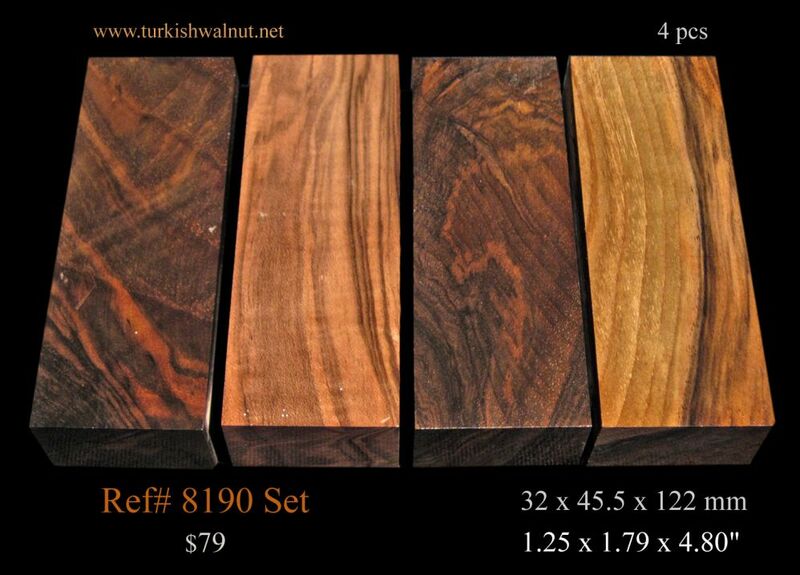 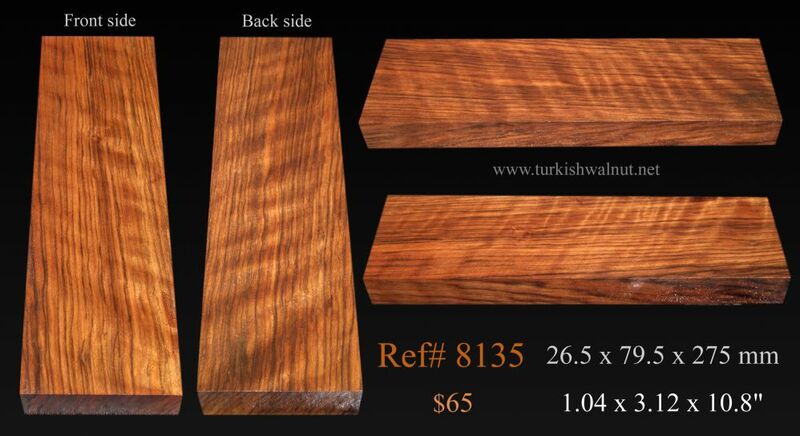 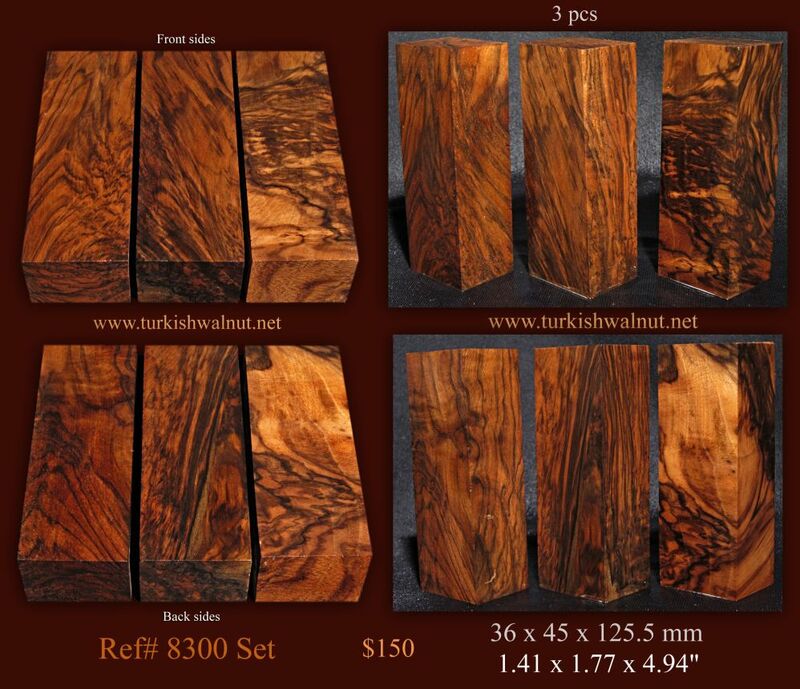 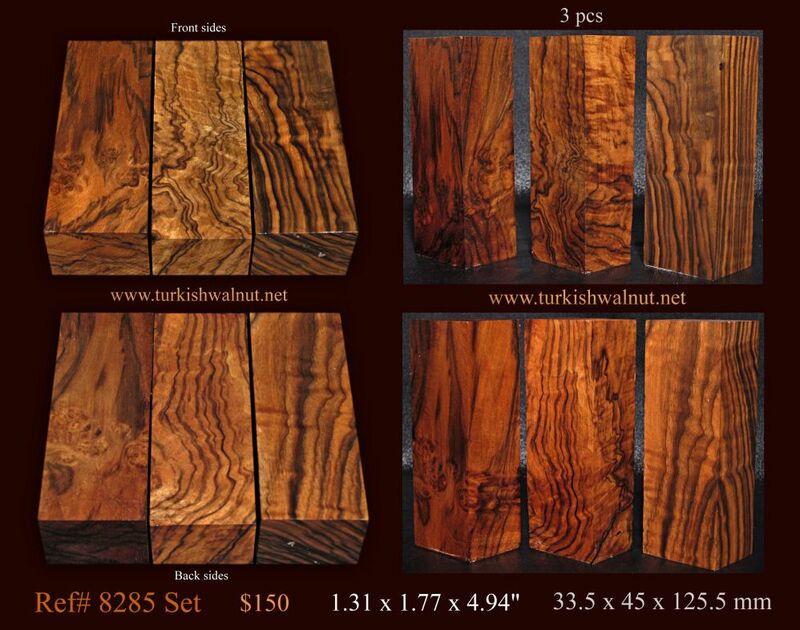 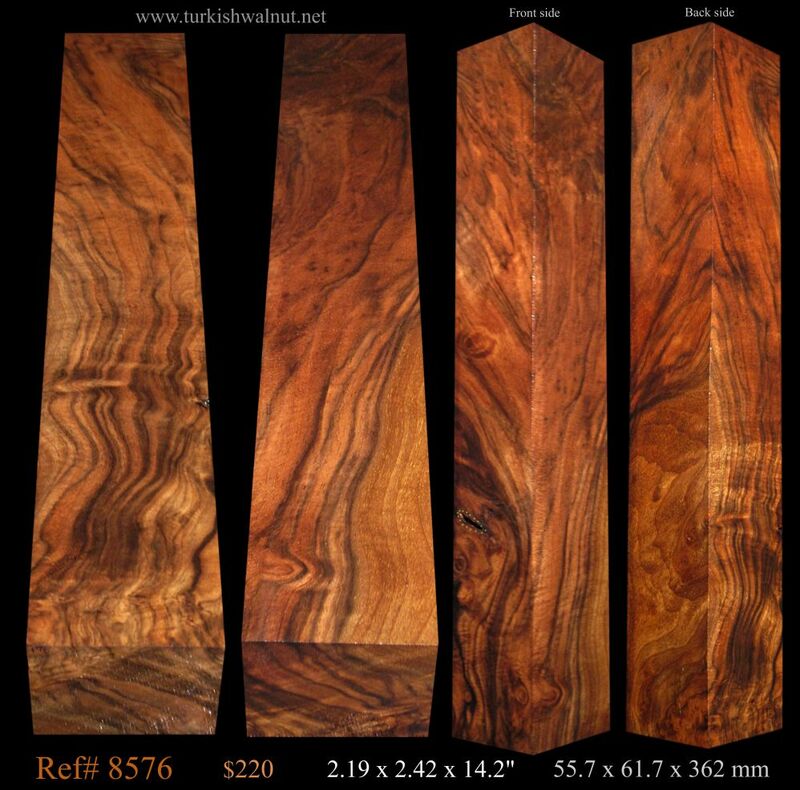 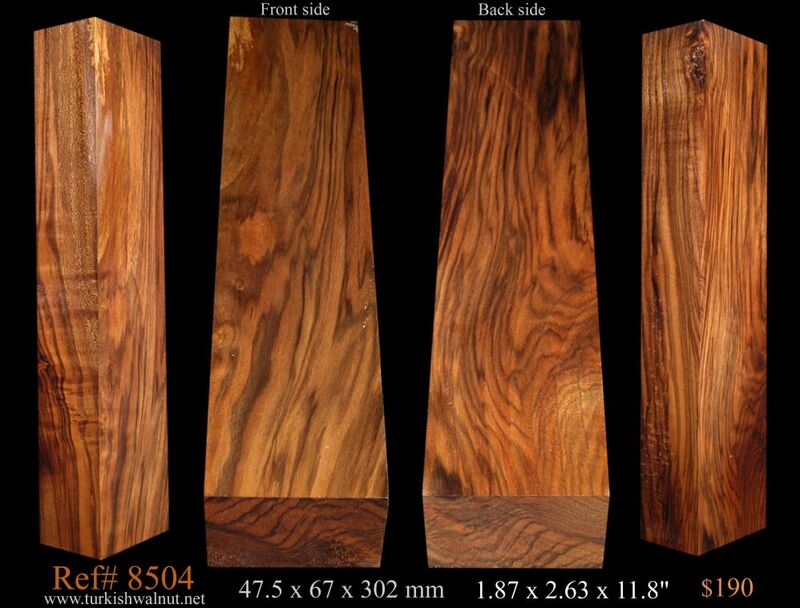 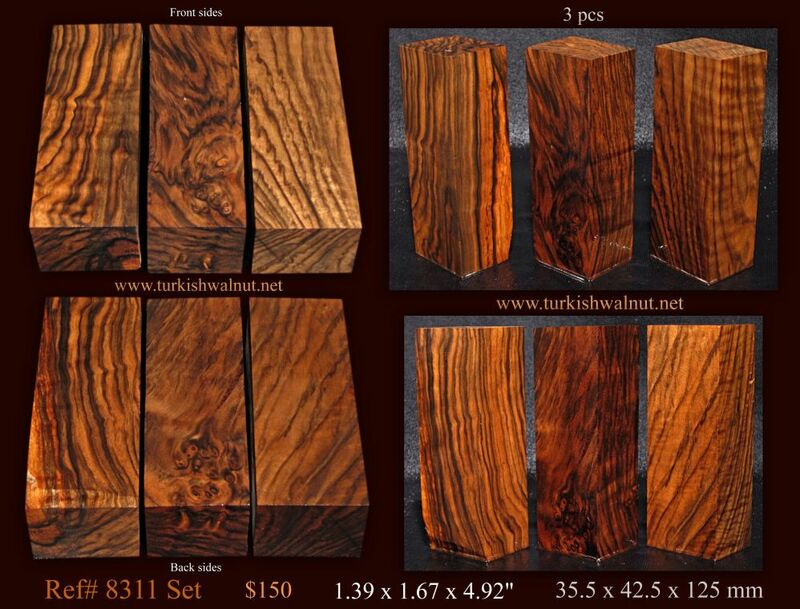 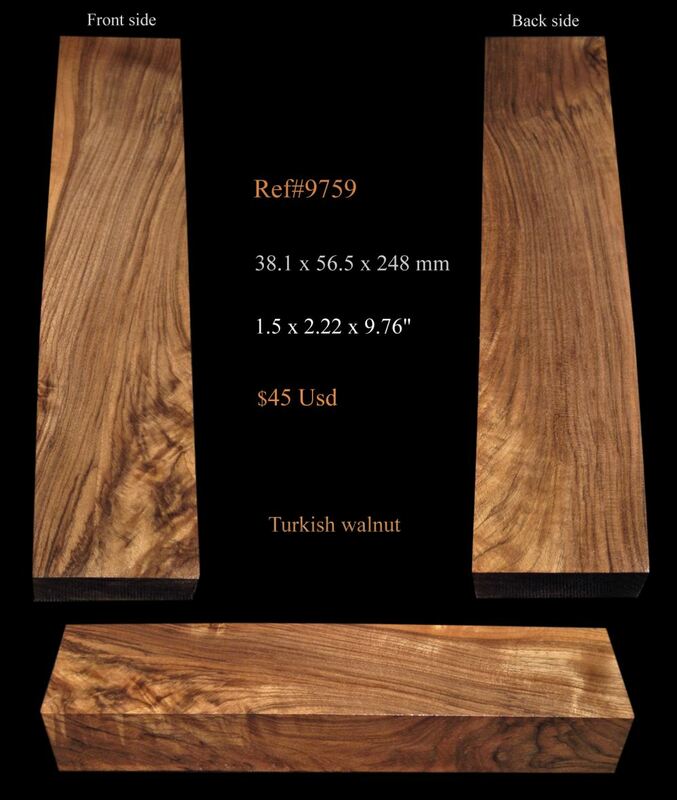 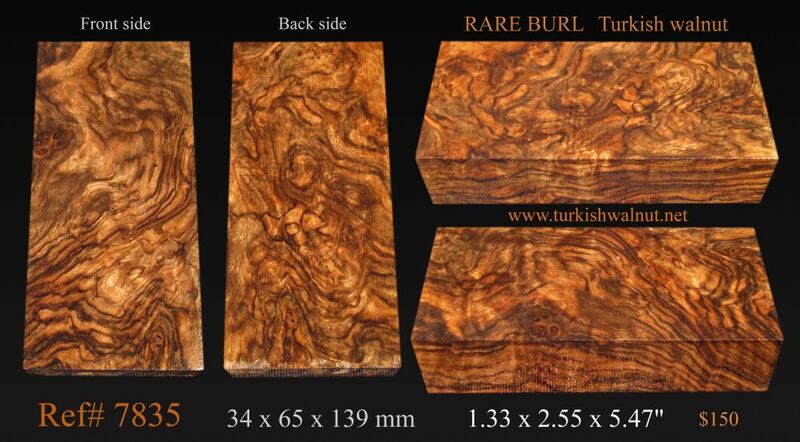 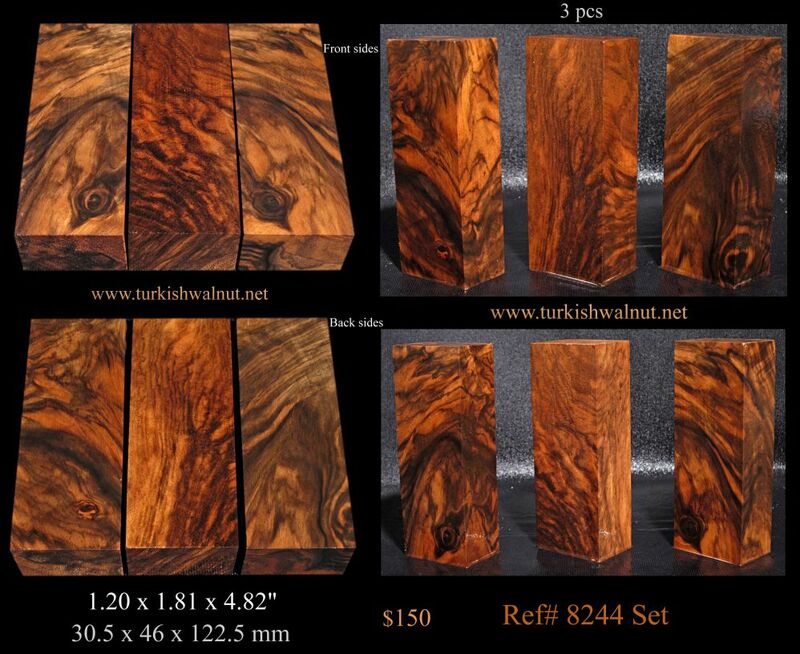 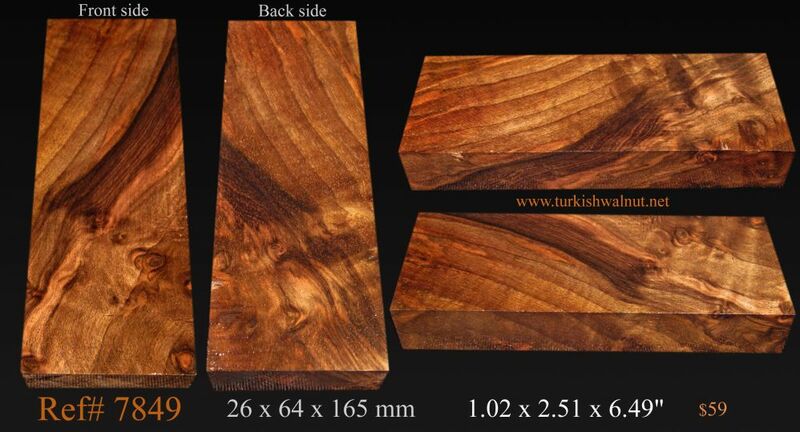 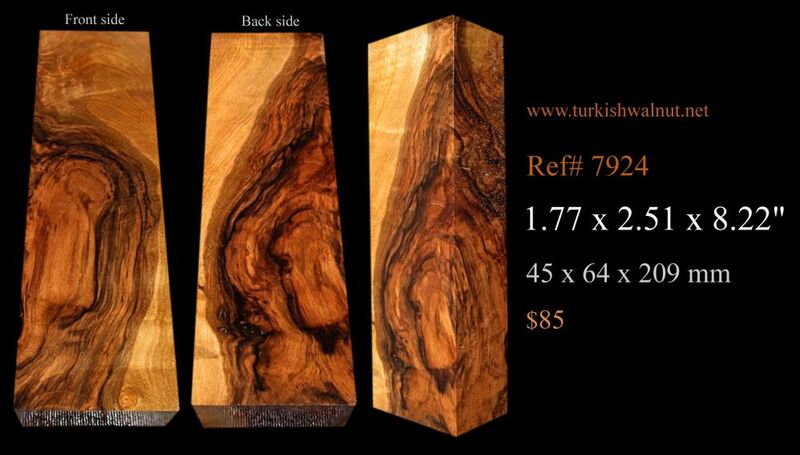 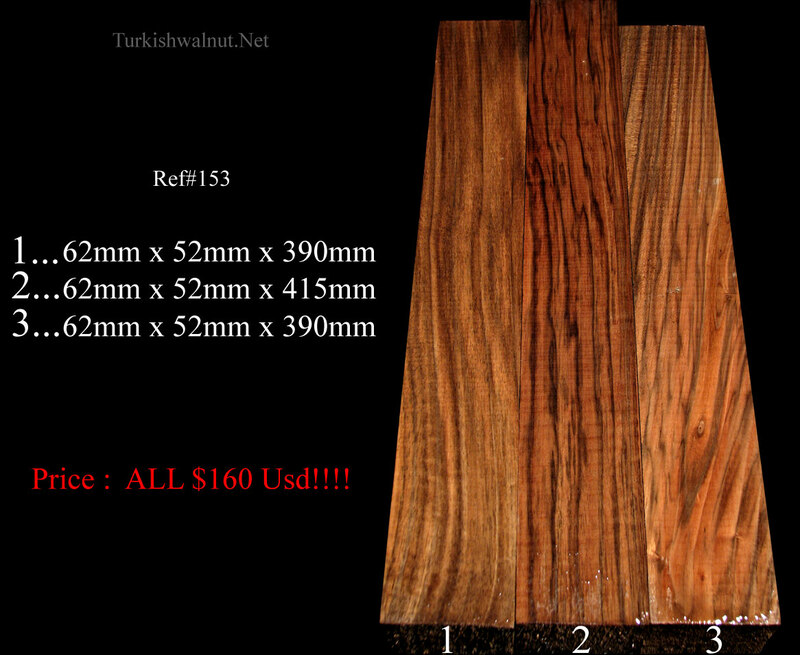 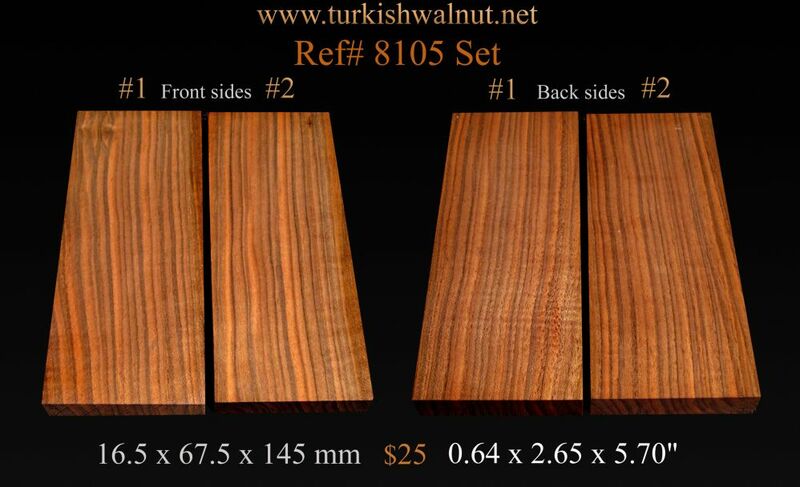 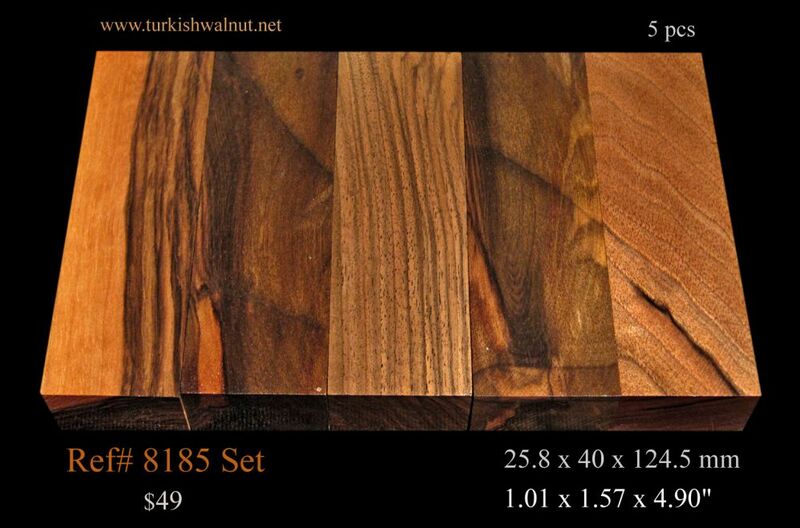 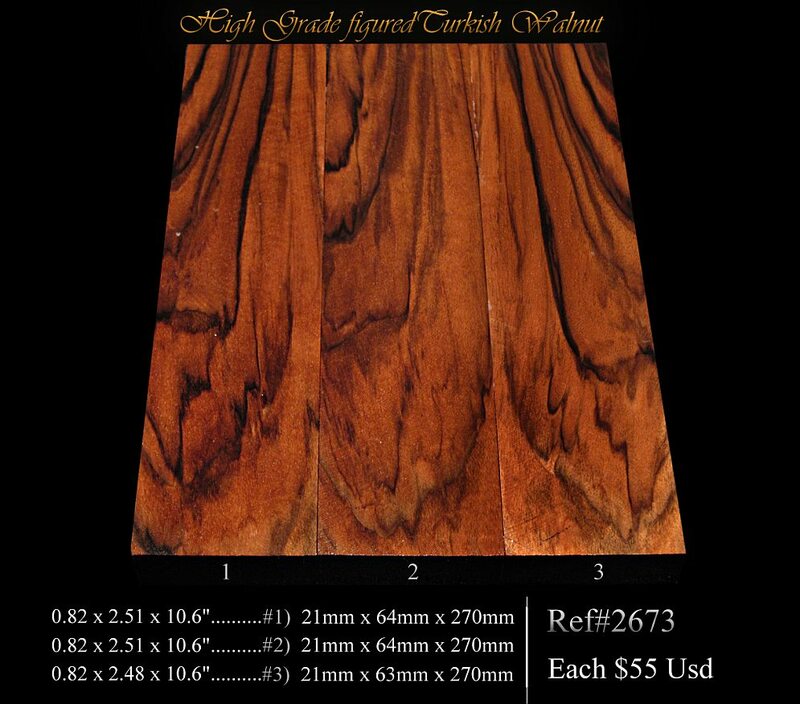 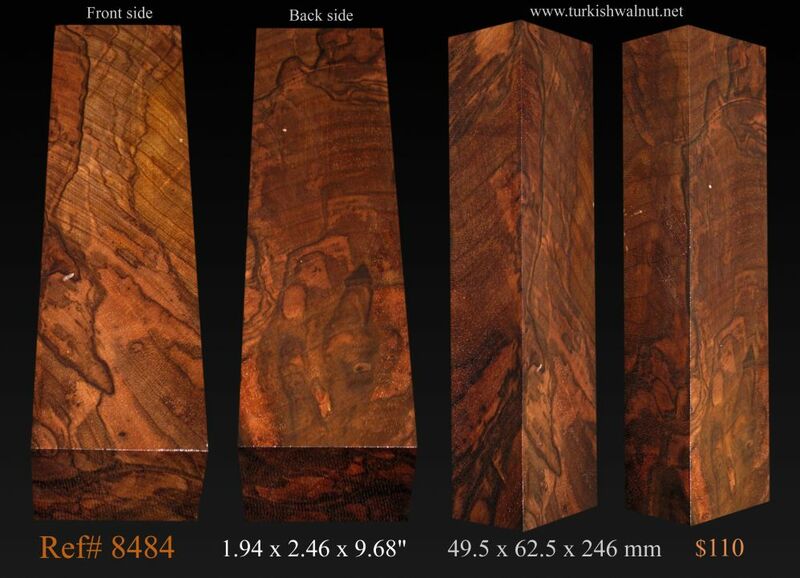 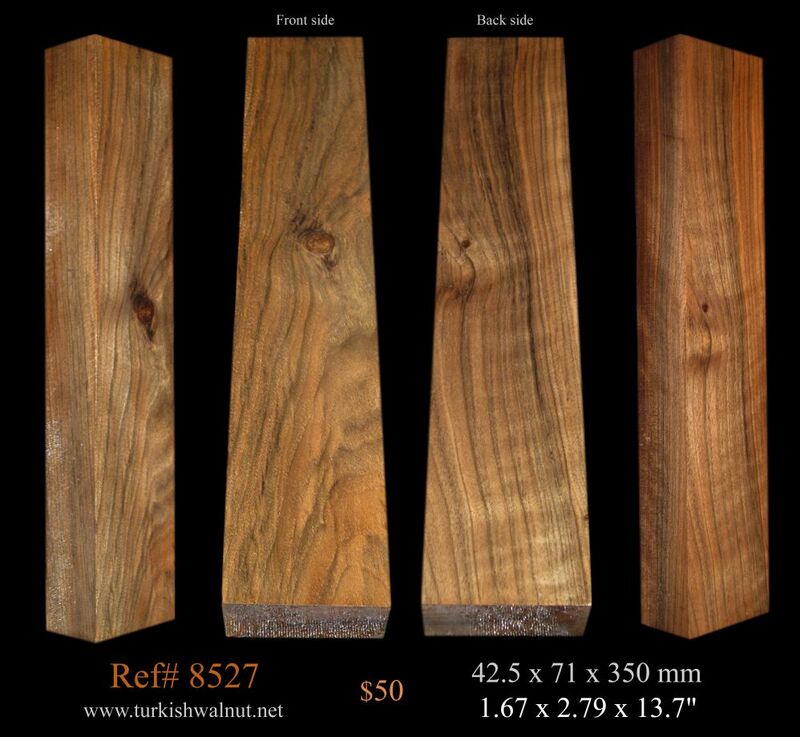 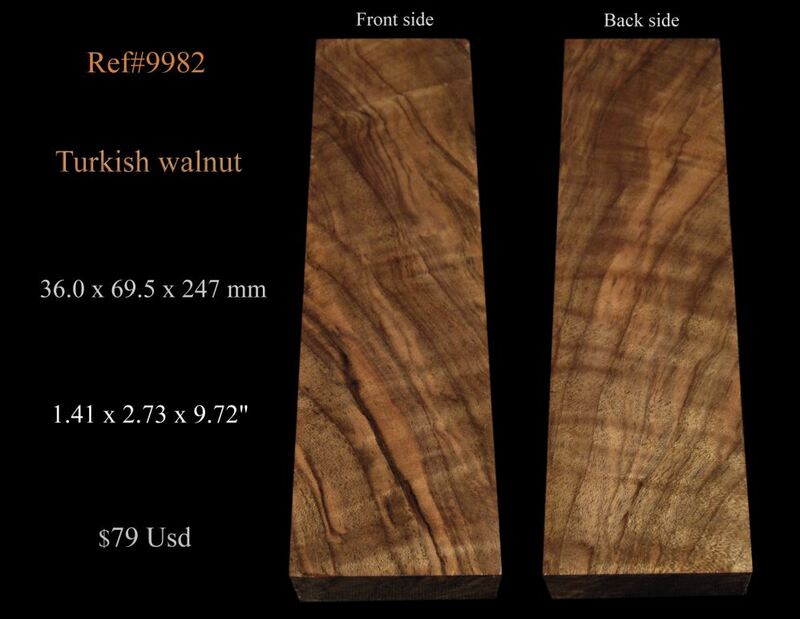 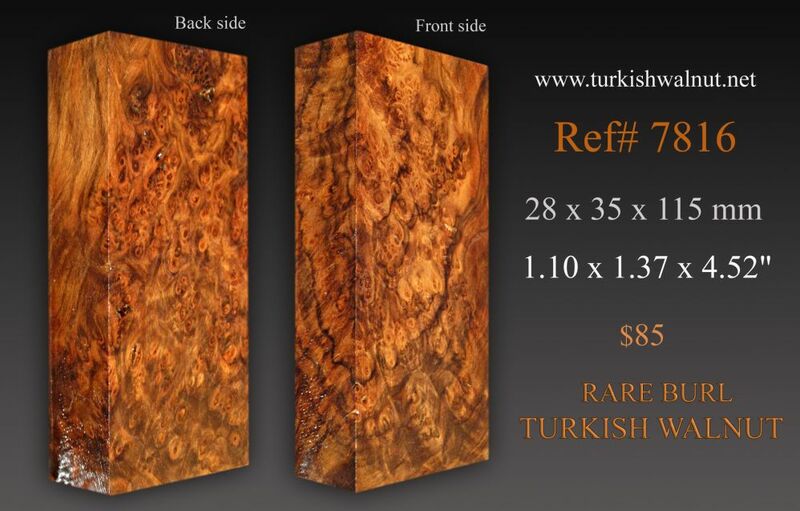 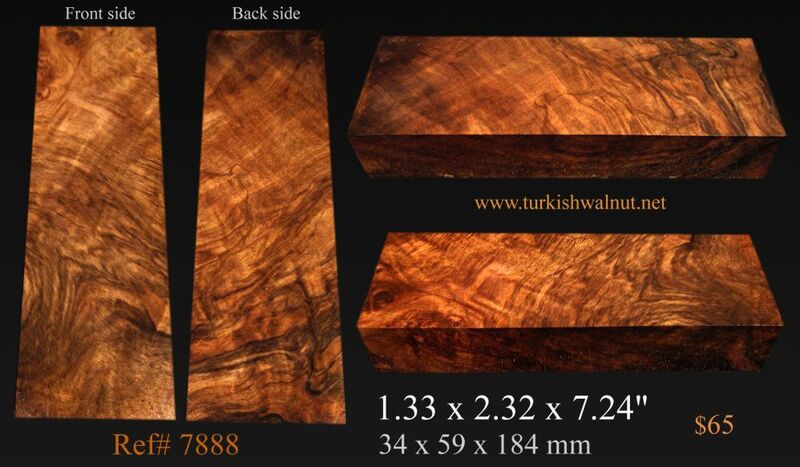 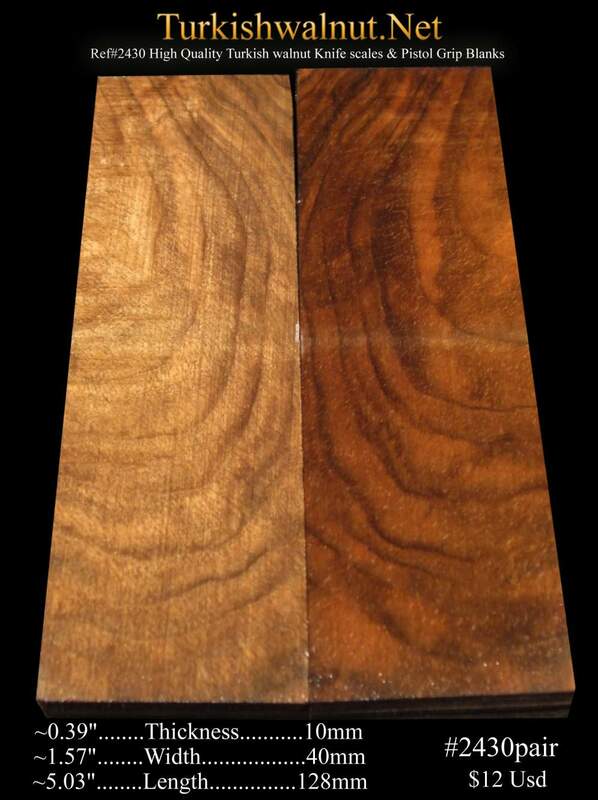 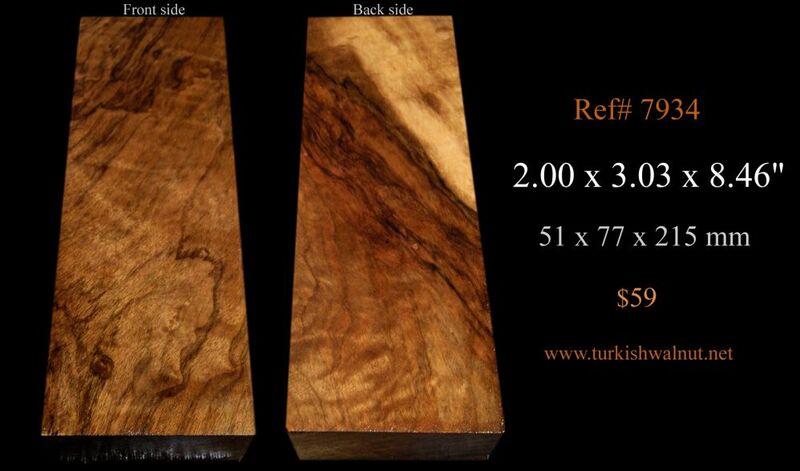 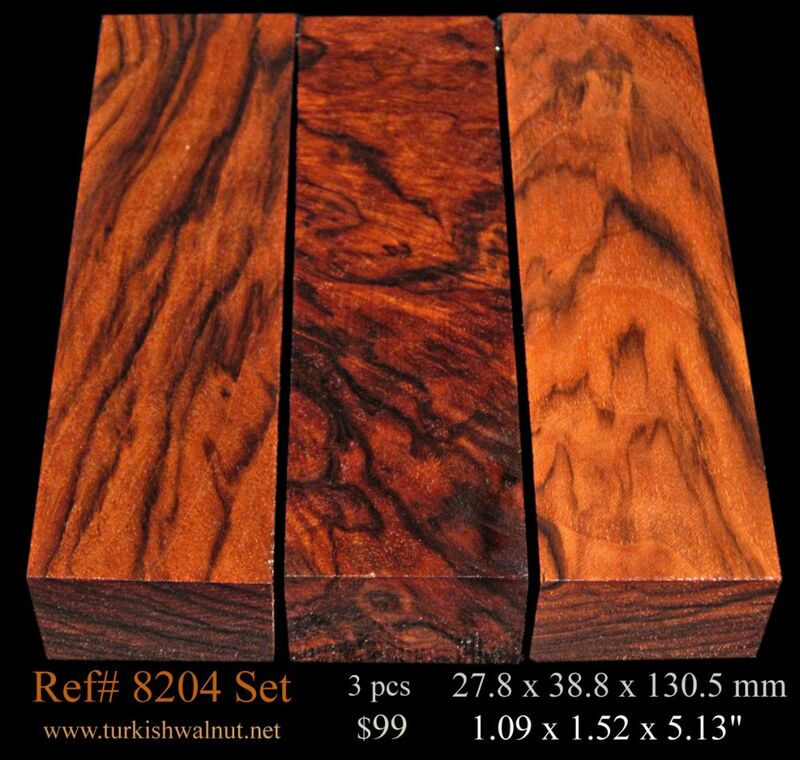 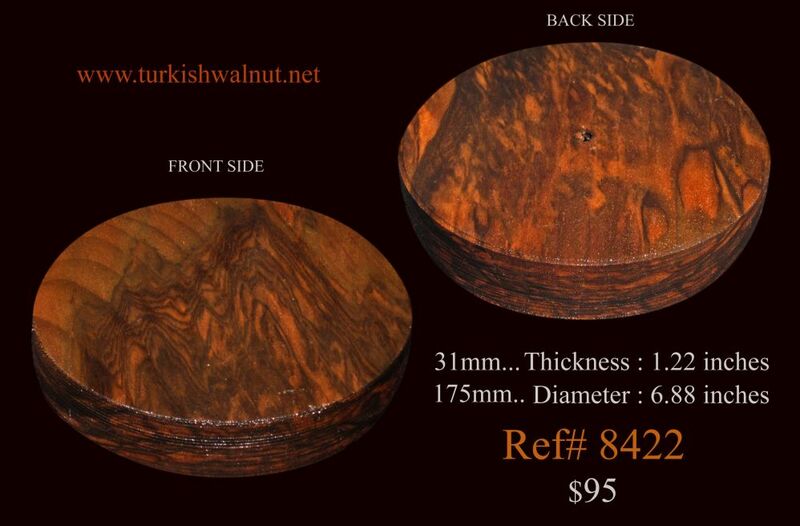 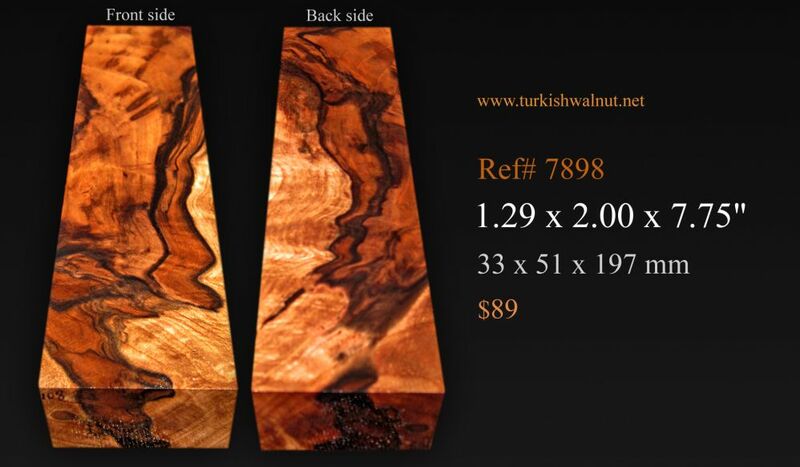 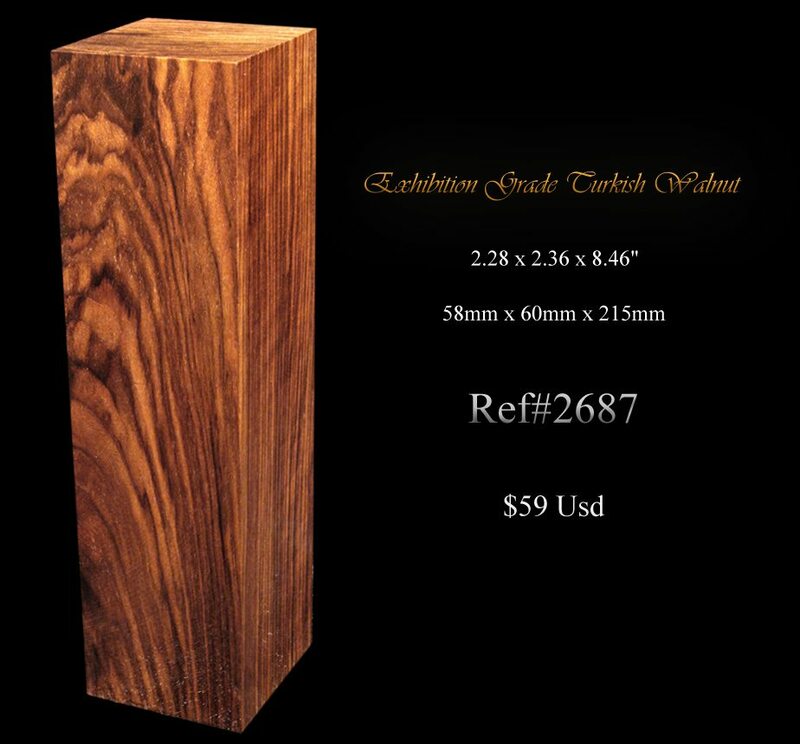 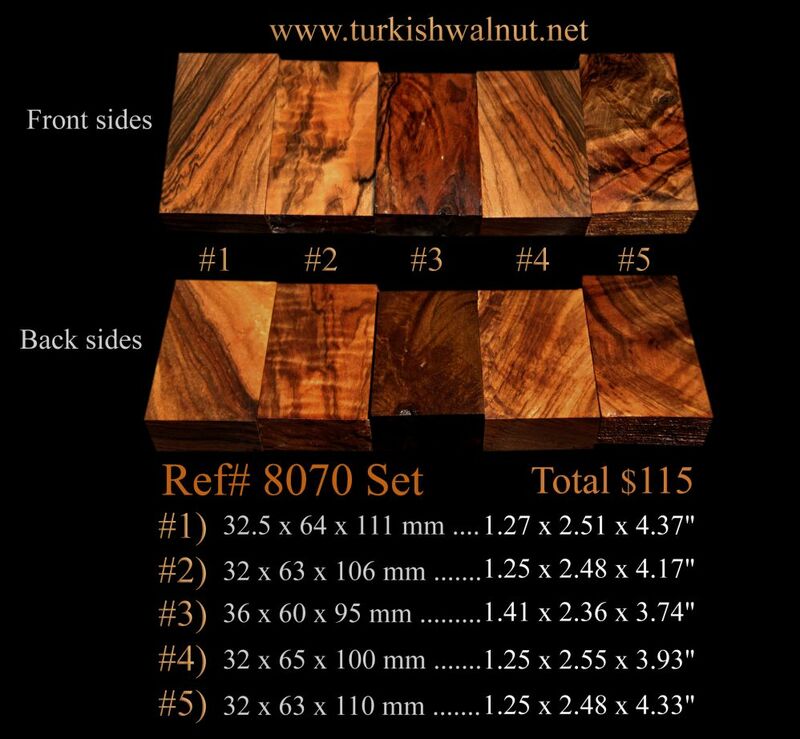 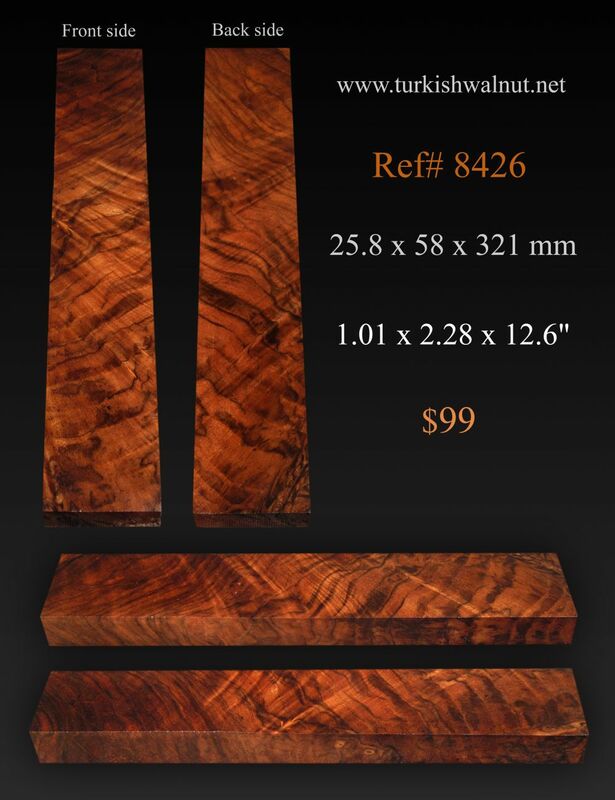 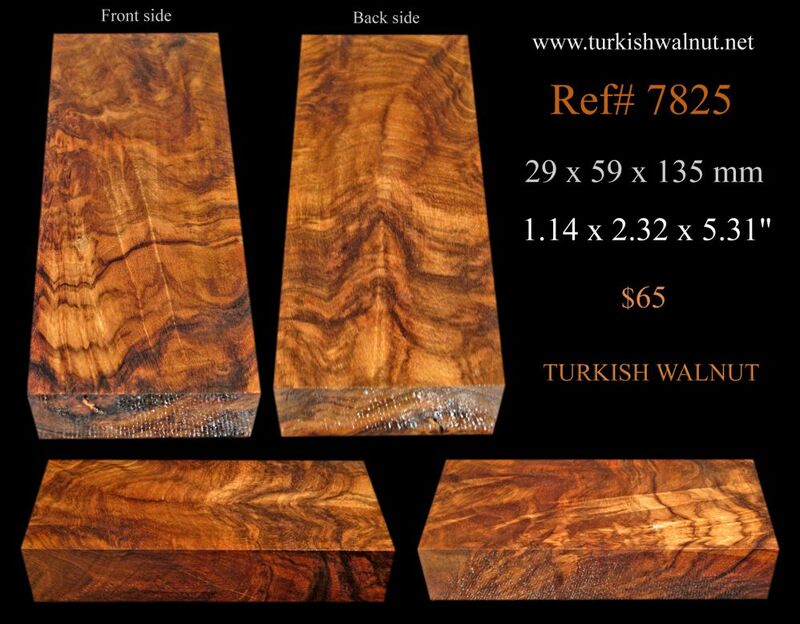 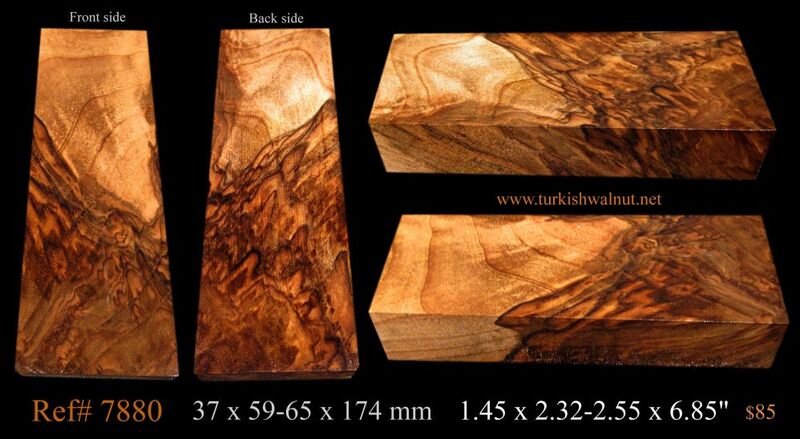 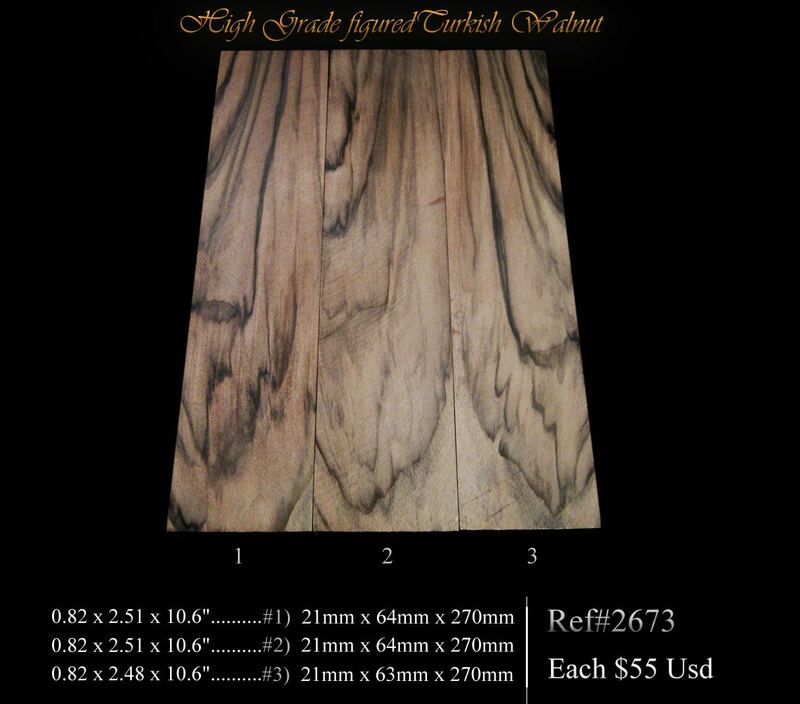 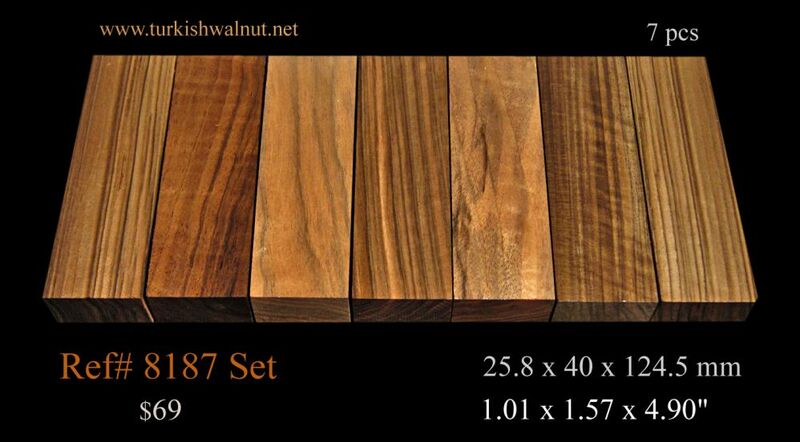 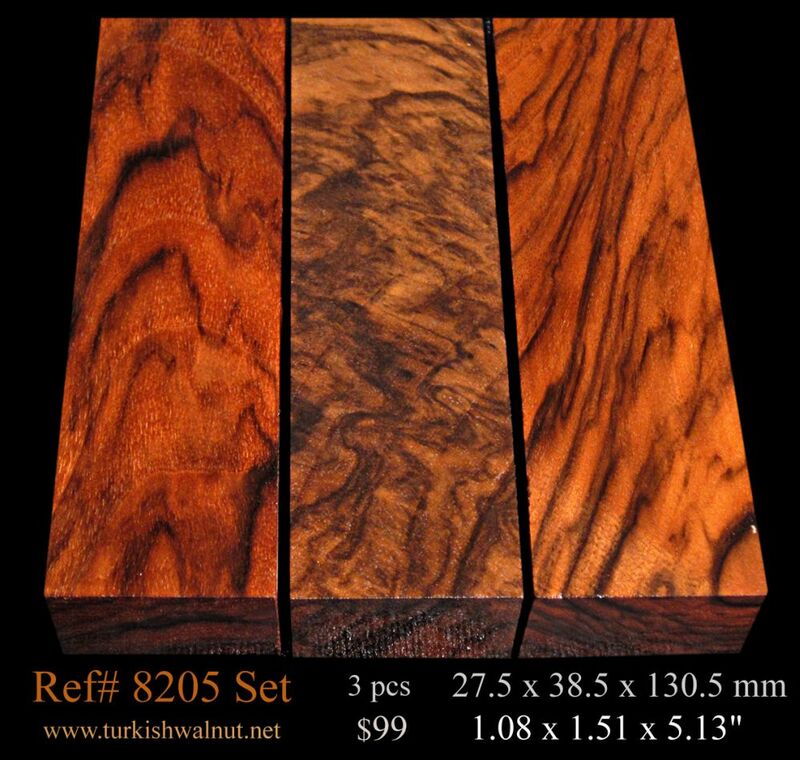 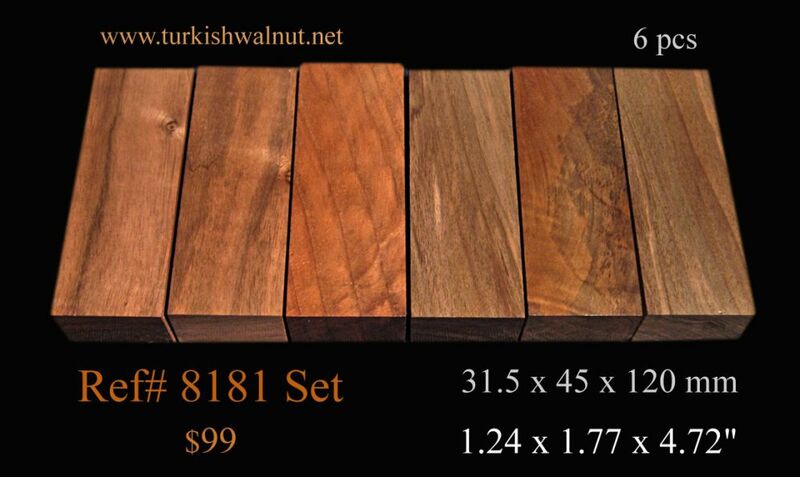 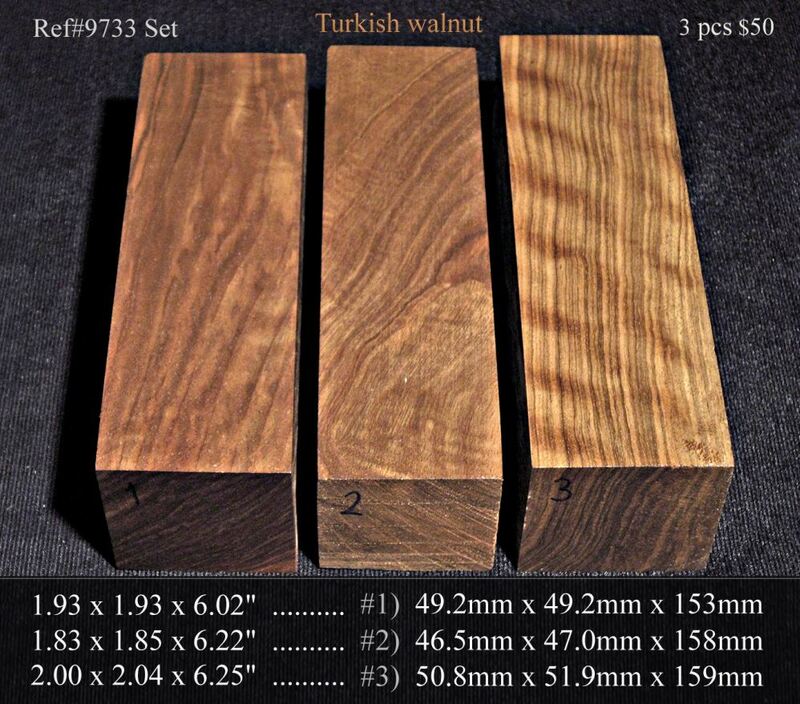 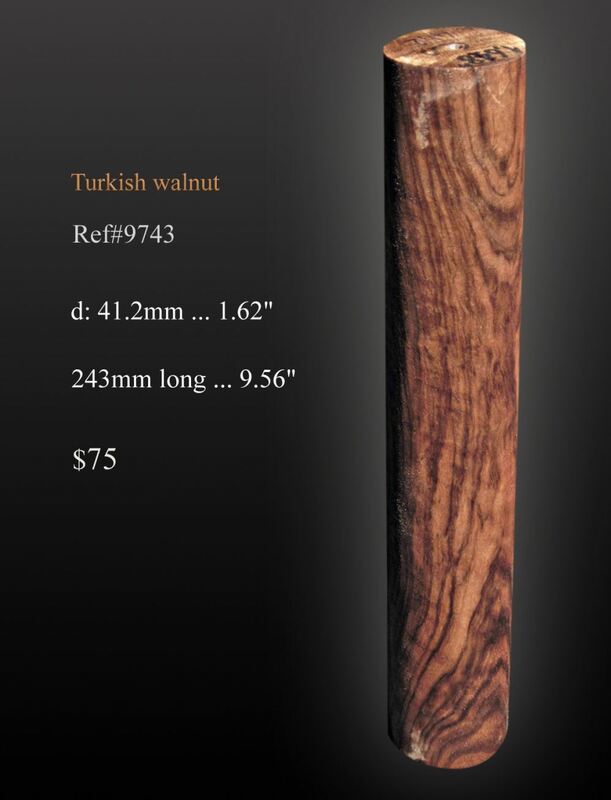 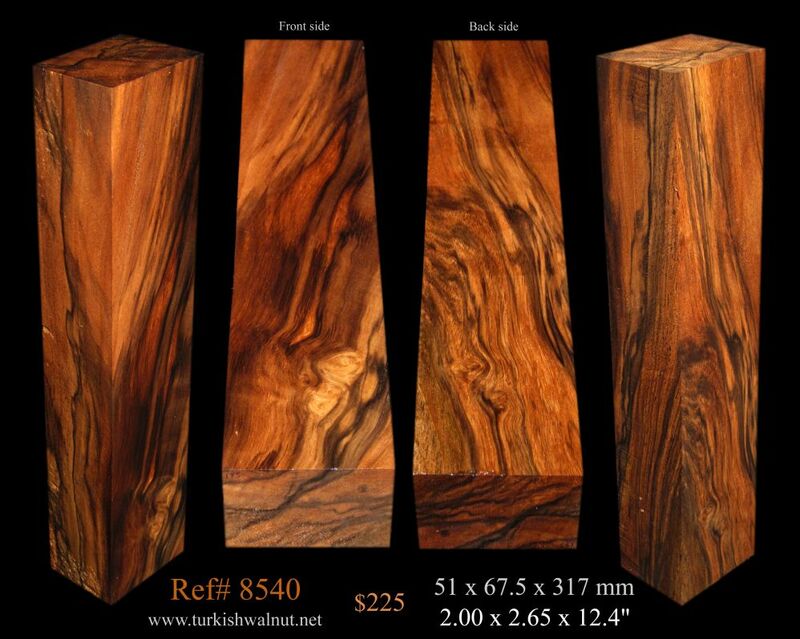 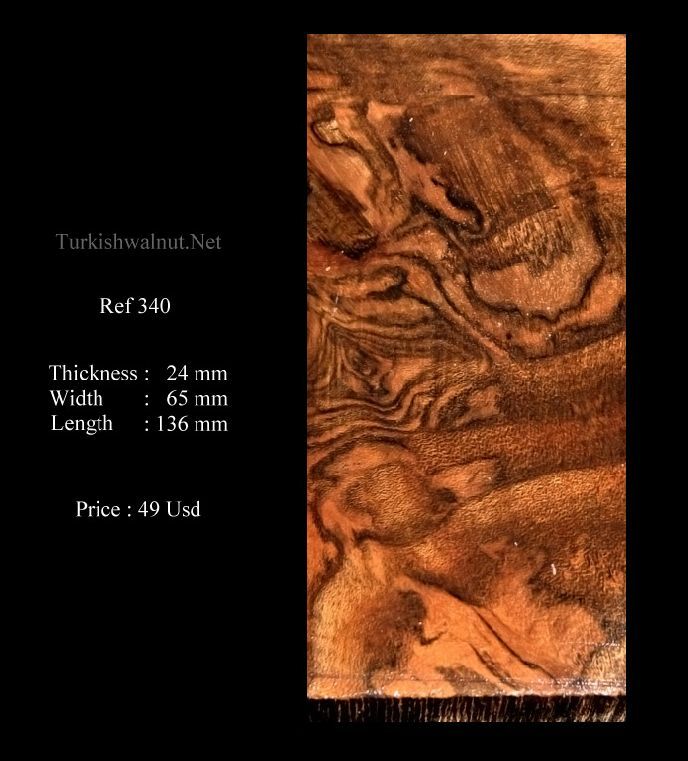 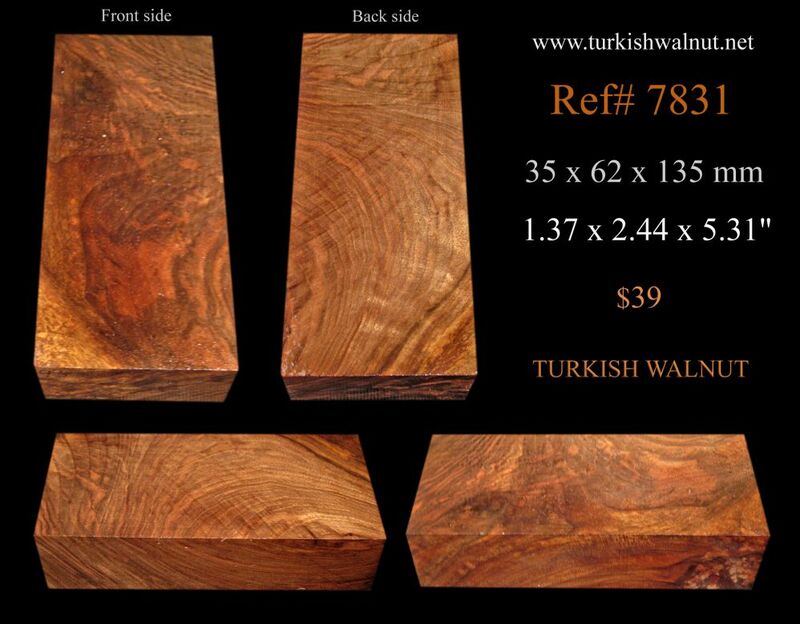 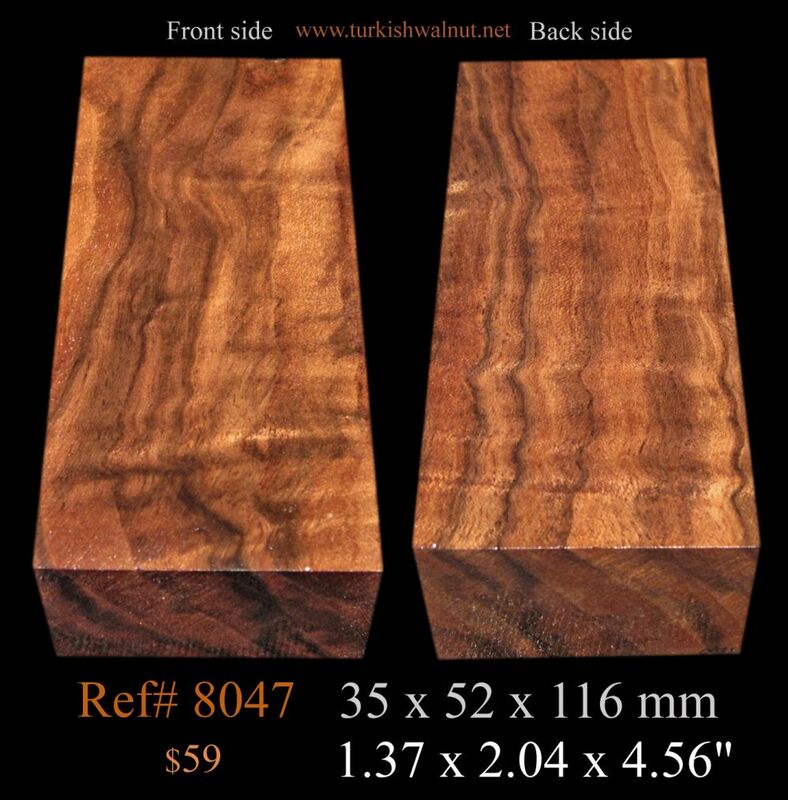 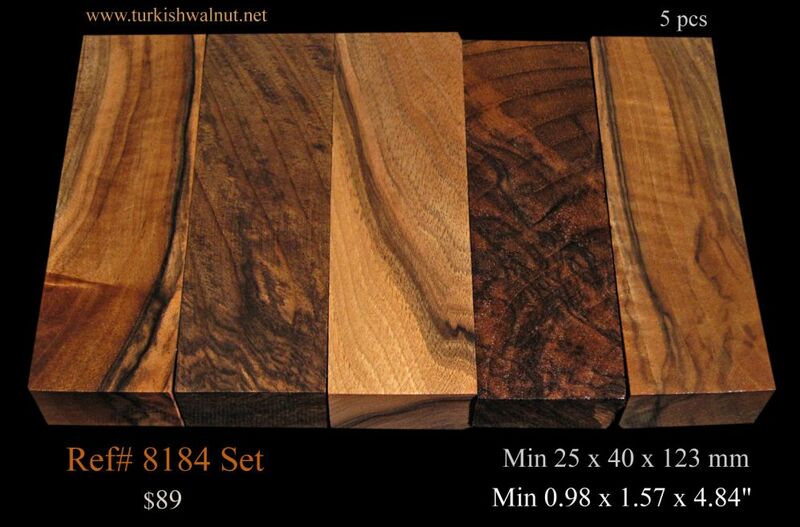 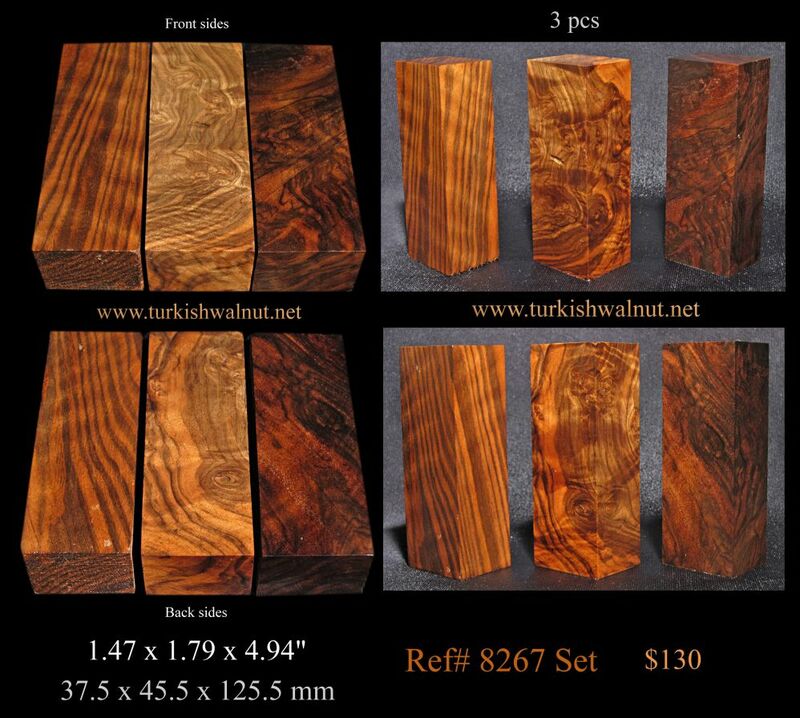 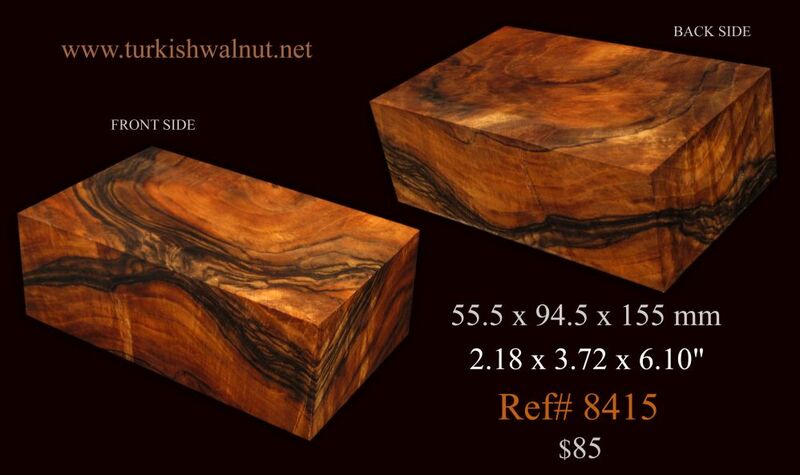 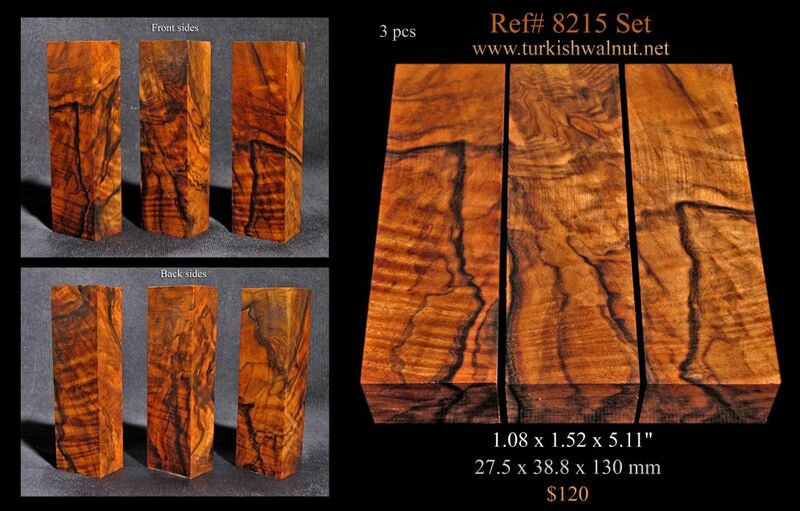 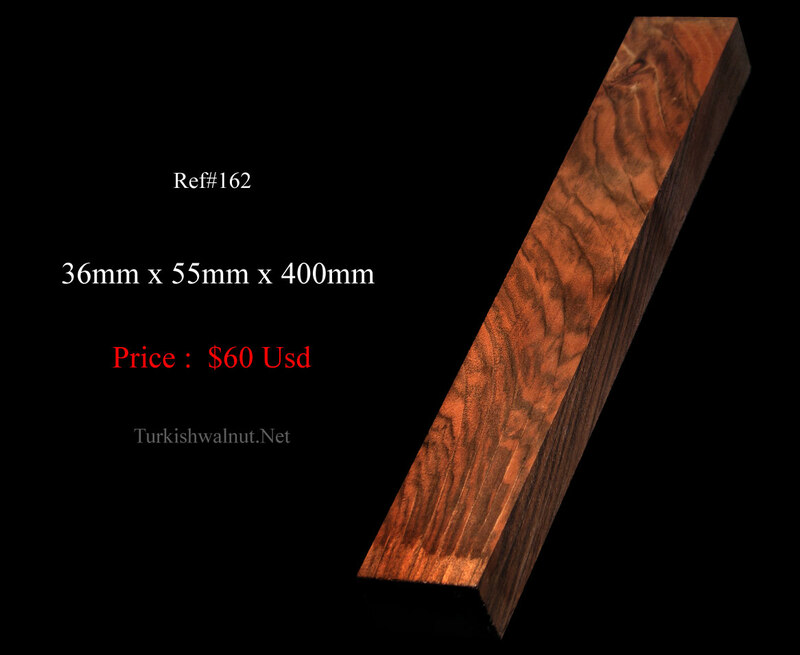 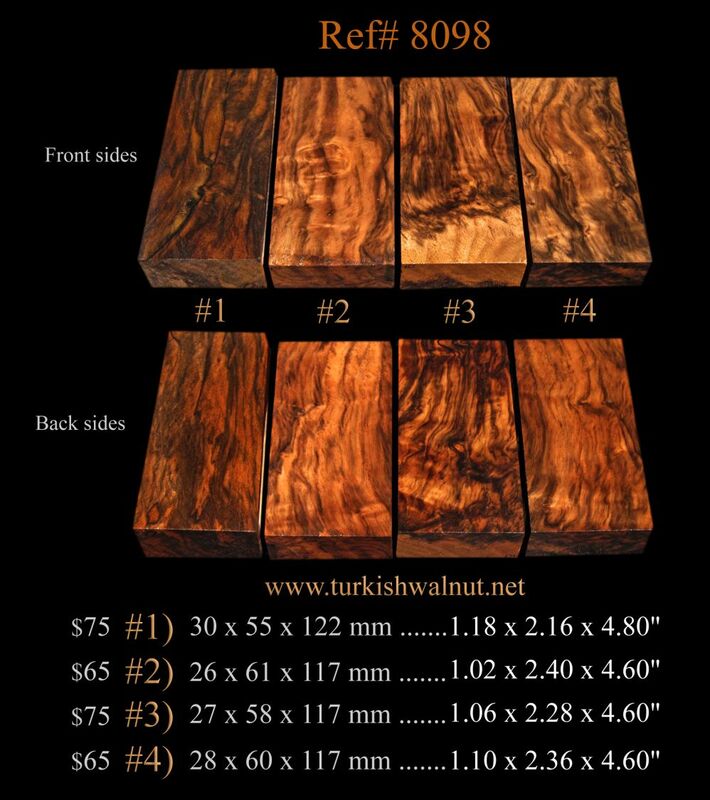 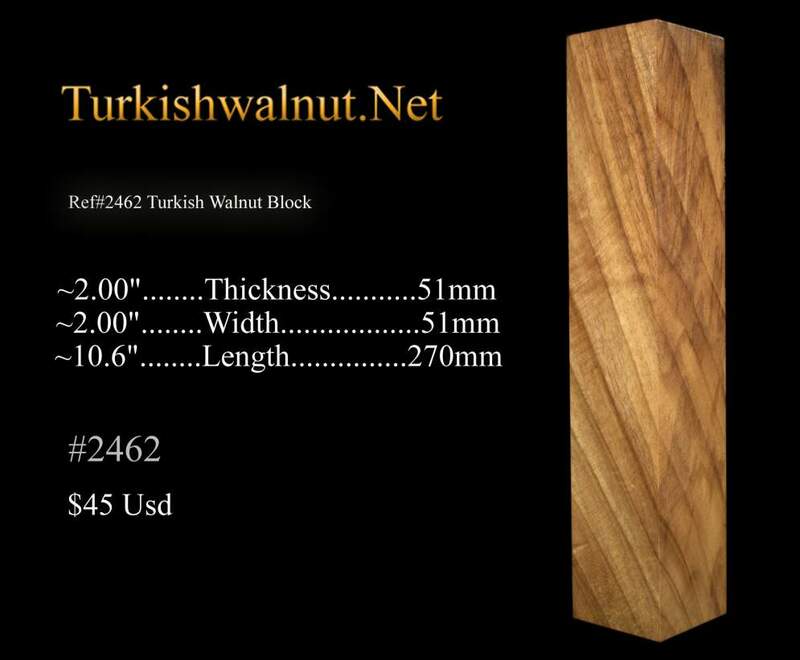 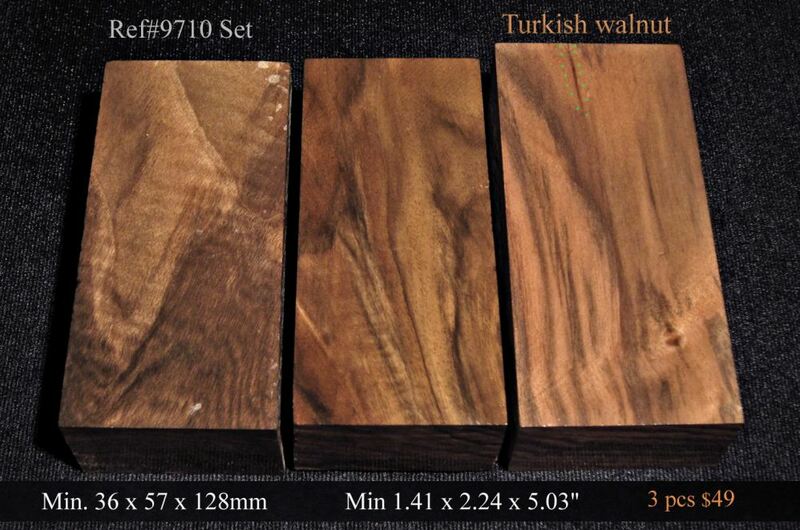 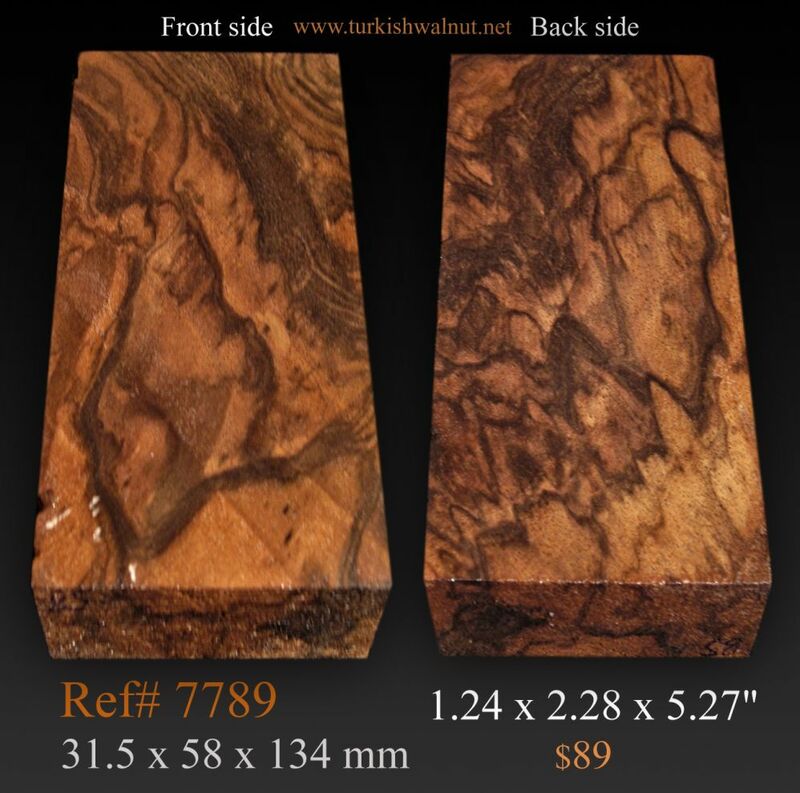 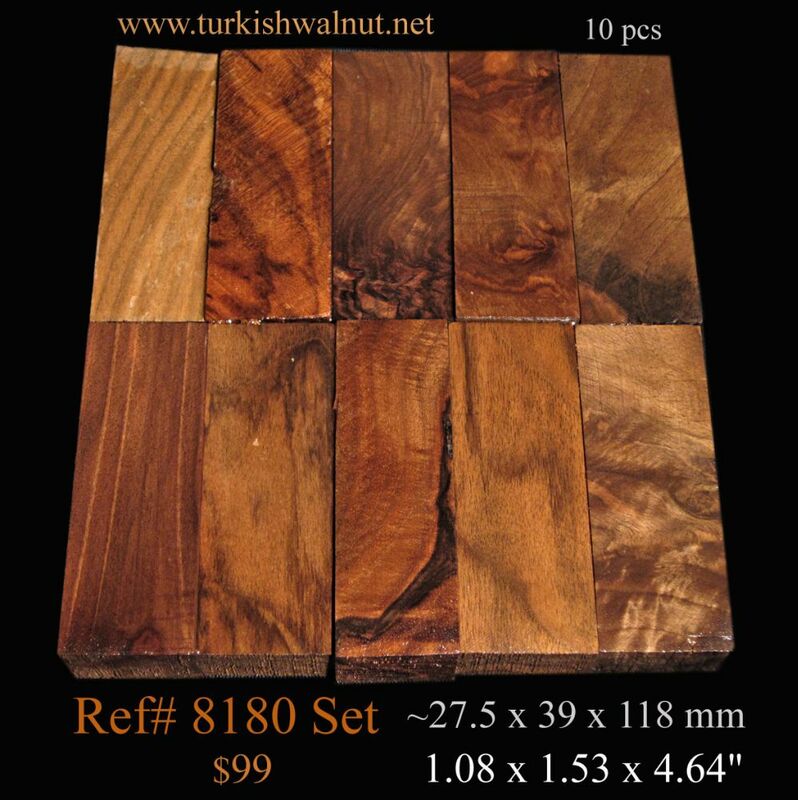 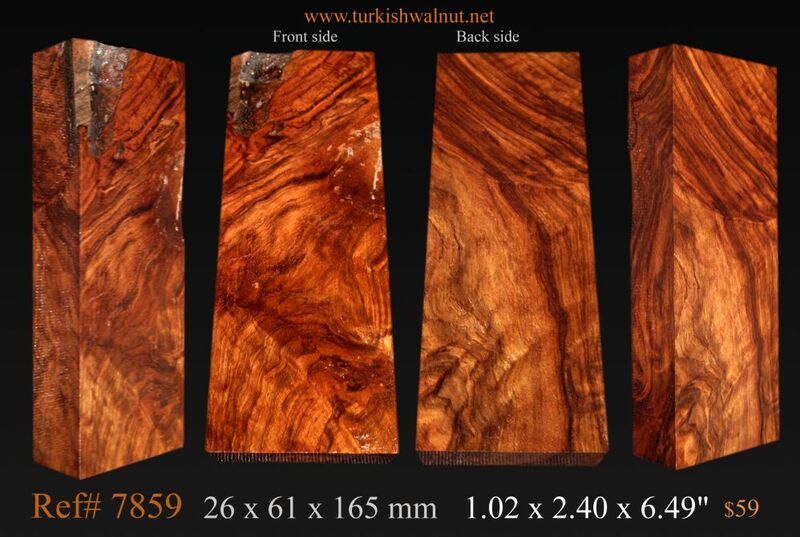 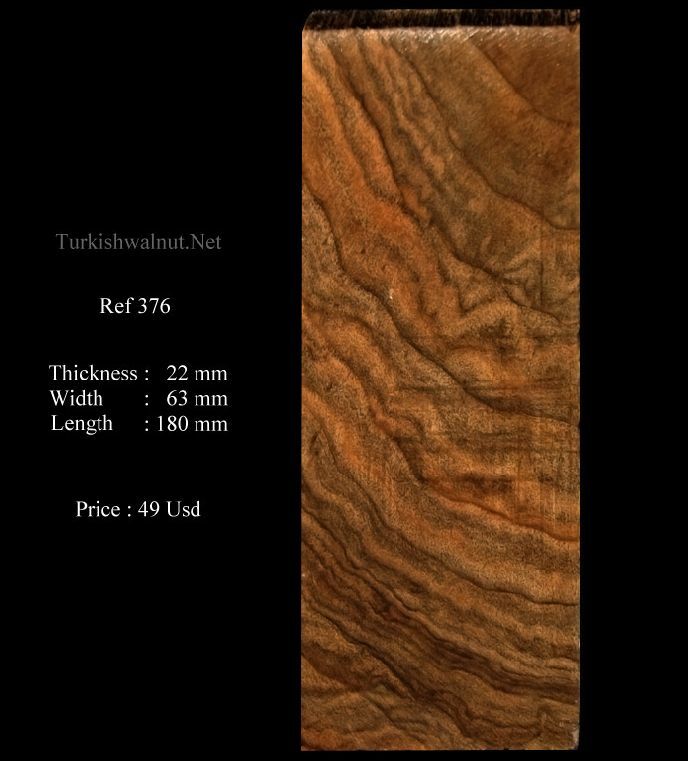 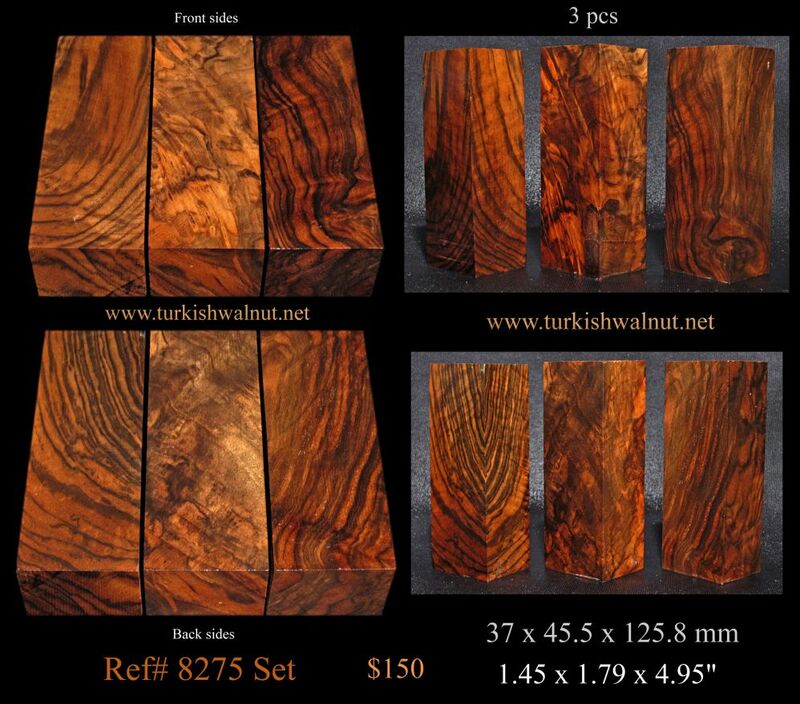 NEW Dry Highly figured & Exhibition grade & Burl Turkish walnut blocks are added!!
. 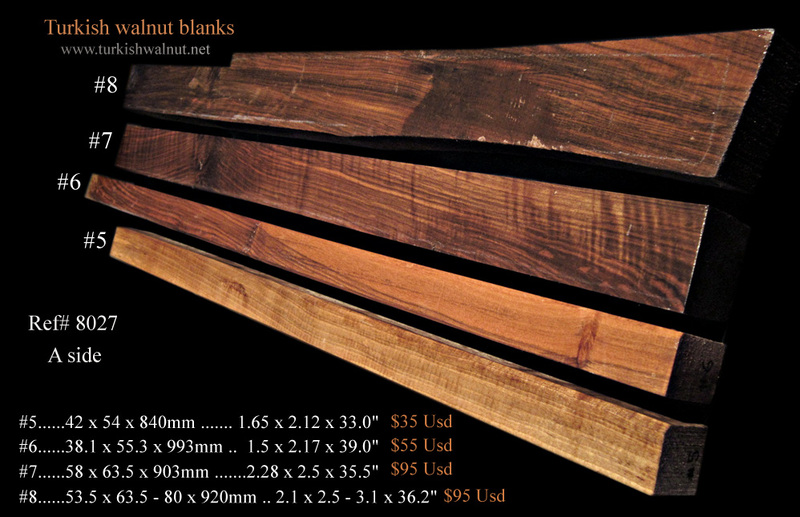 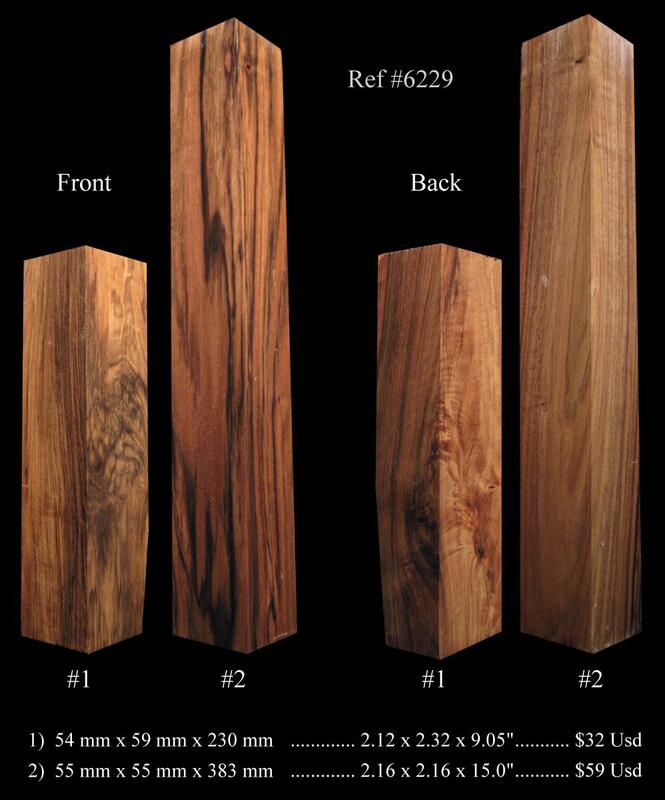 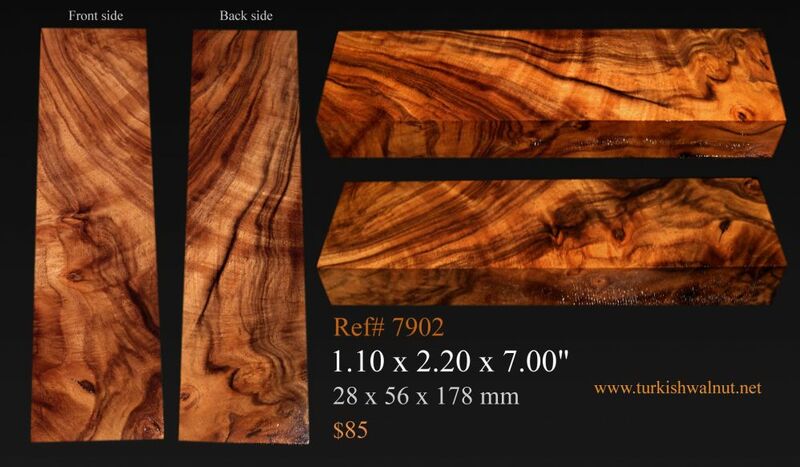 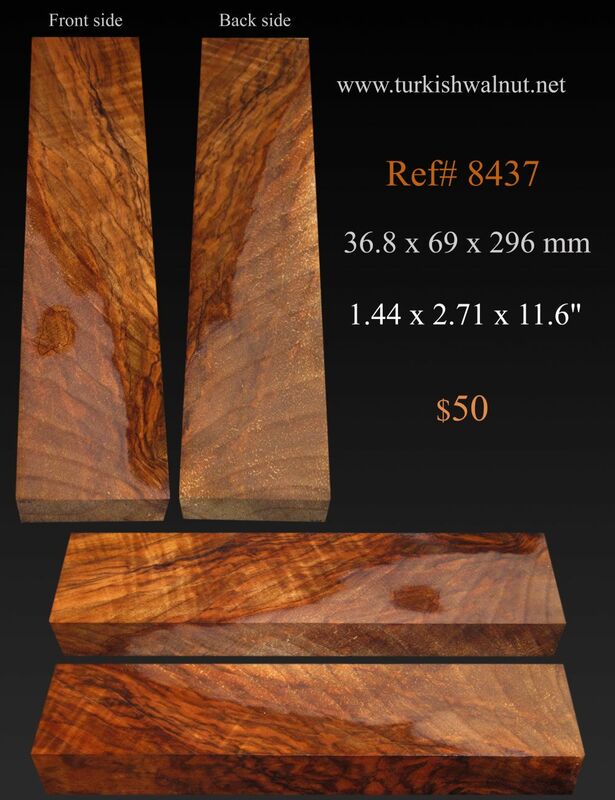 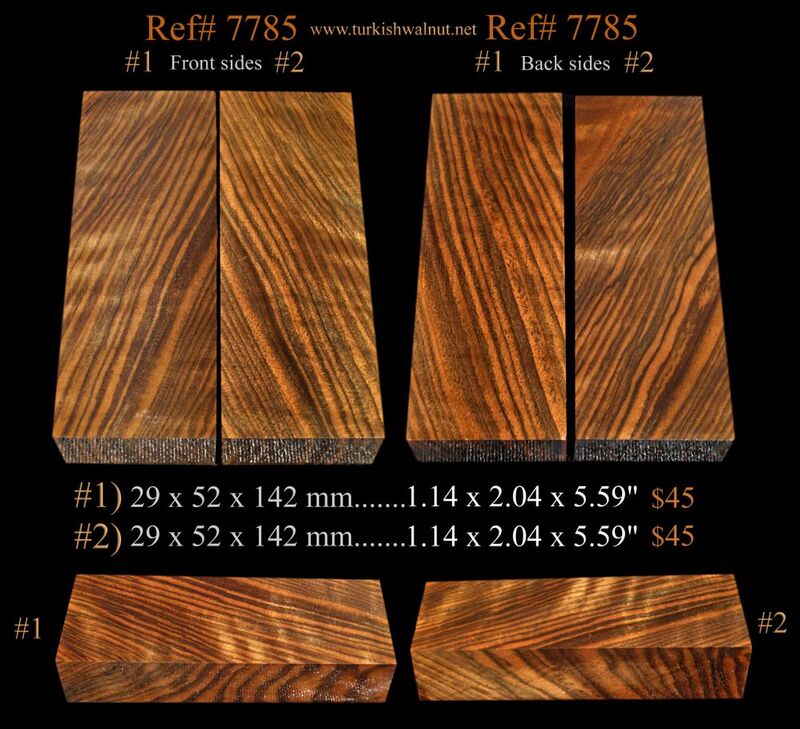 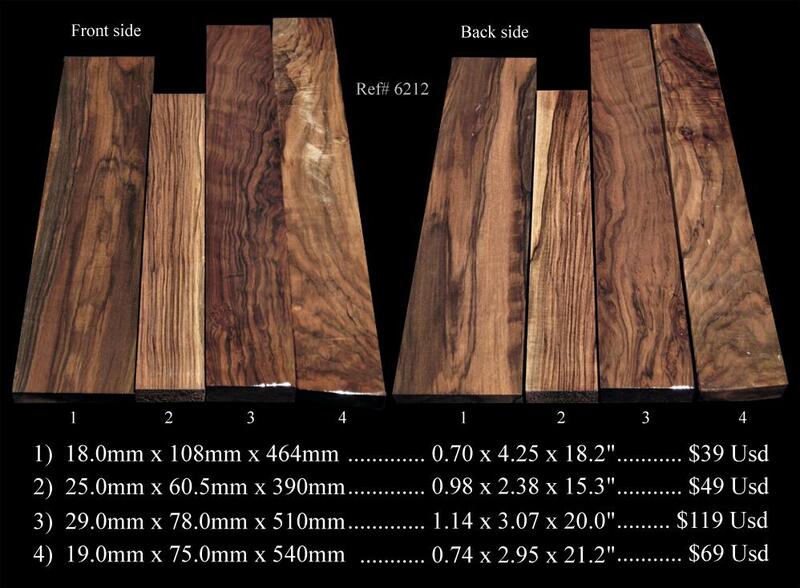 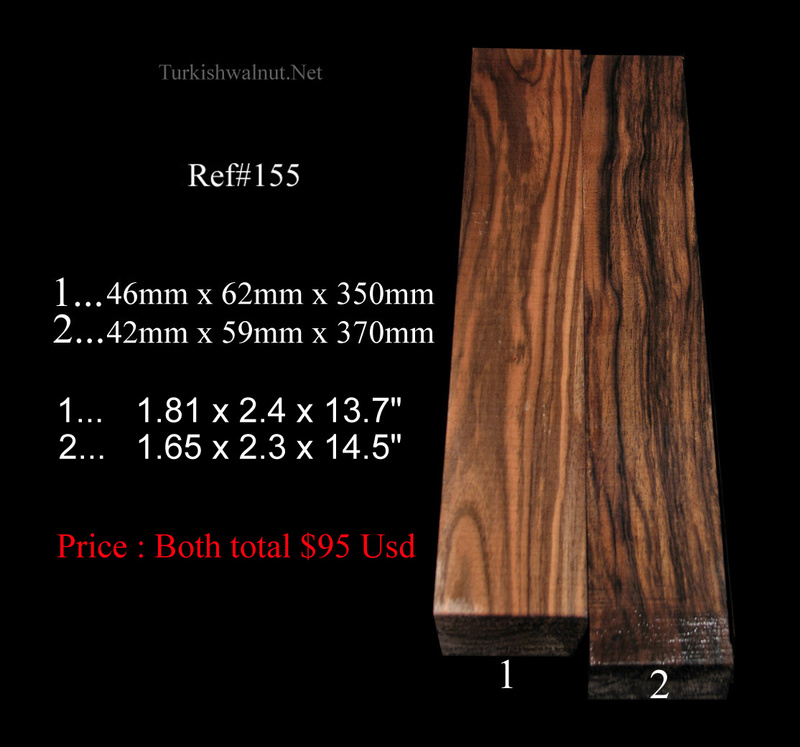 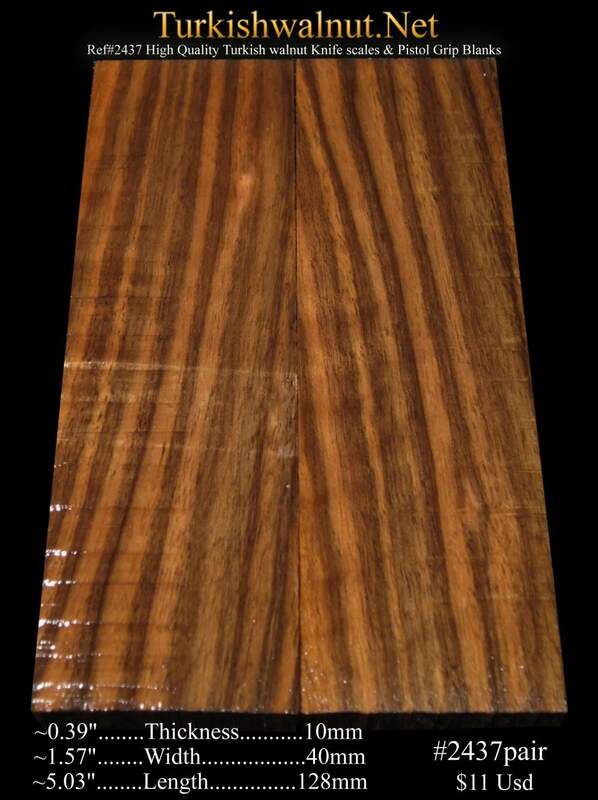 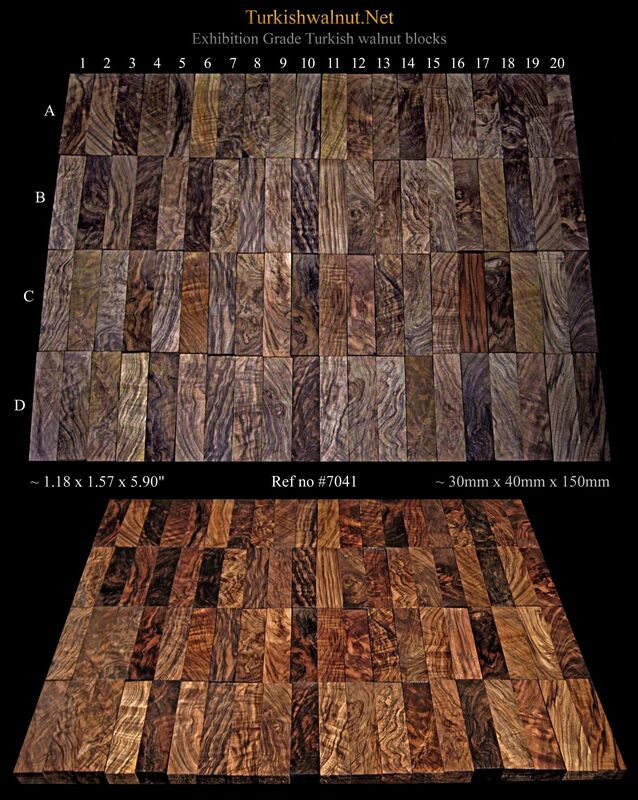 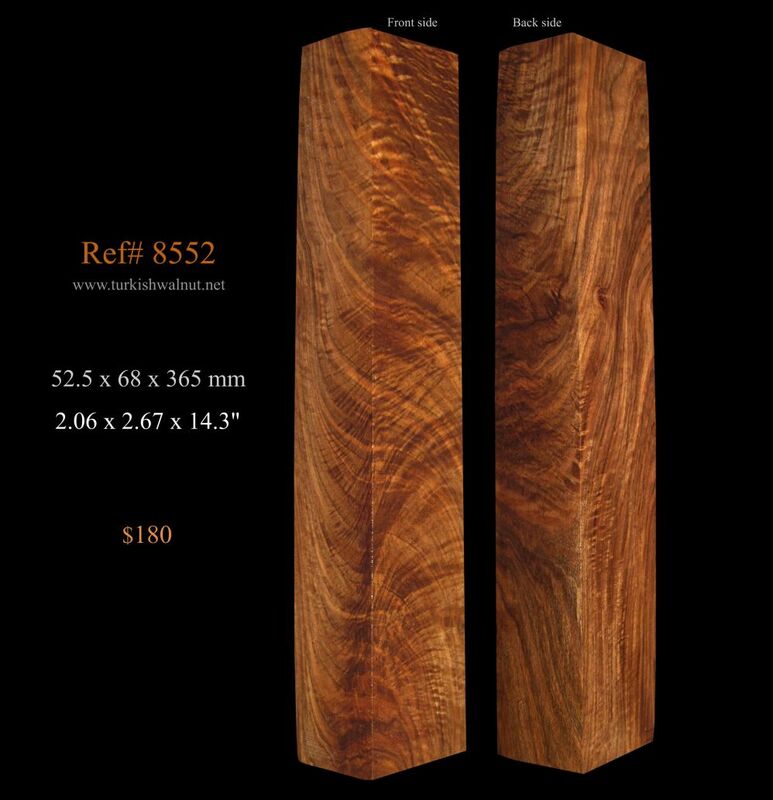 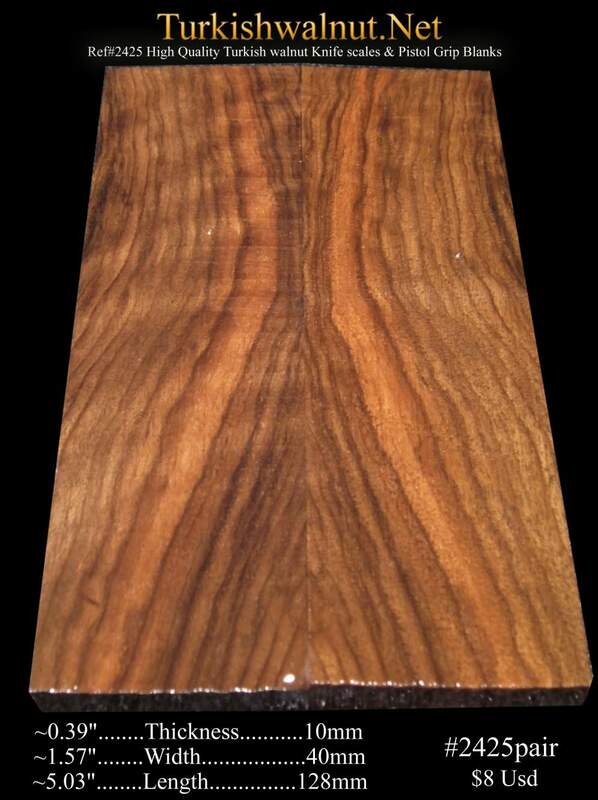 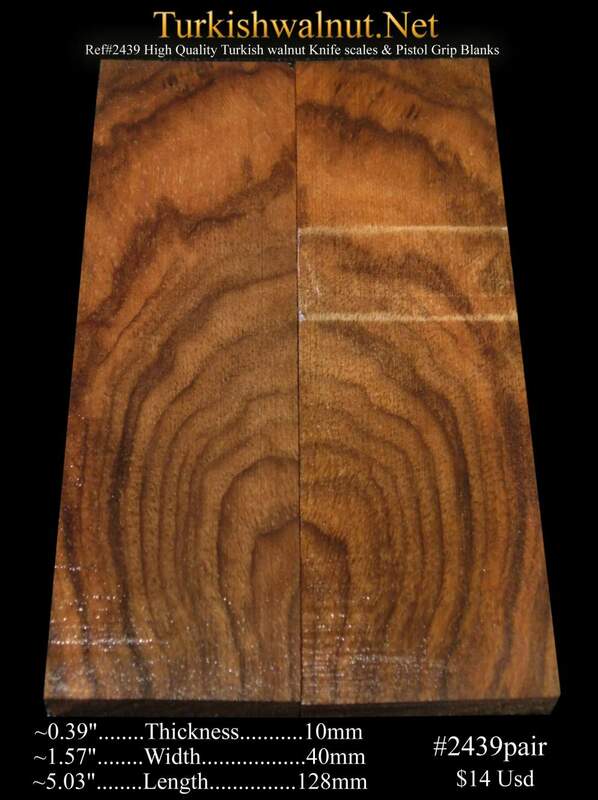 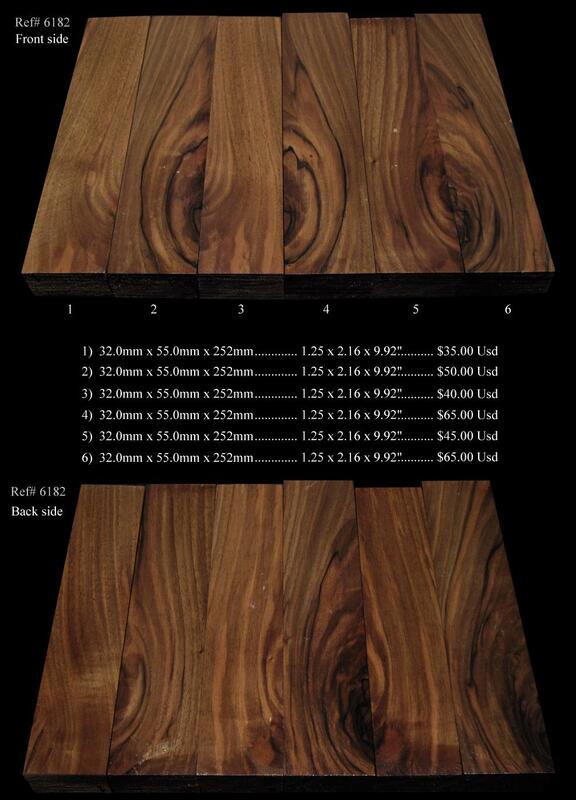 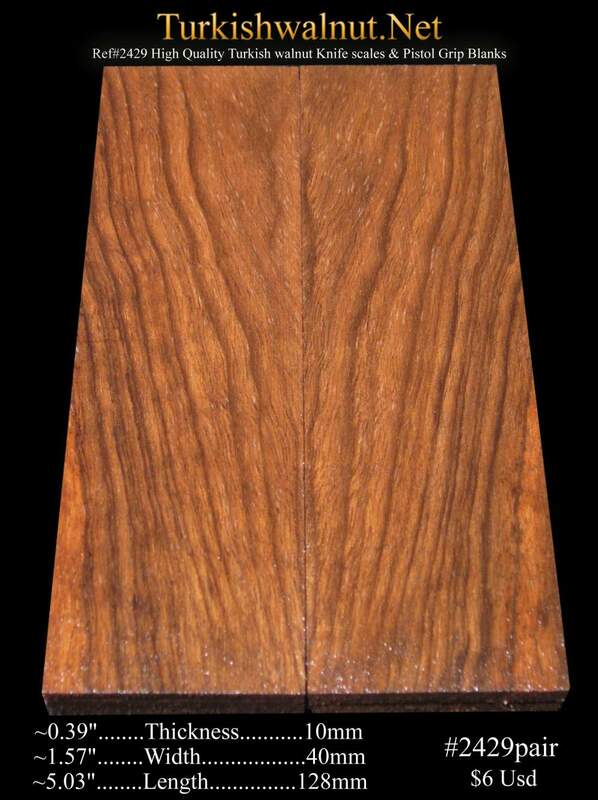 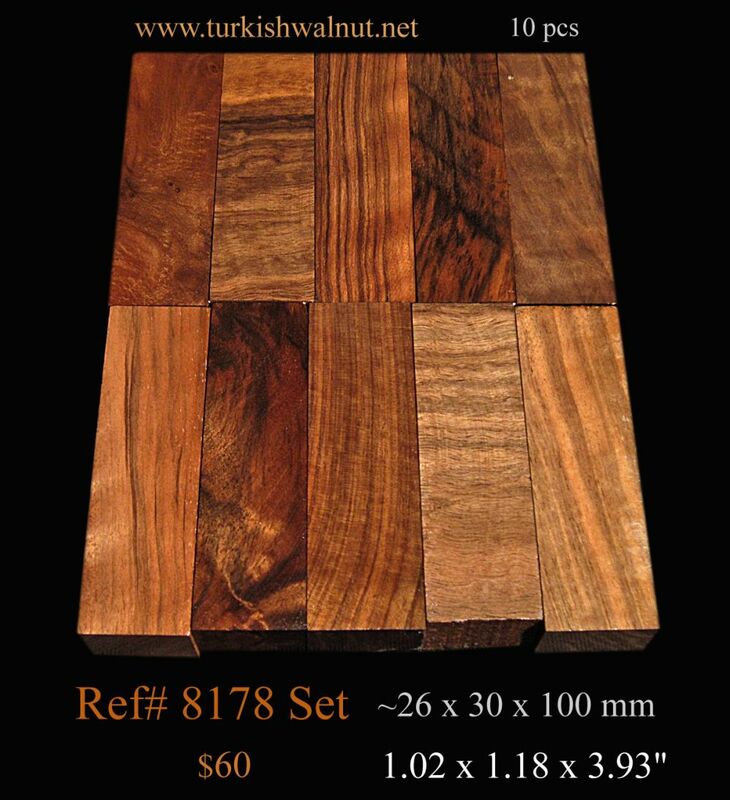 Referring to your demands we can supply the walnut woods and custom cut the blanks for custom makers or traders.
. 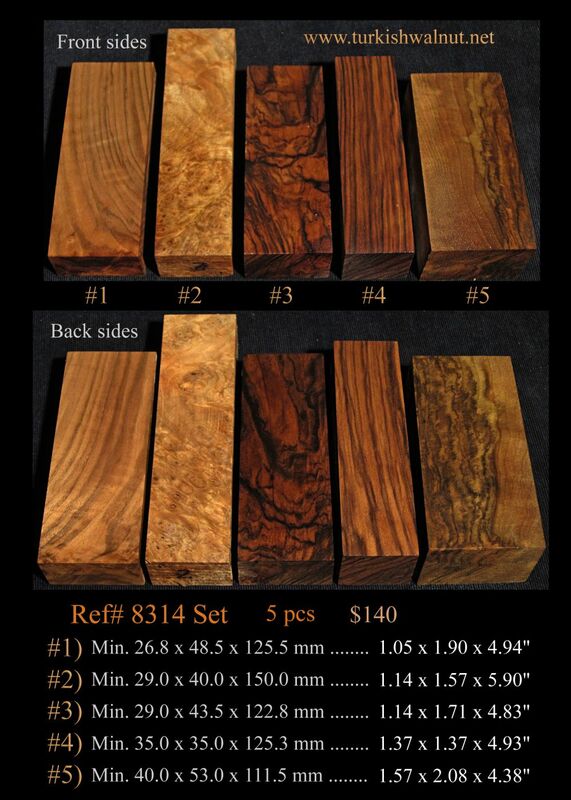 Blocks, Pen Blanks, Knife Handle Blocks & Scales, Pistol grip blanks, Cue Butts, Walnut woods for Duck calls, Reel Seats, Wine Stopper Blanks etc. 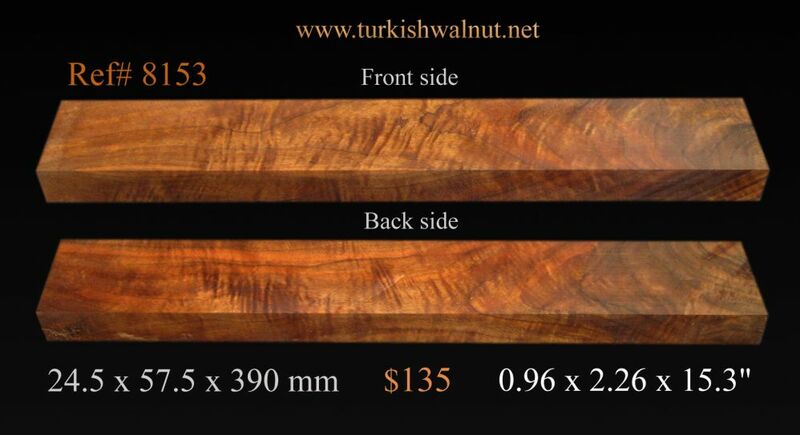 whatever you need!
. 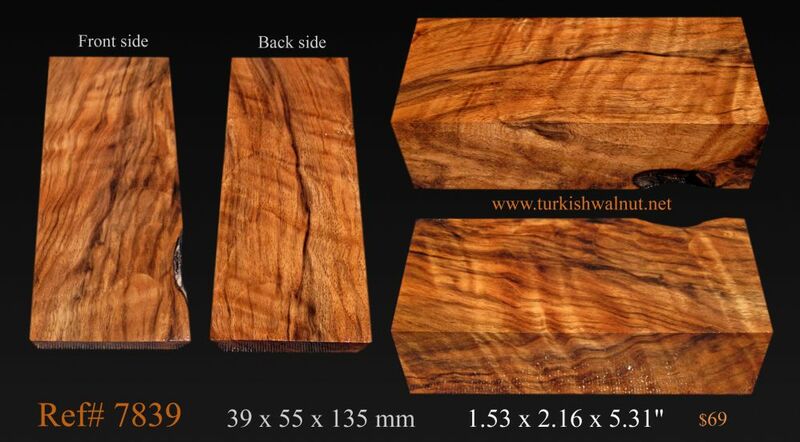 We can supply small orders to container loads, please contact us with your enquiry.
. 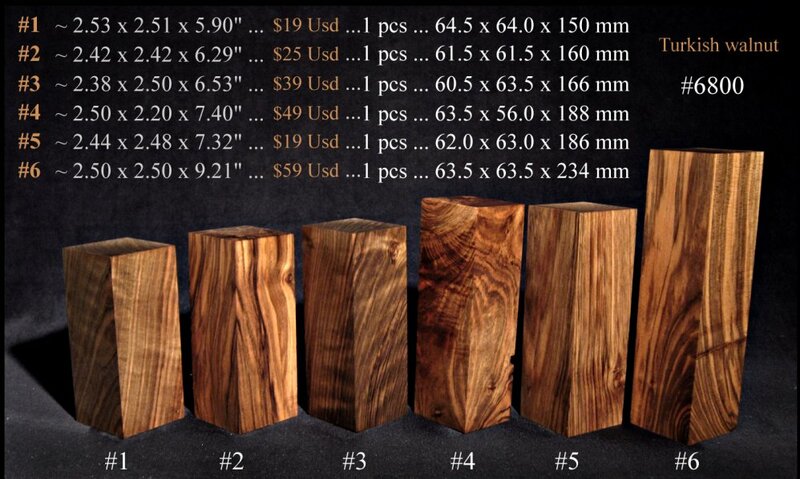 Shipping price may be cheaper than you think. 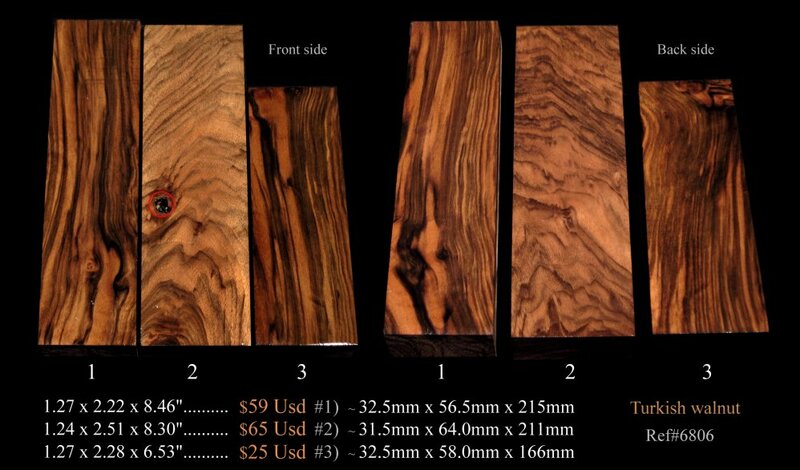 If you would like to buy more than one piece just let us know your selected pieces!!! 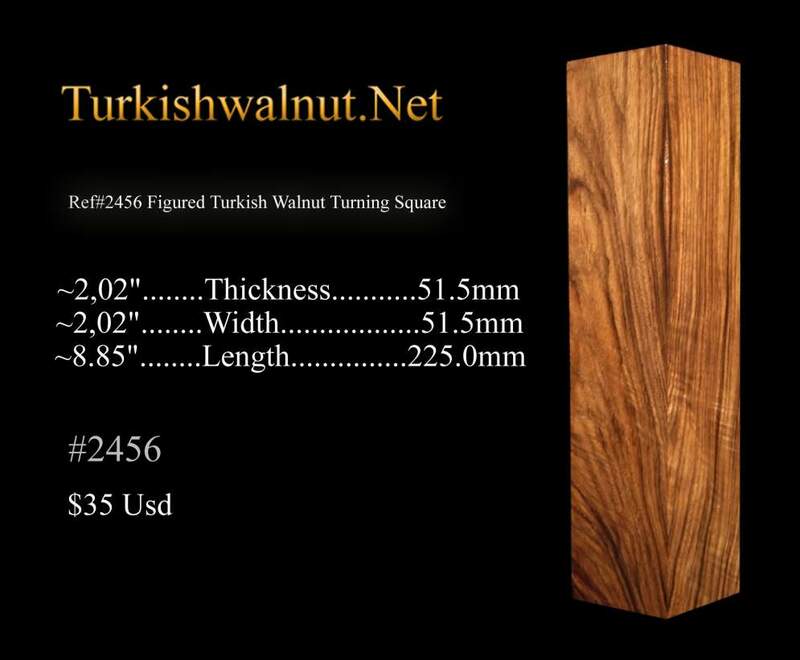 * Wire transfers can be sent, just email us for the necessary information. 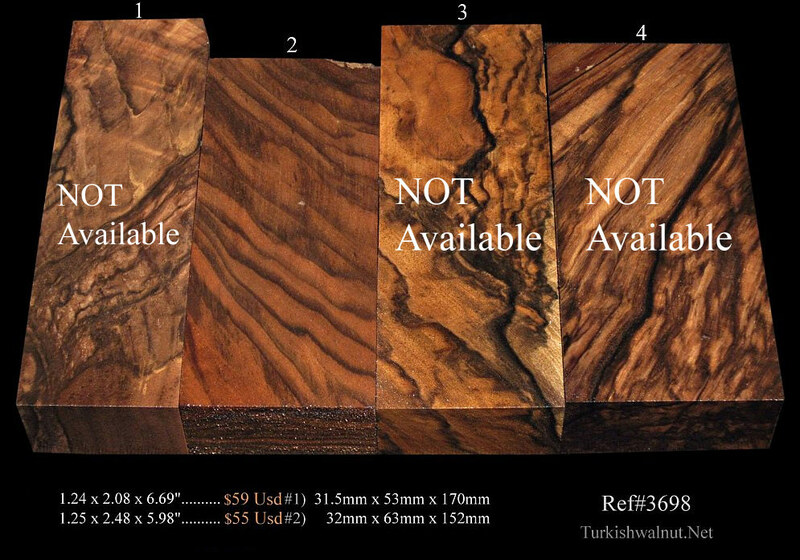 Please do not hesitate to contact with us if you have any questions. 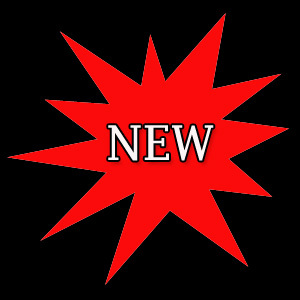 A4 - A9 - A11 - B13 - B15 - B17 - C7 - C9 - C19 - D12 are available at the moment. 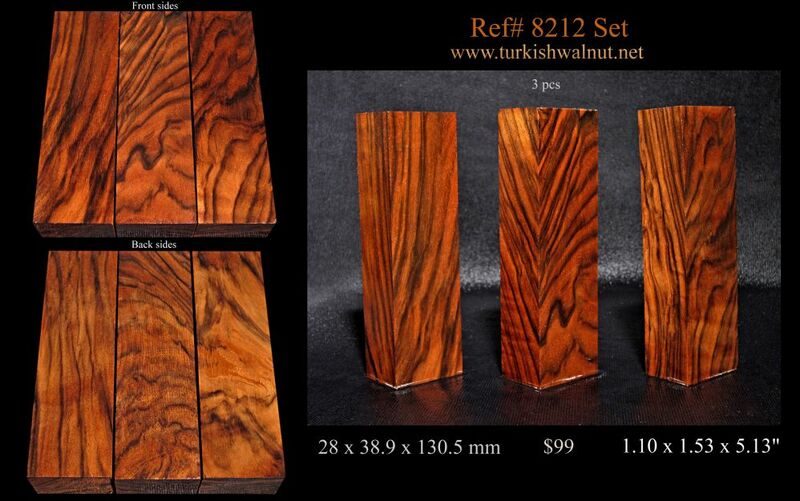 Just 3rd block is available from Ref#3651 at the moment. 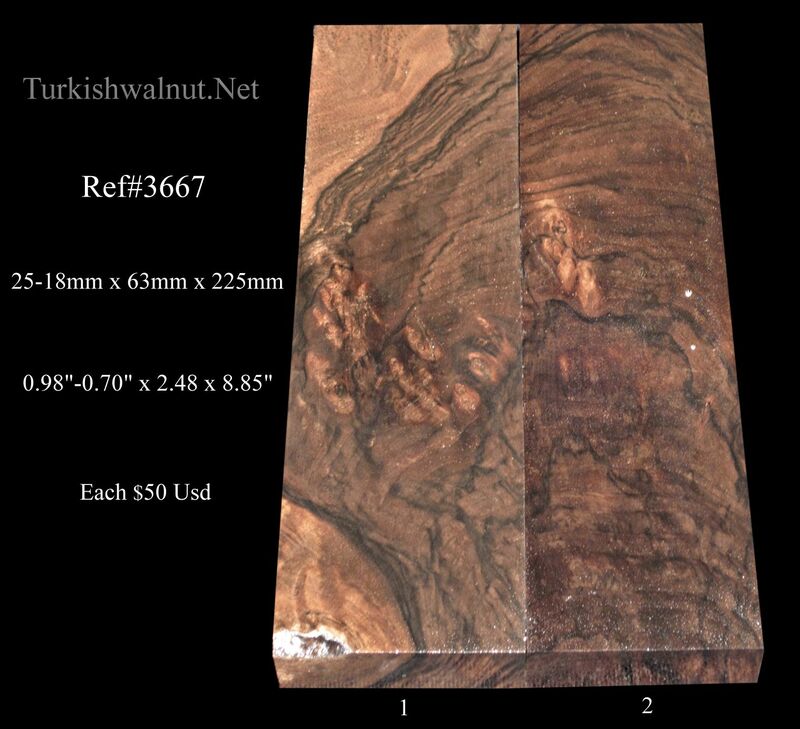 Only 4 is available from Ref#3654 at the moment. 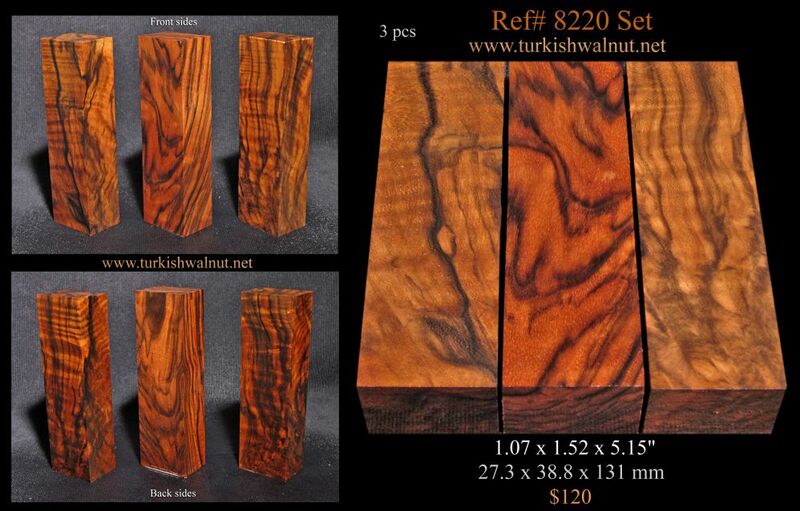 Ref#3693 - #2 is available. 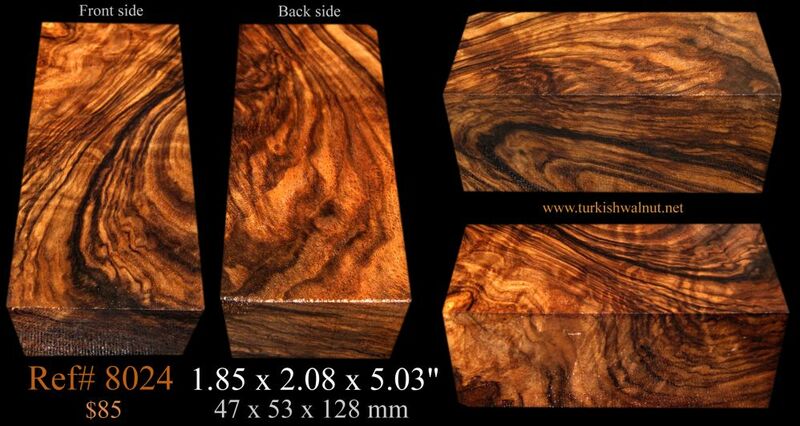 All photographs taken under the yellow light after we have applied some water on the surface. 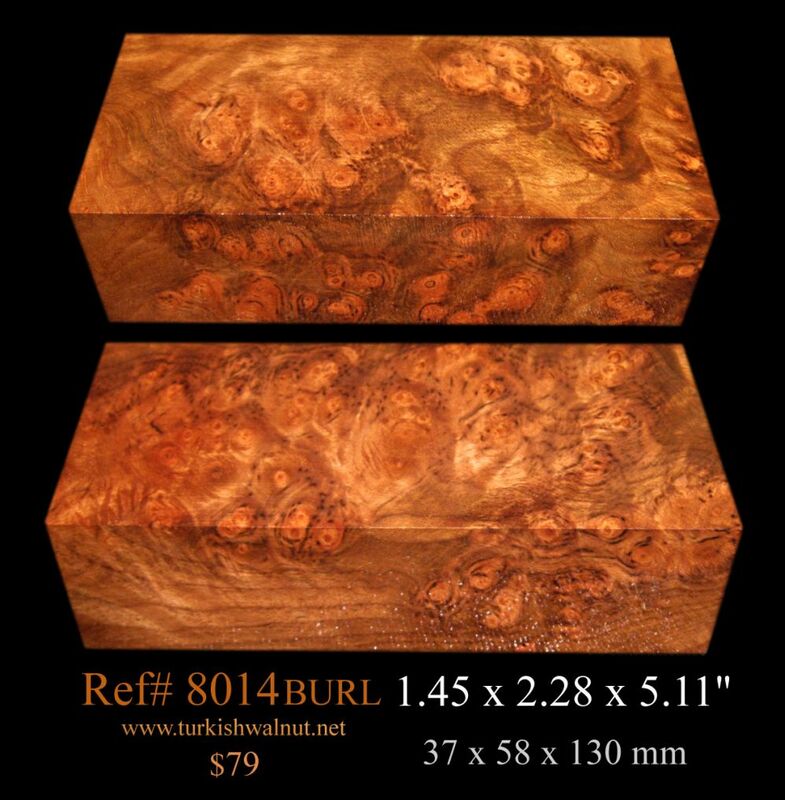 Subscribe to our mailing list if you want to be notified whenever new pieces are added to the store.